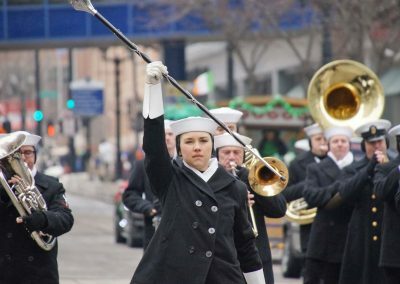 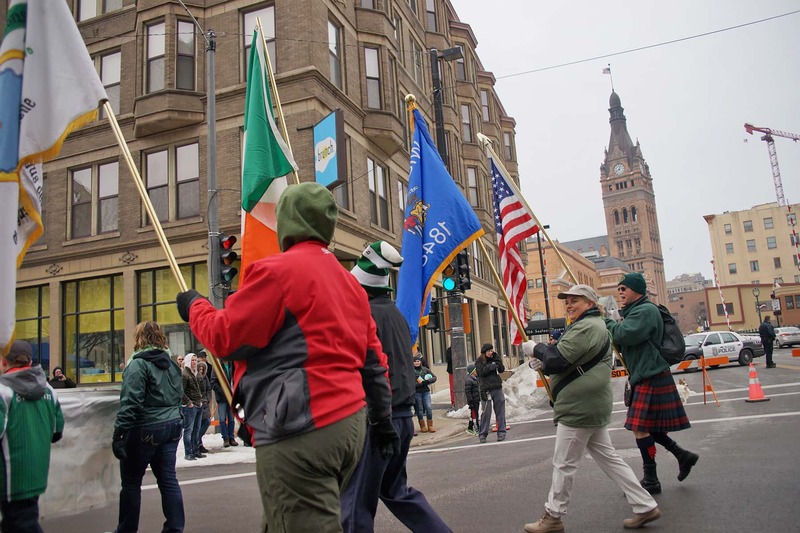 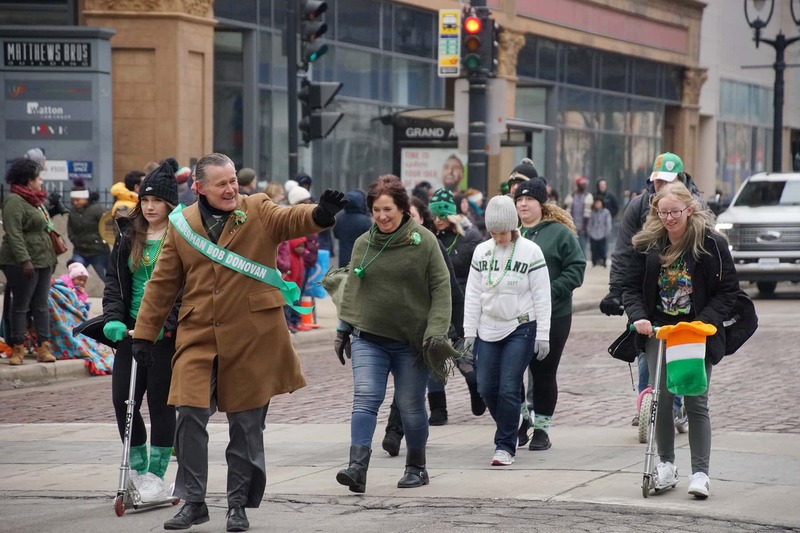 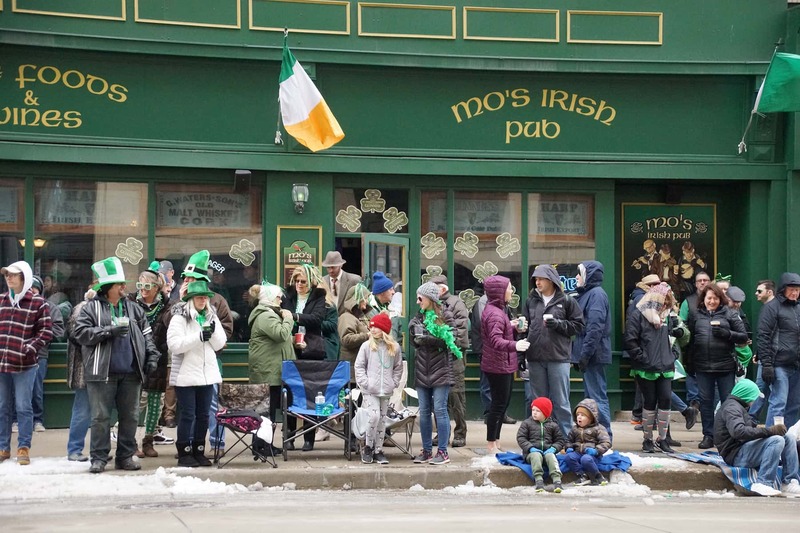 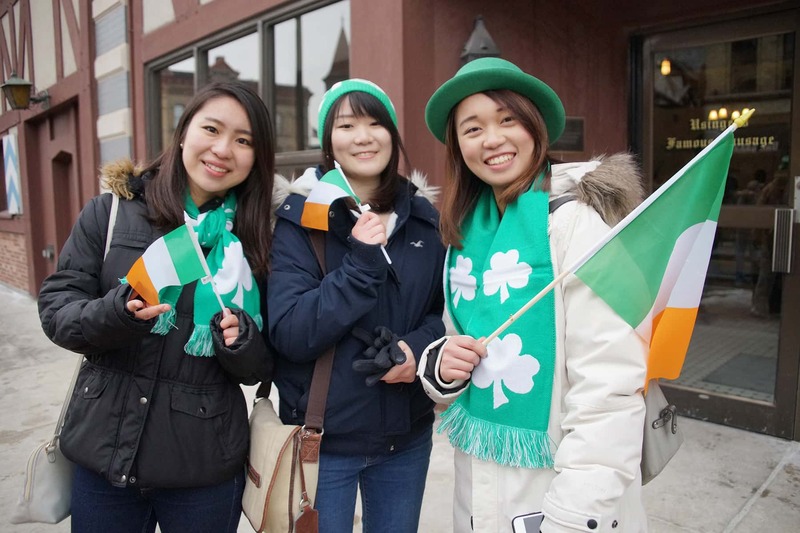 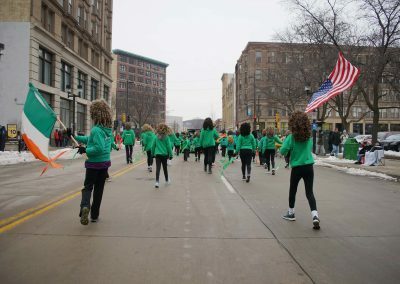 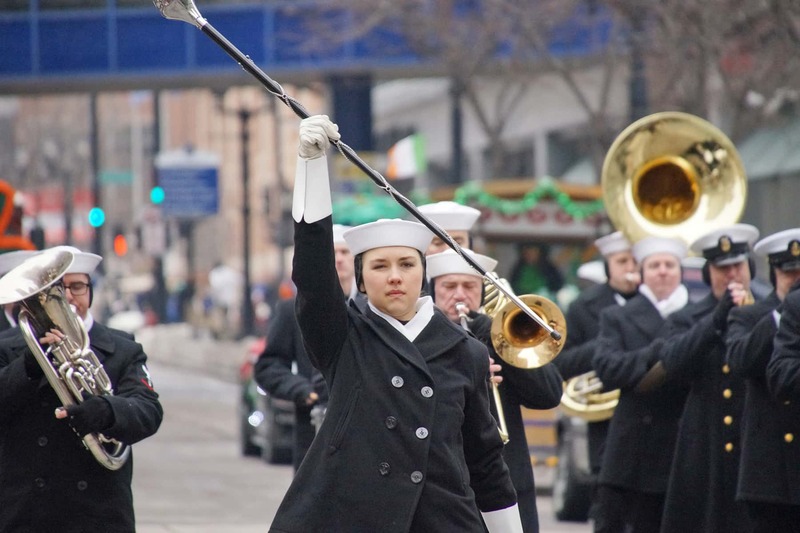 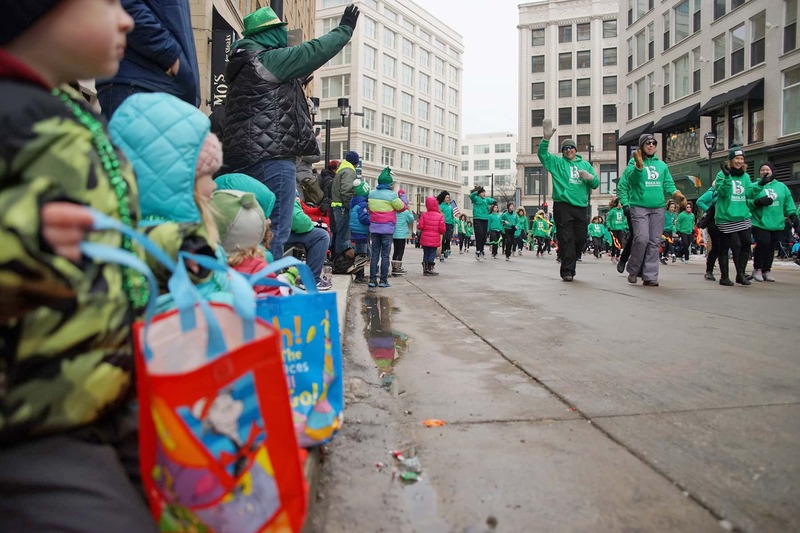 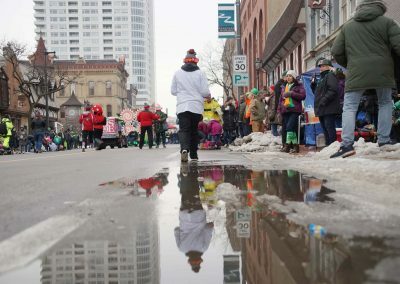 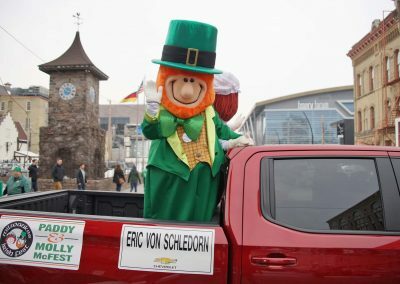 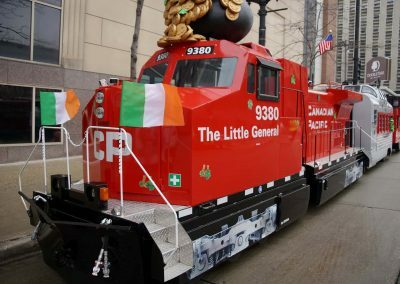 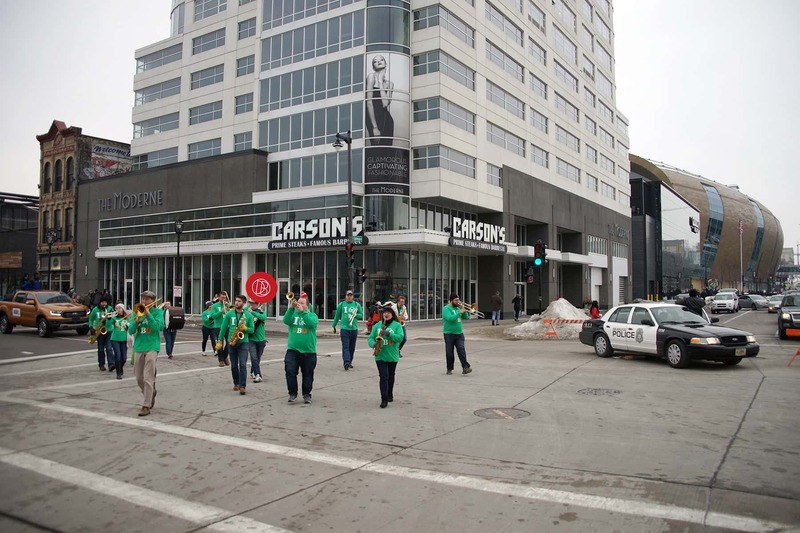 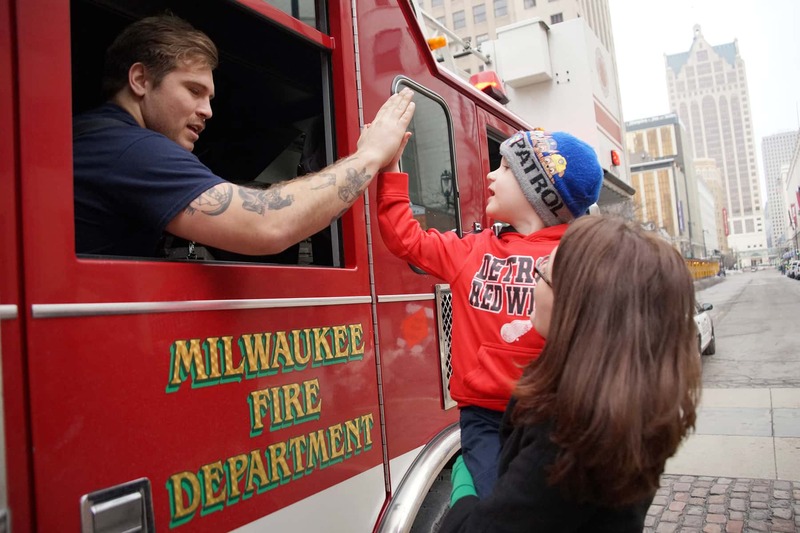 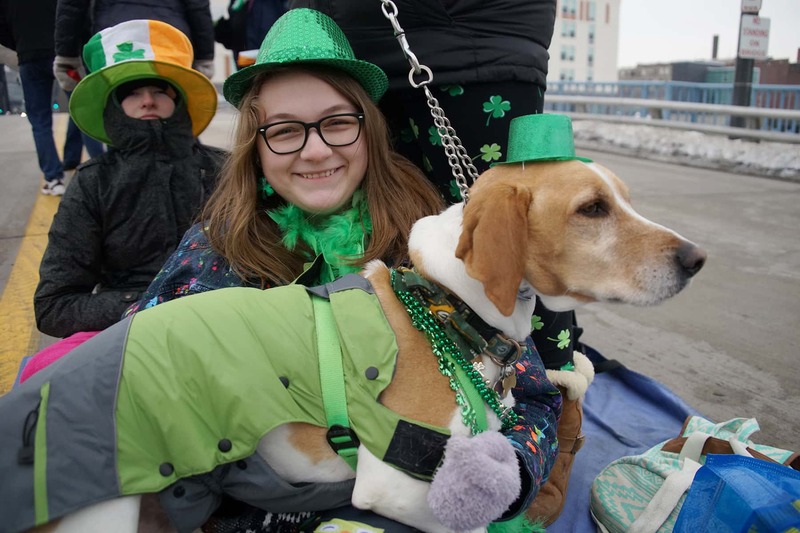 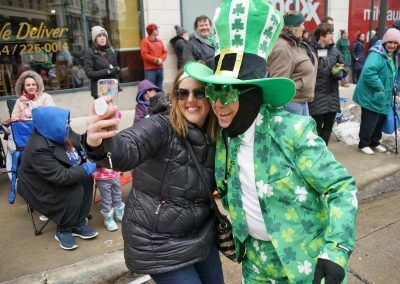 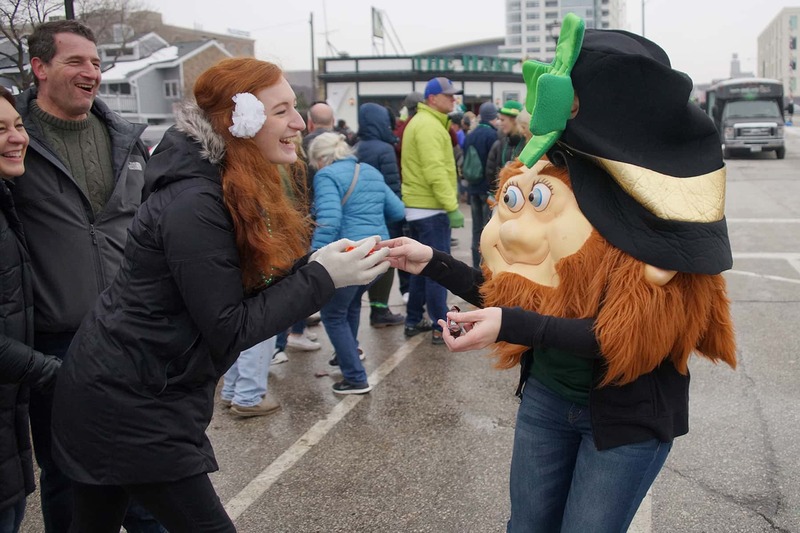 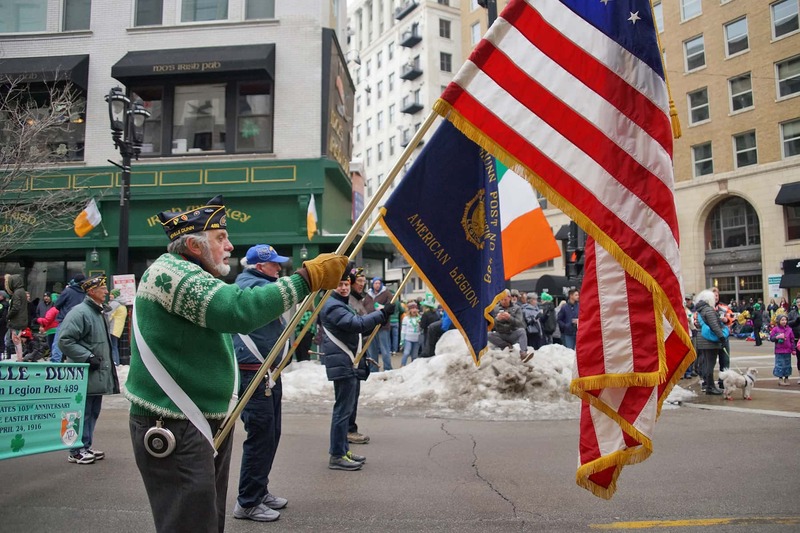 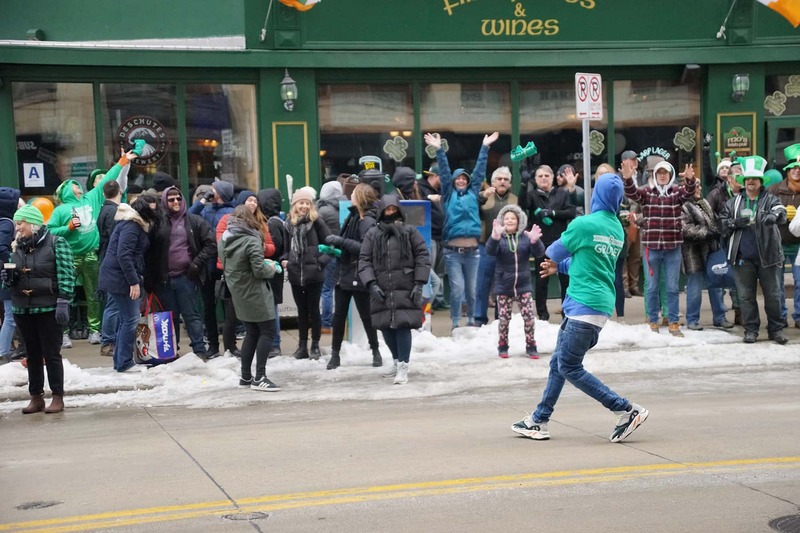 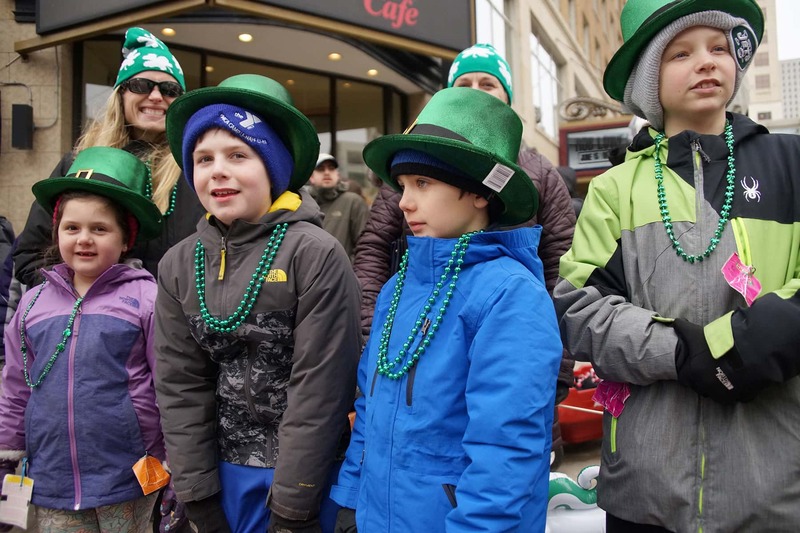 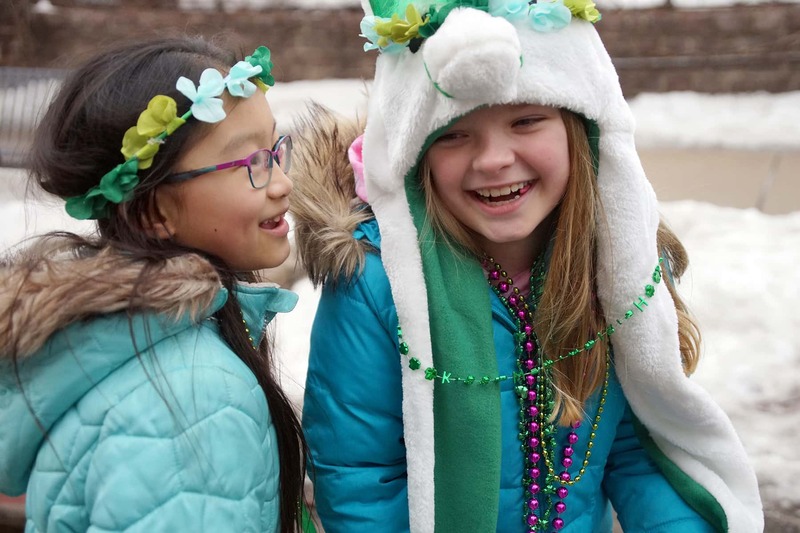 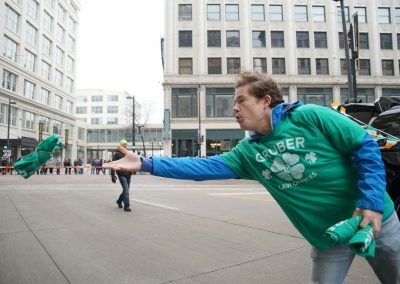 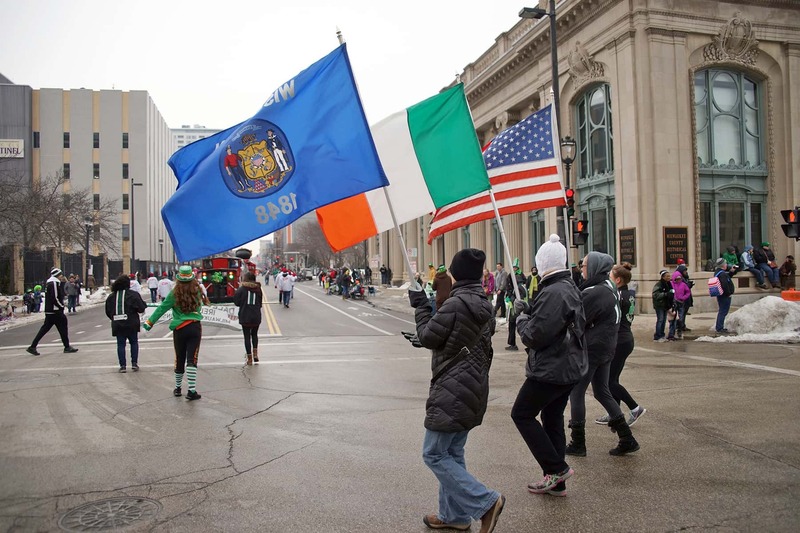 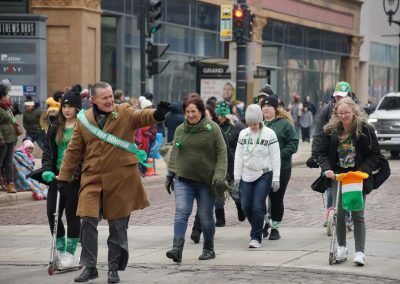 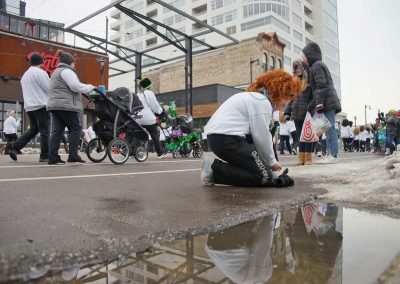 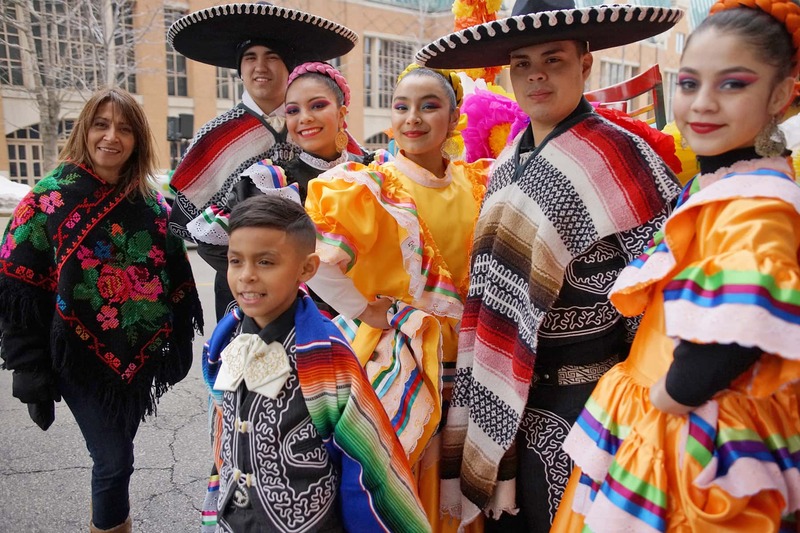 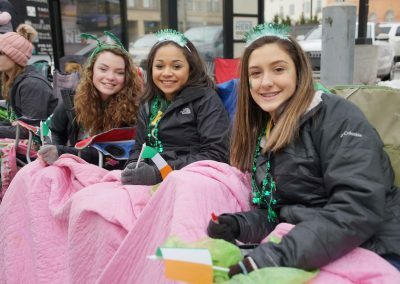 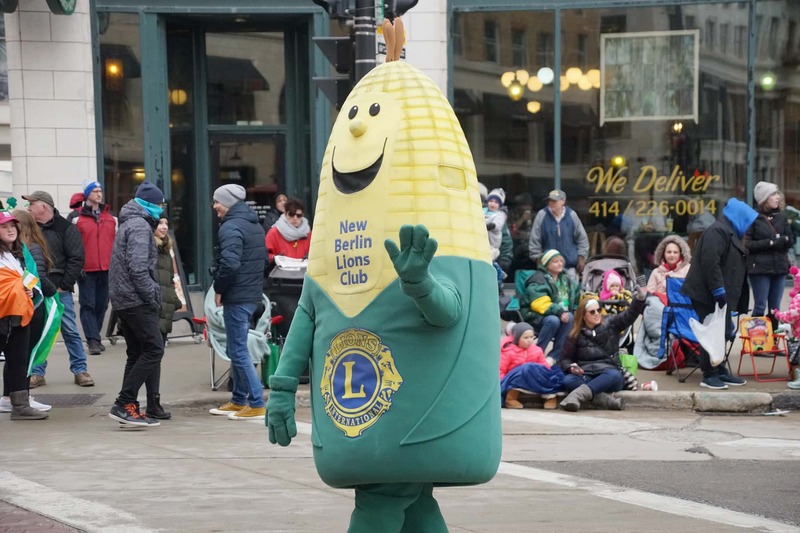 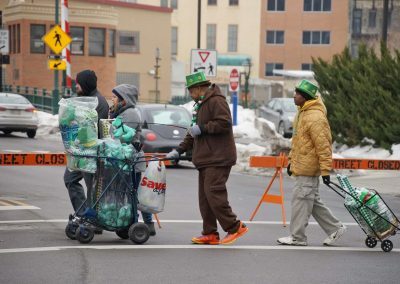 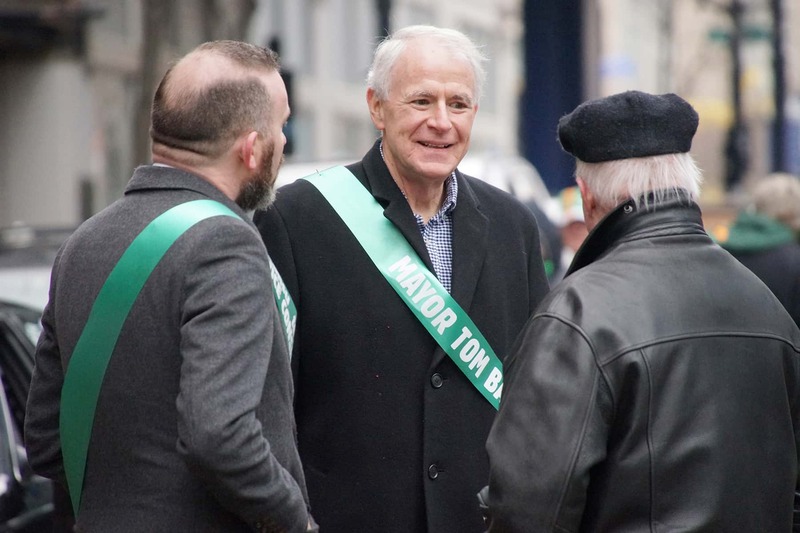 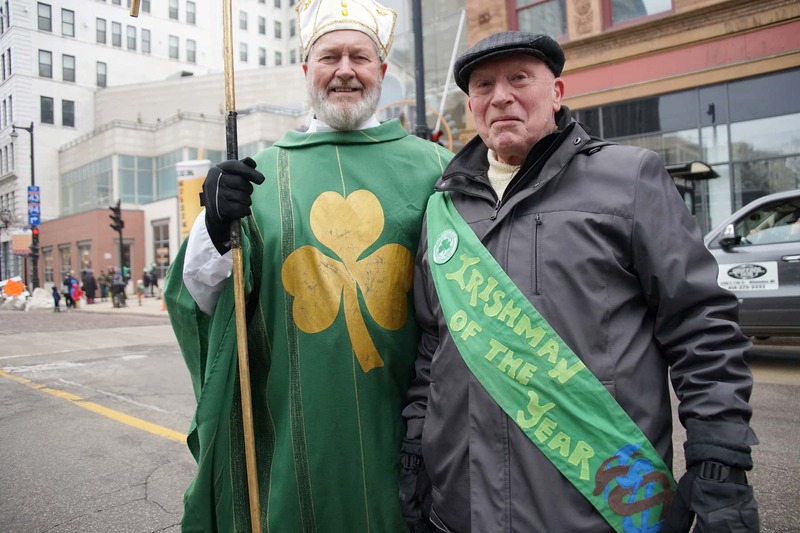 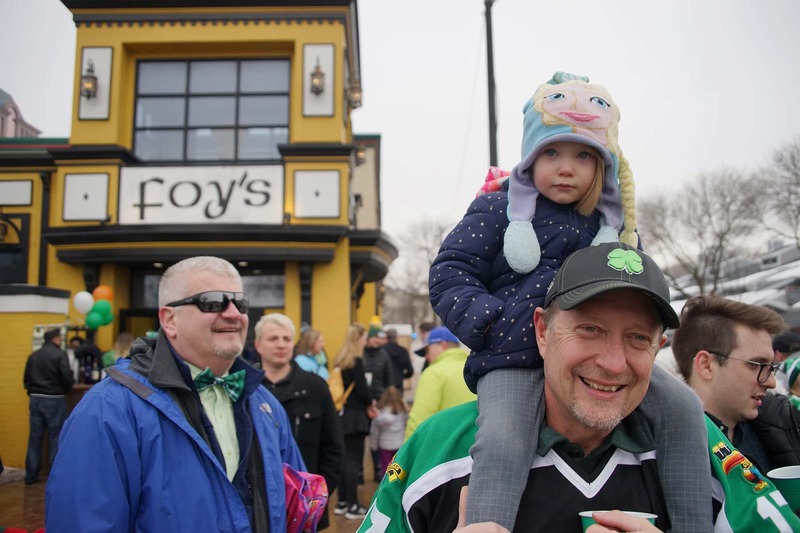 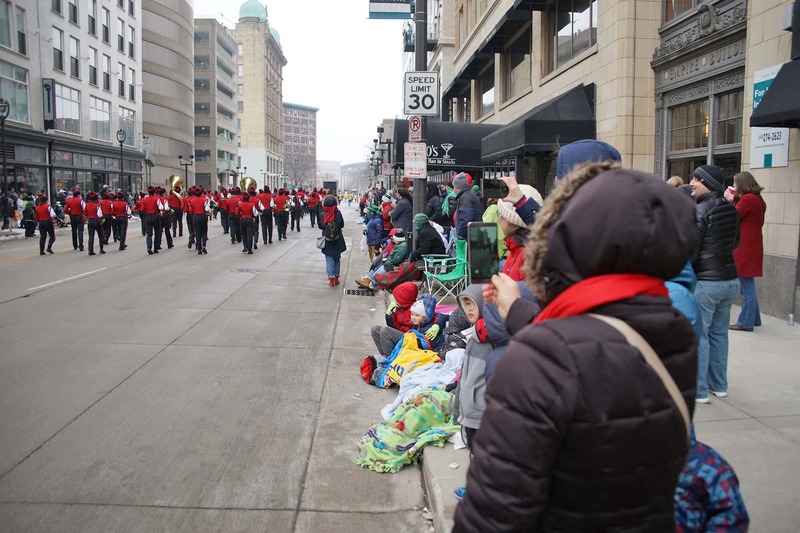 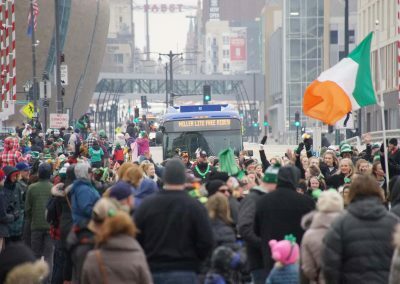 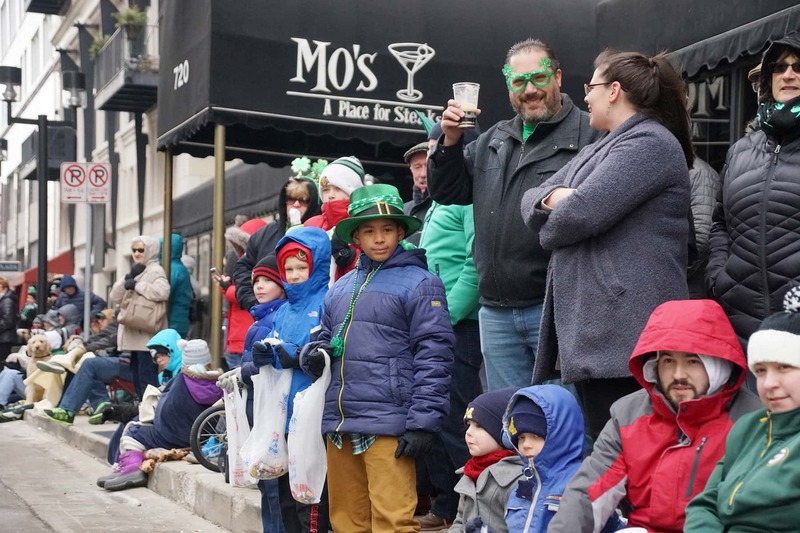 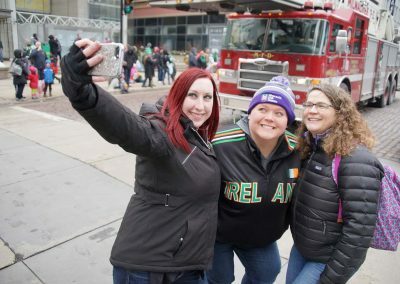 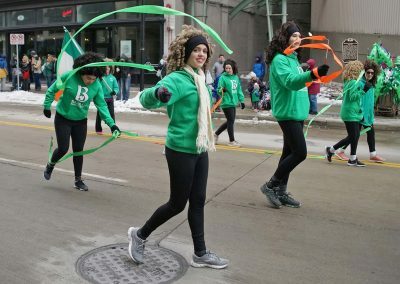 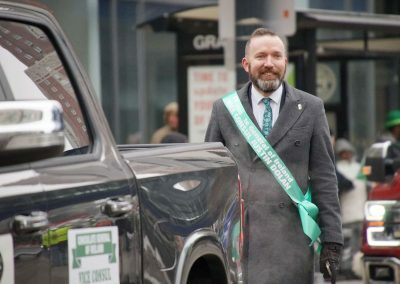 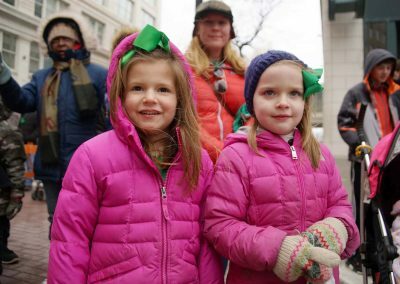 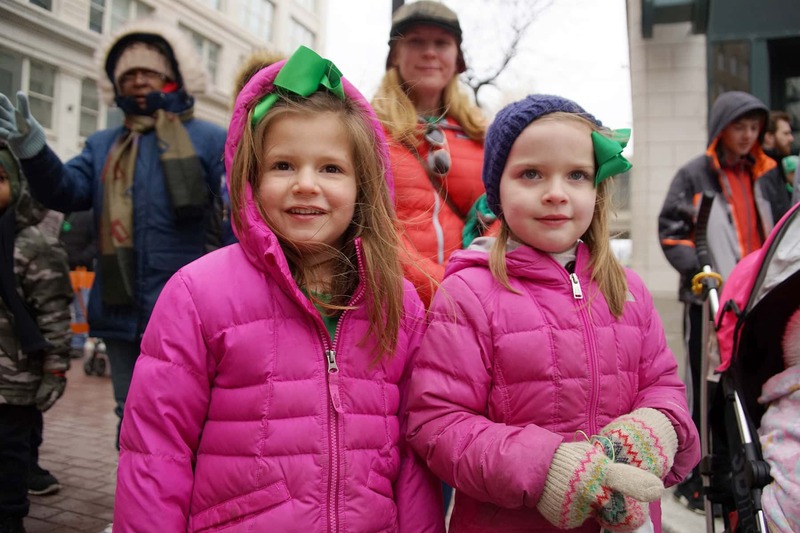 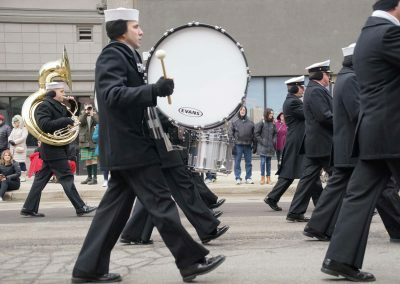 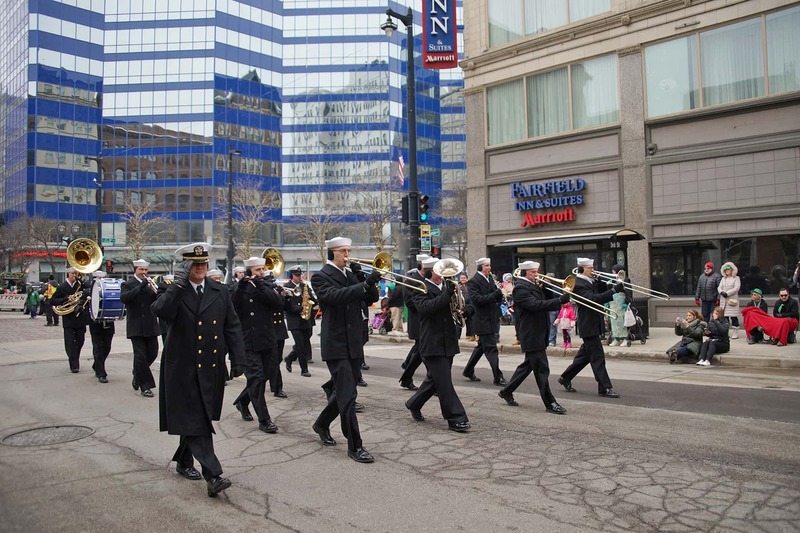 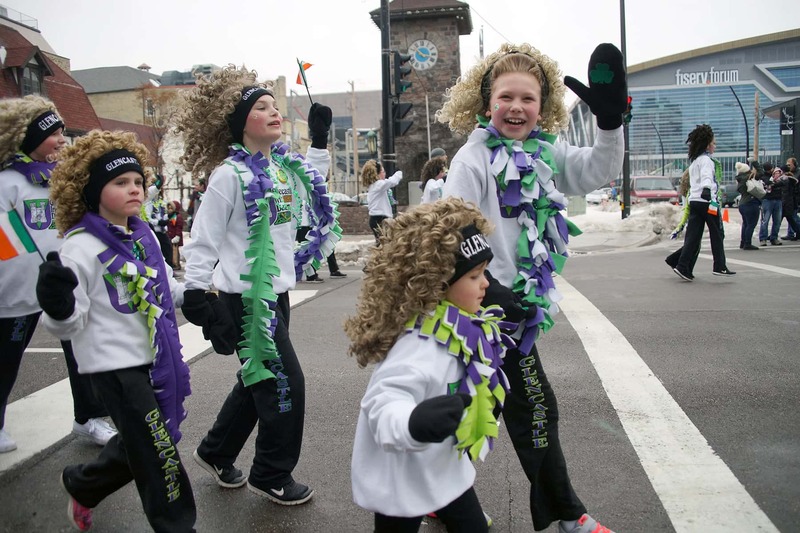 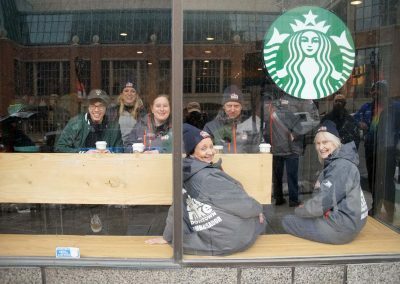 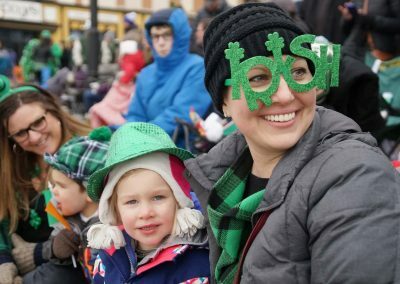 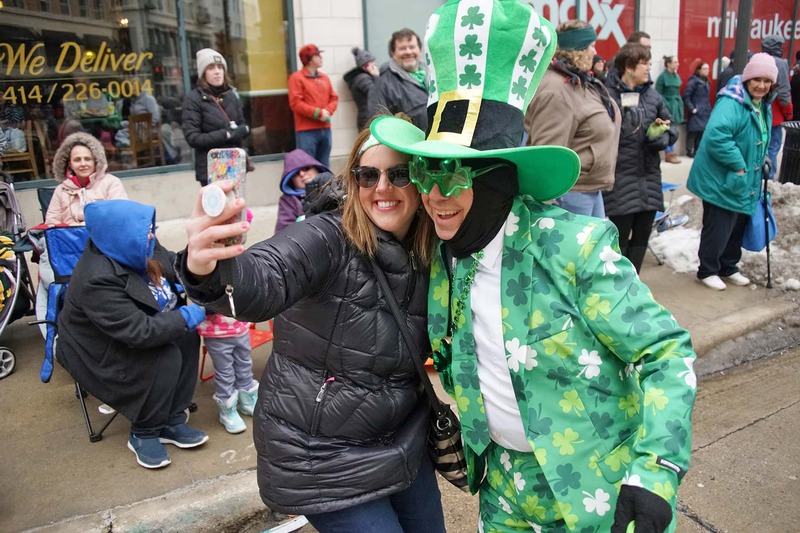 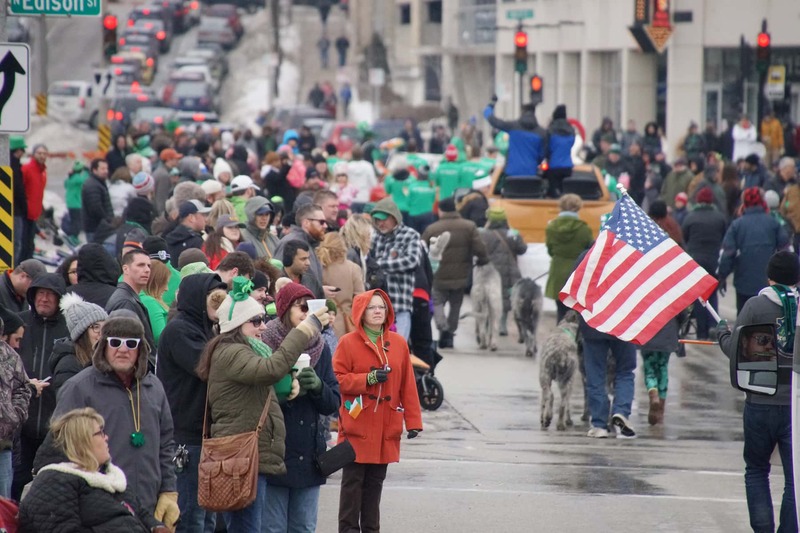 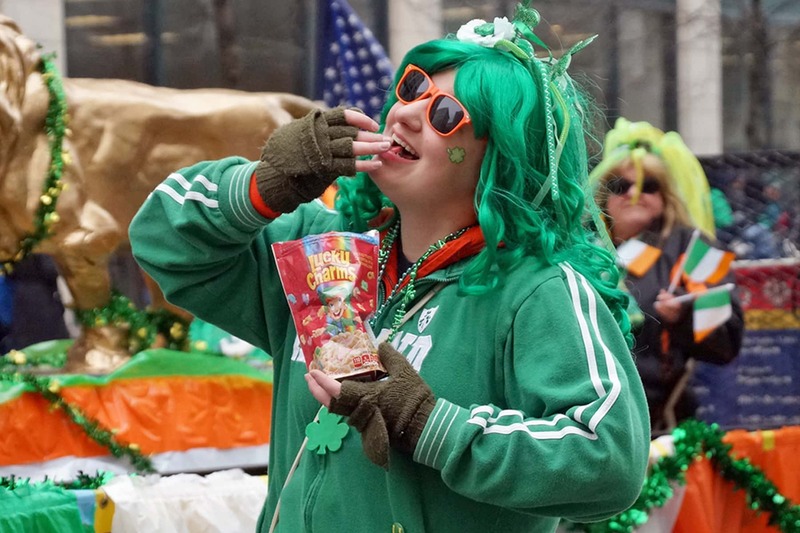 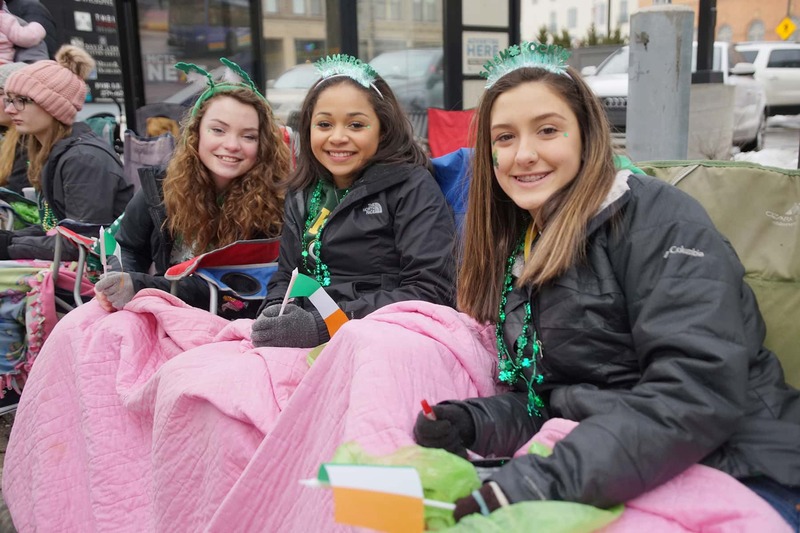 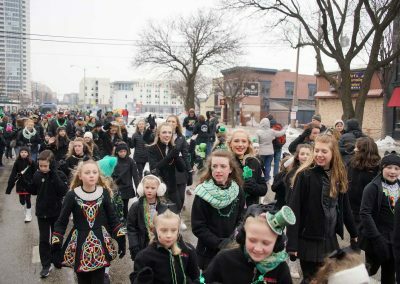 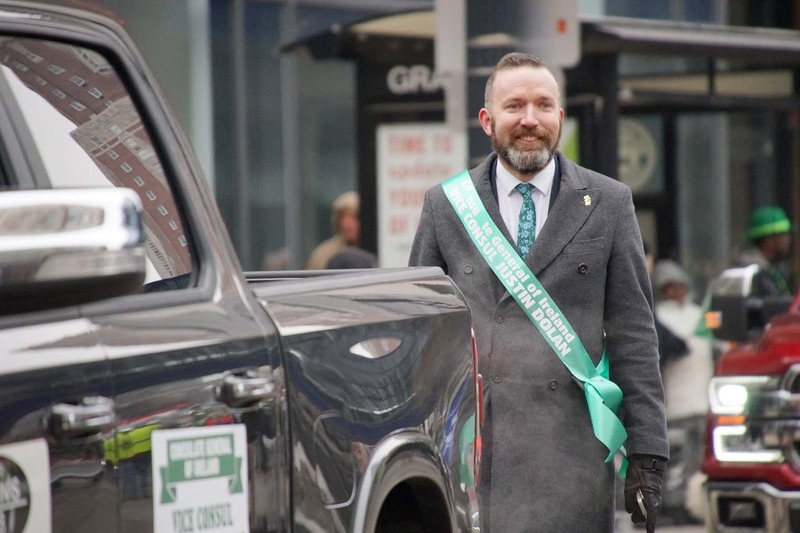 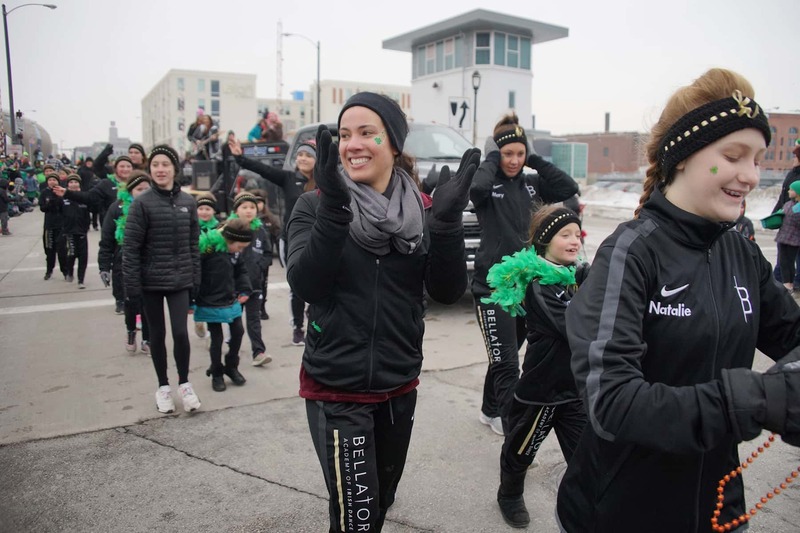 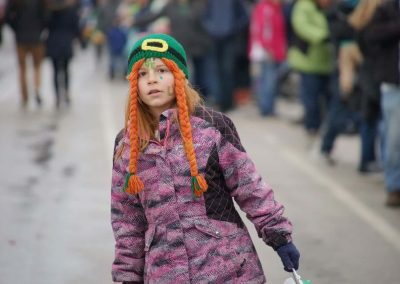 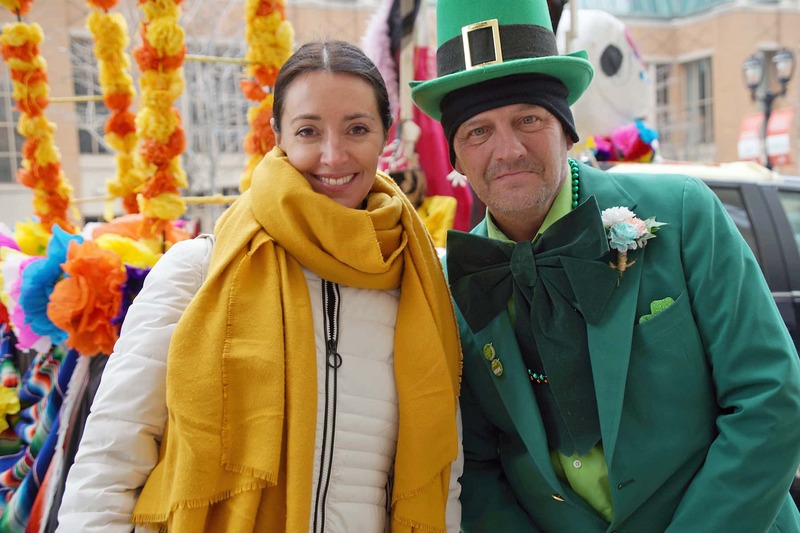 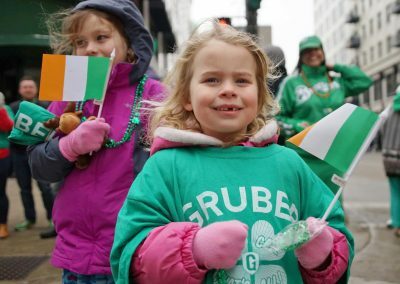 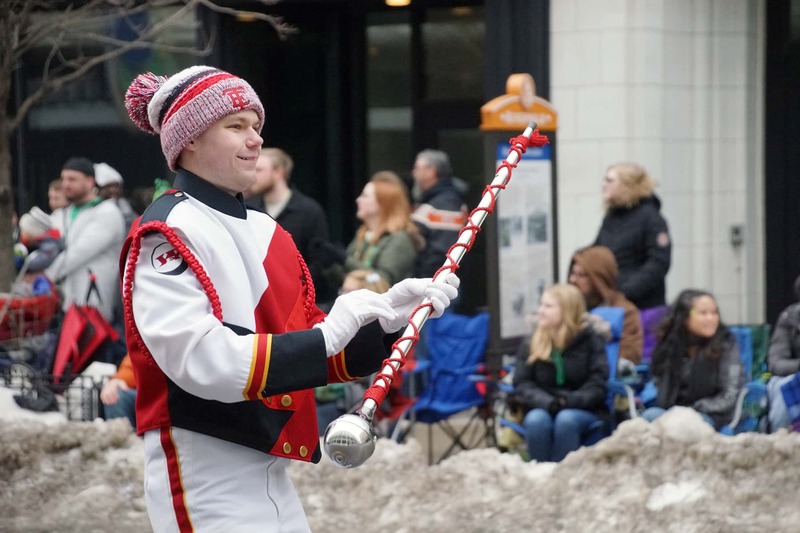 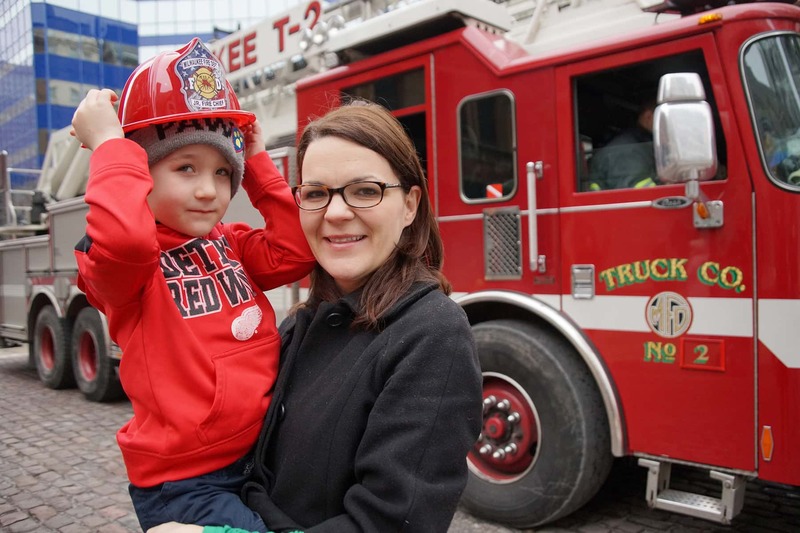 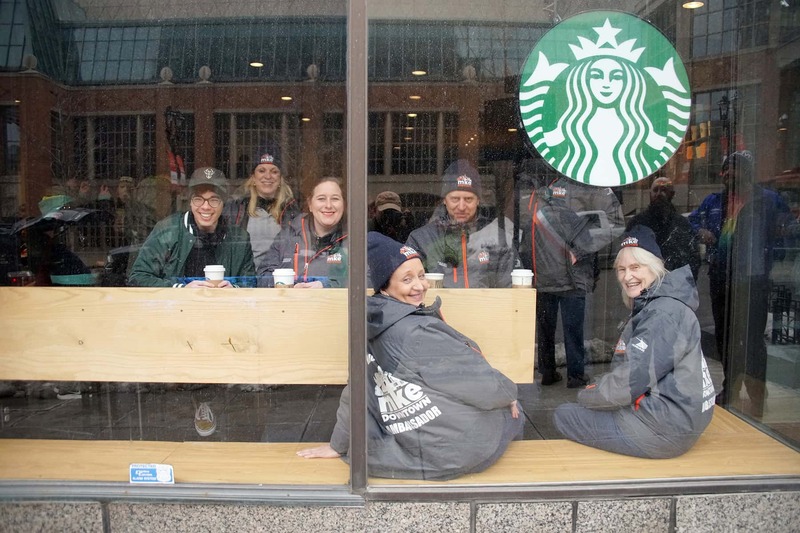 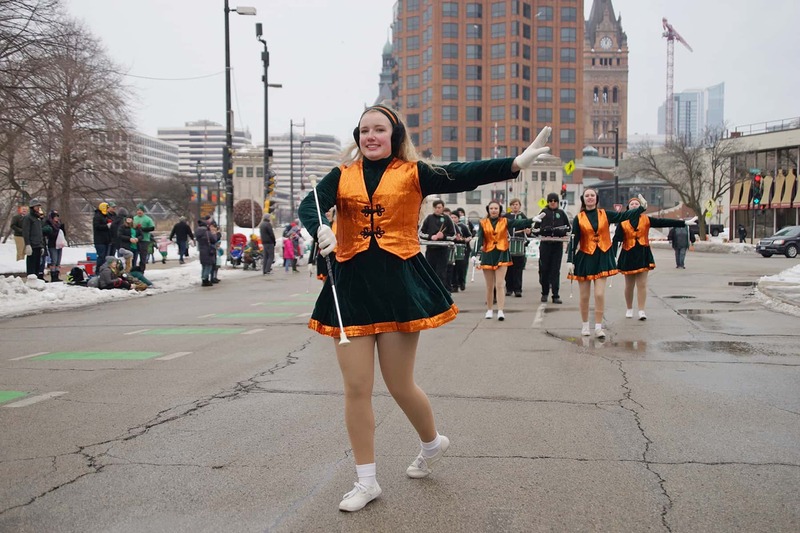 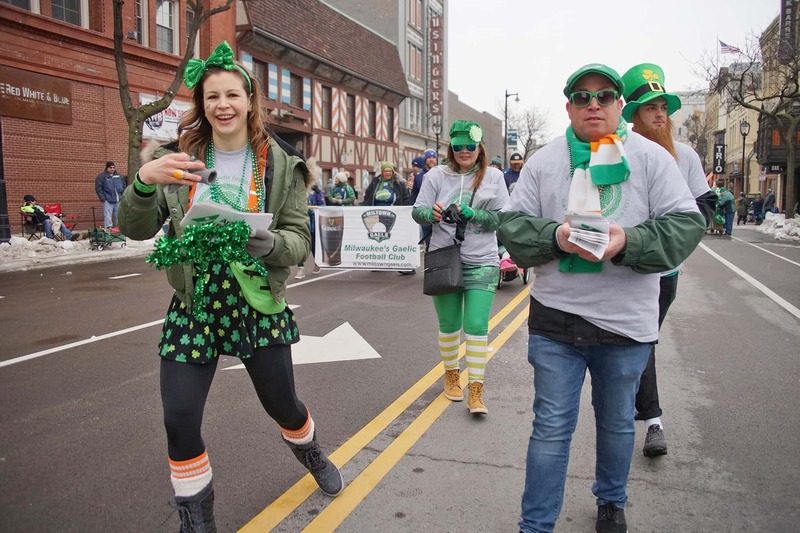 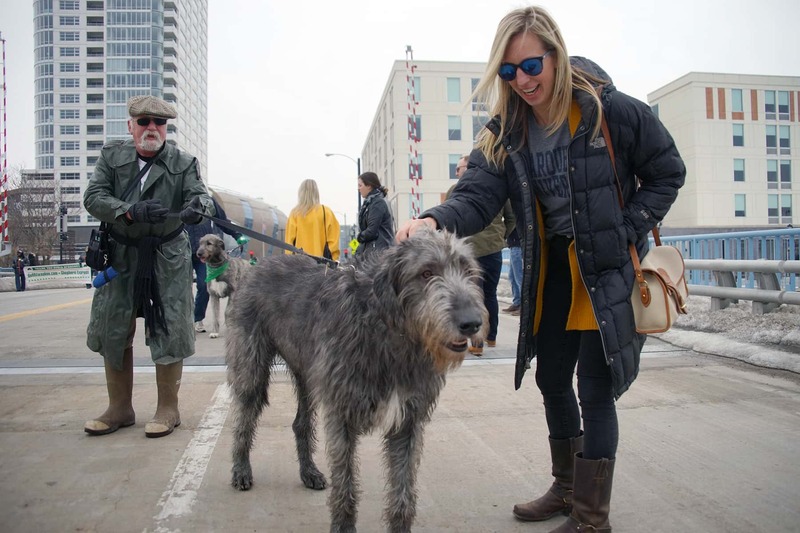 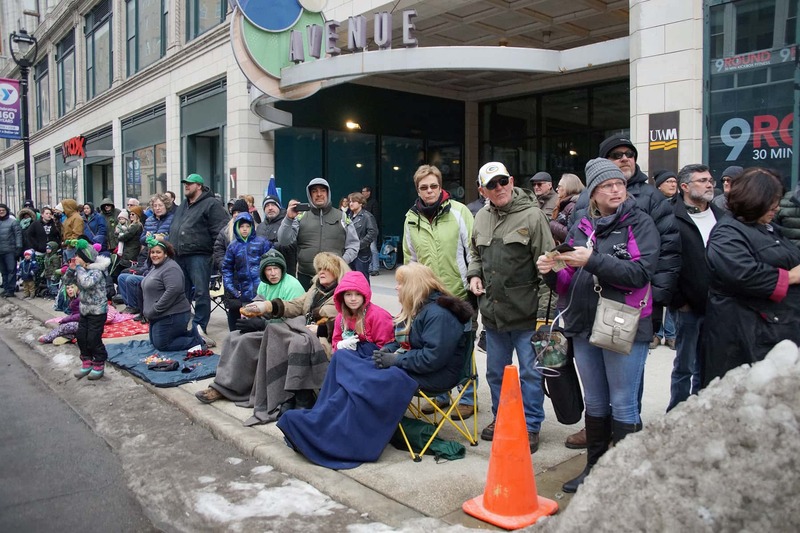 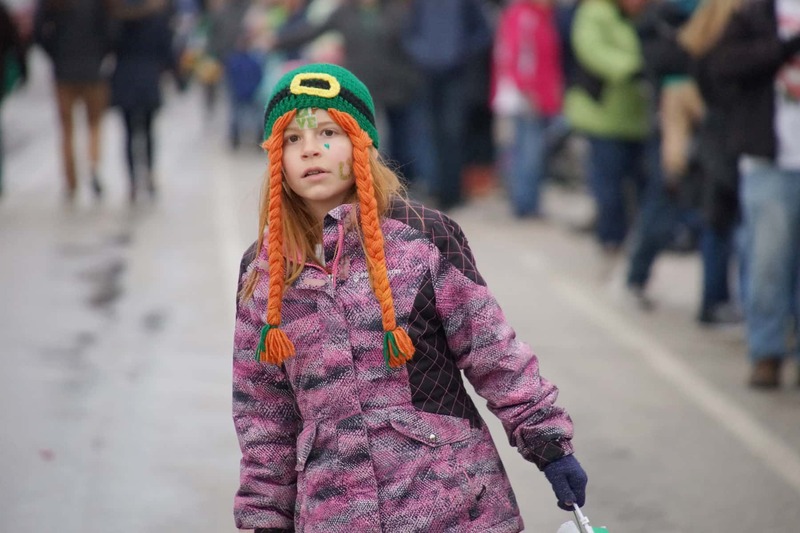 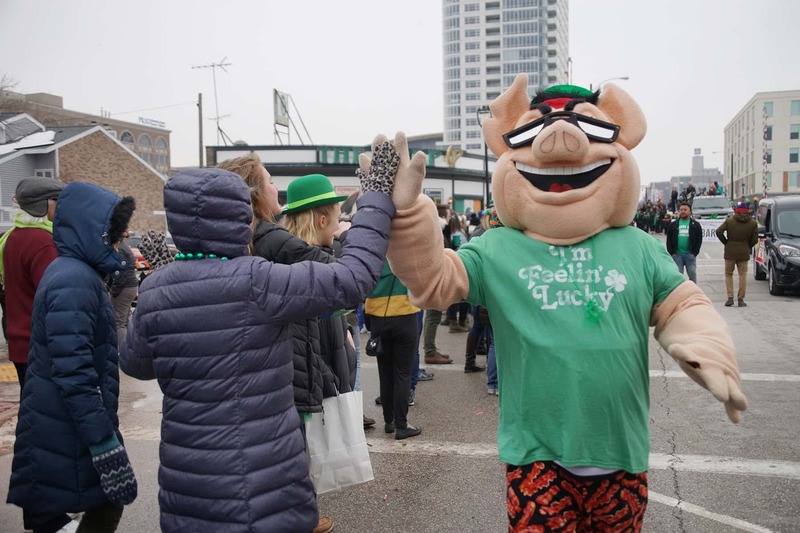 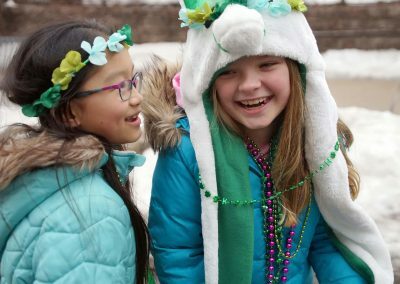 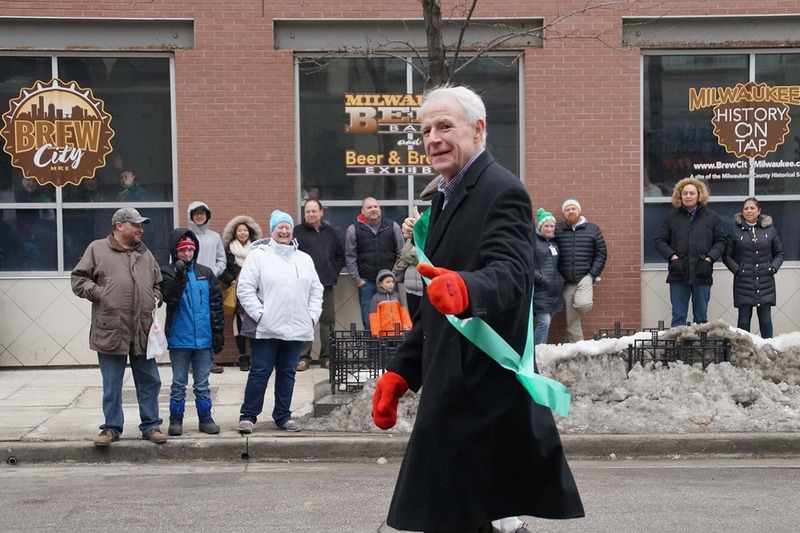 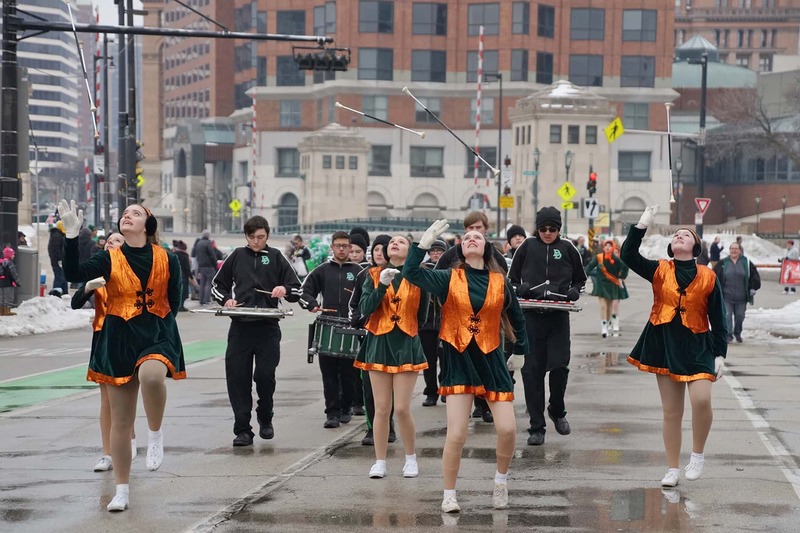 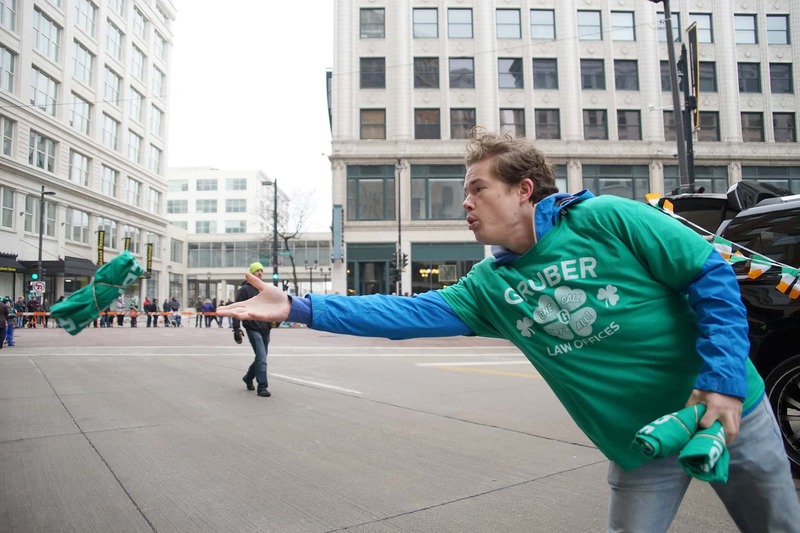 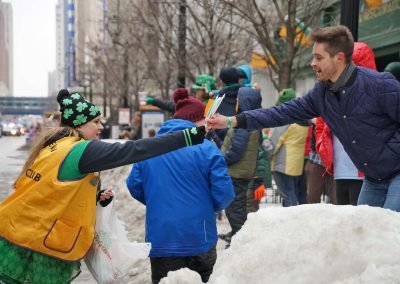 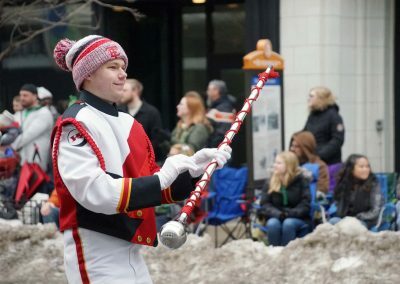 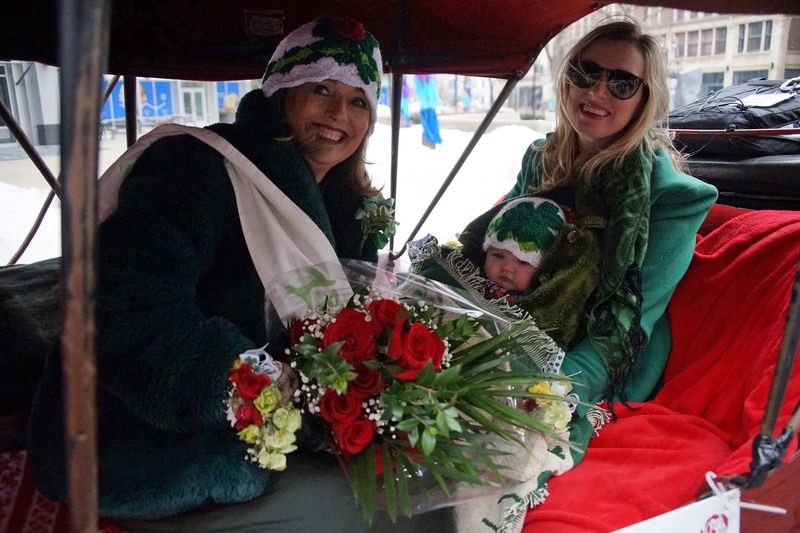 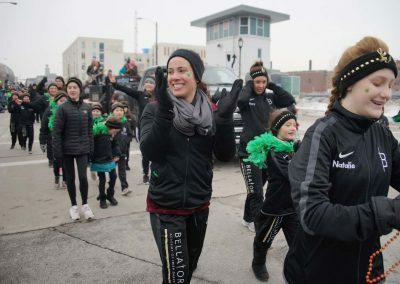 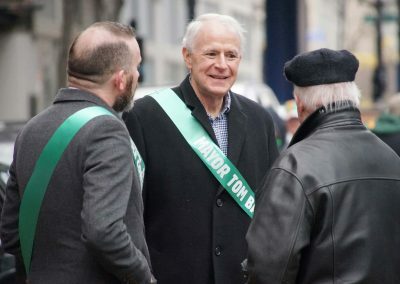 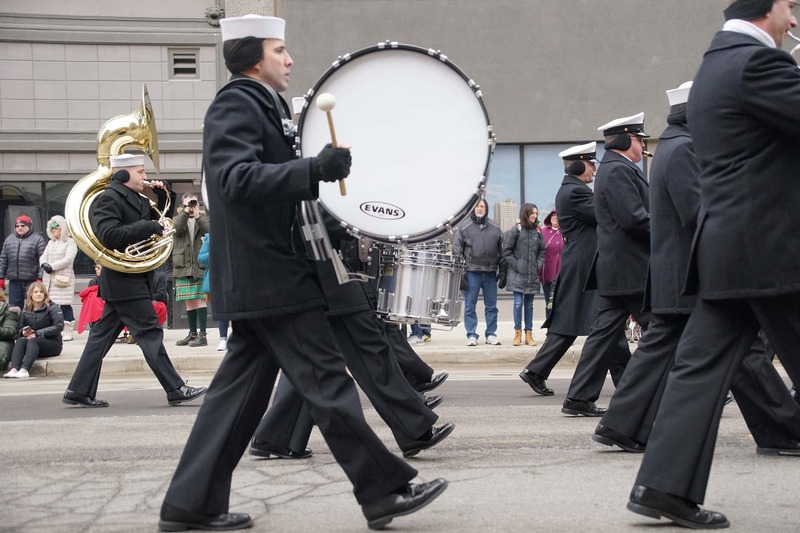 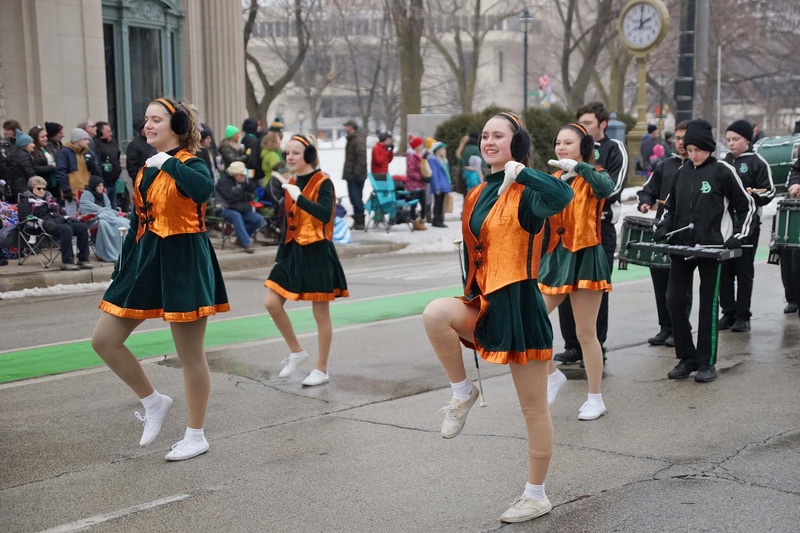 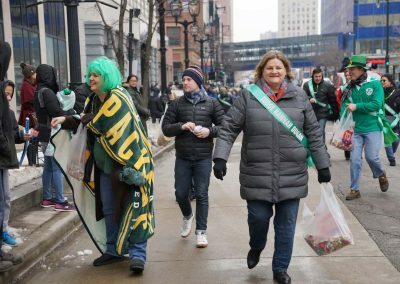 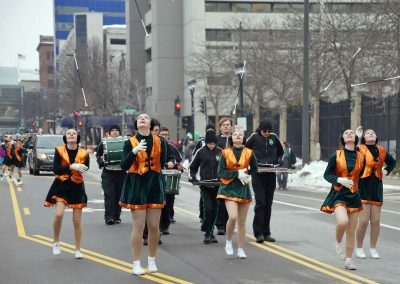 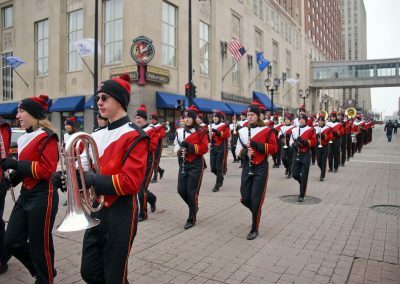 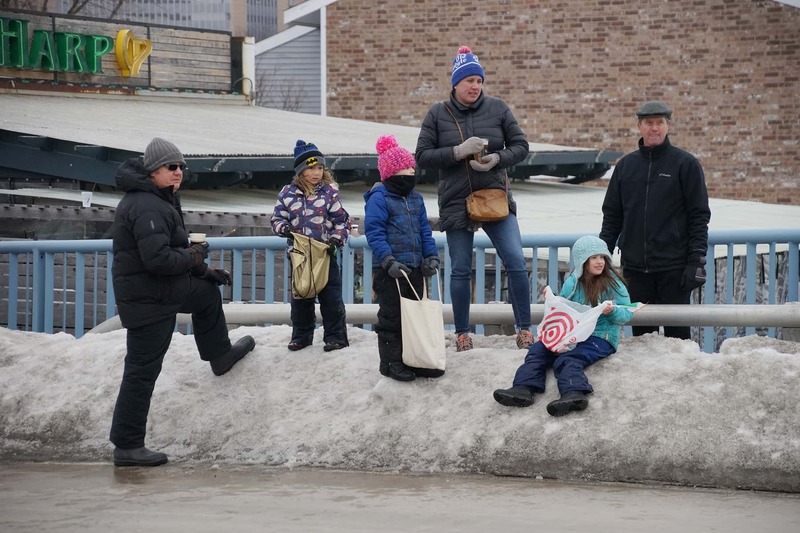 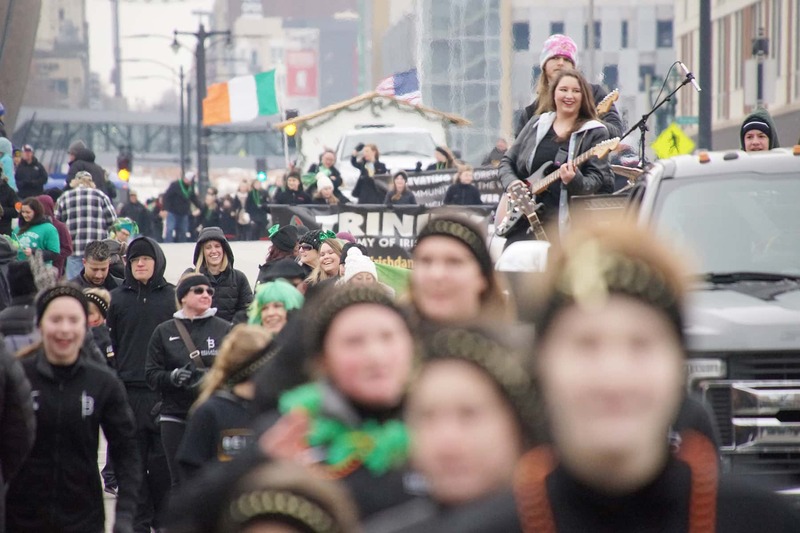 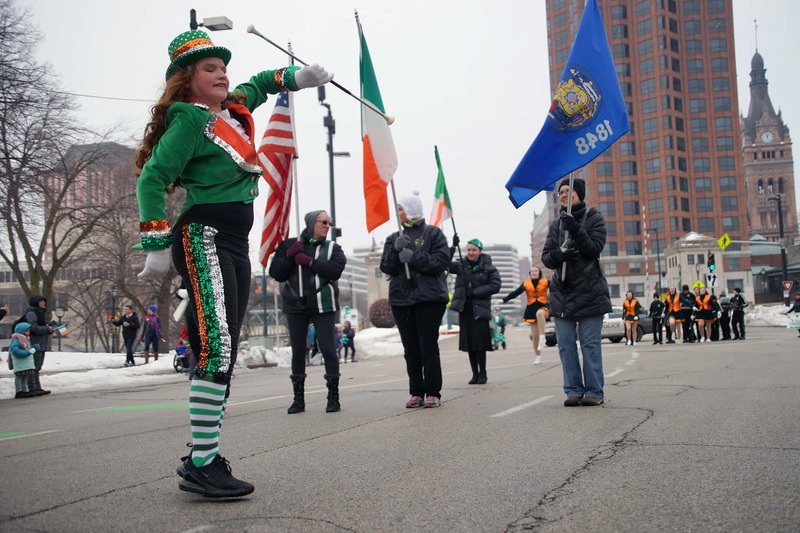 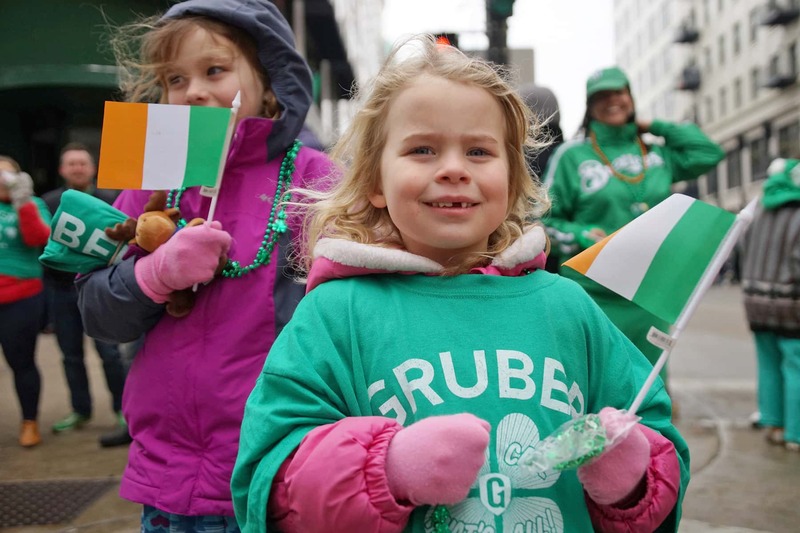 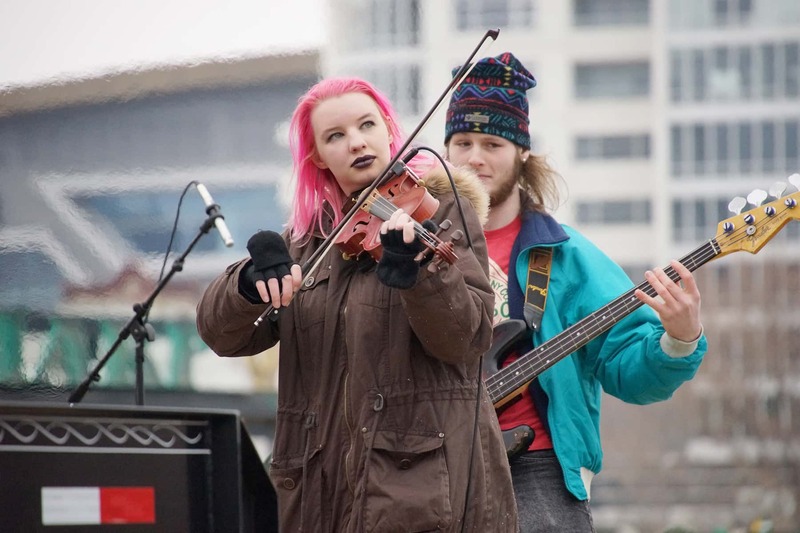 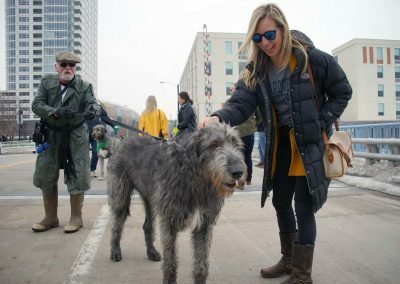 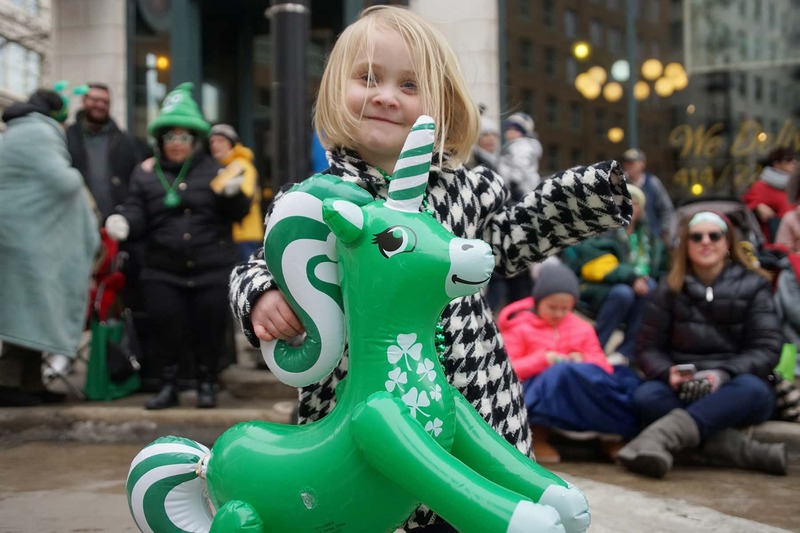 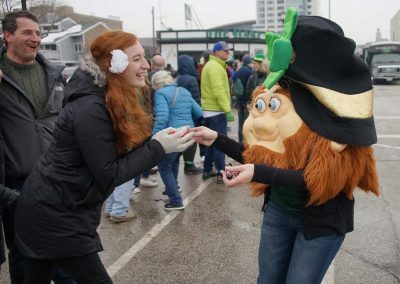 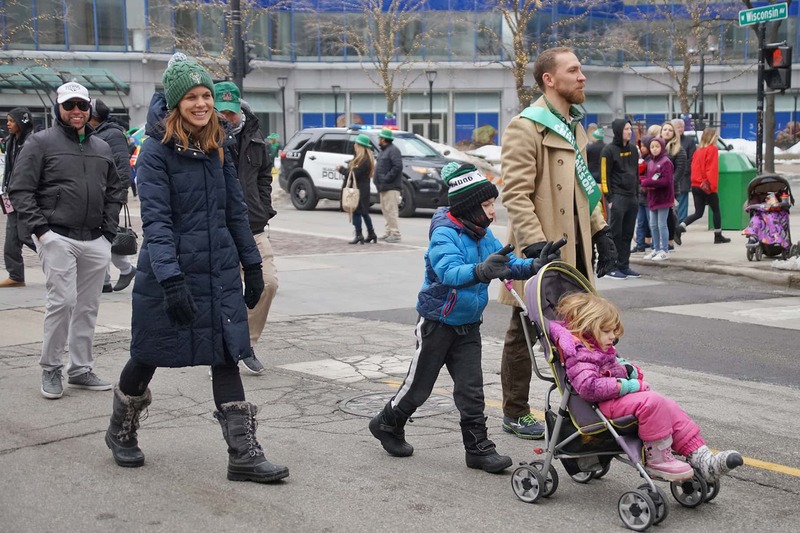 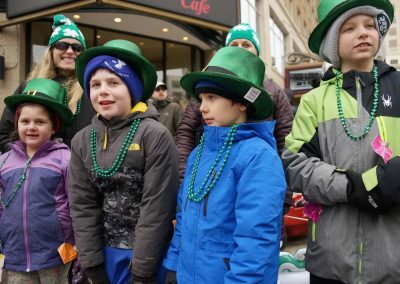 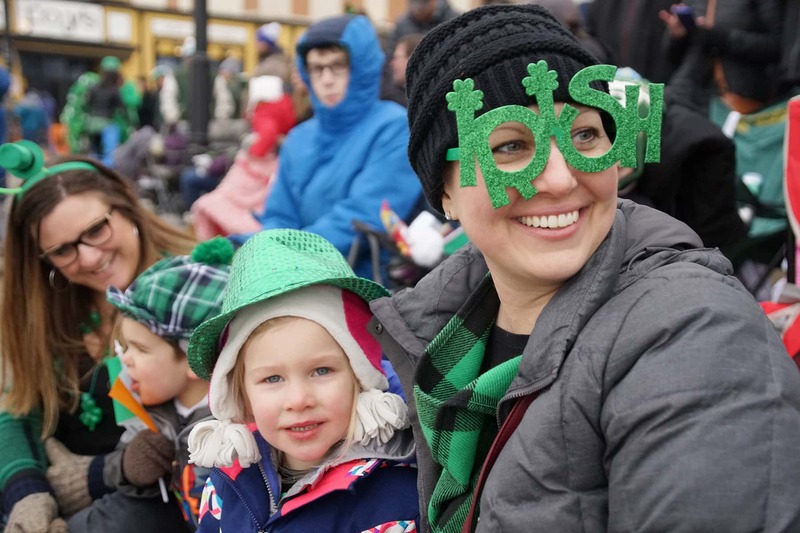 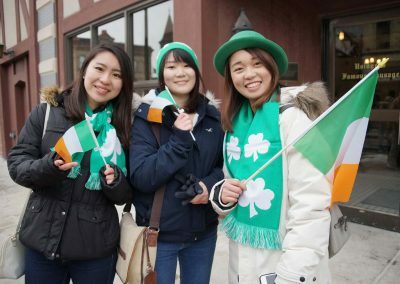 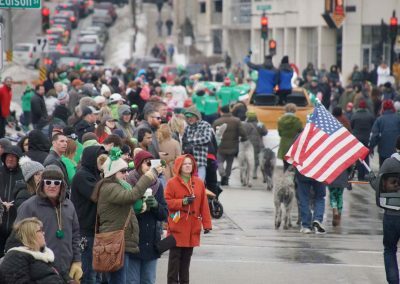 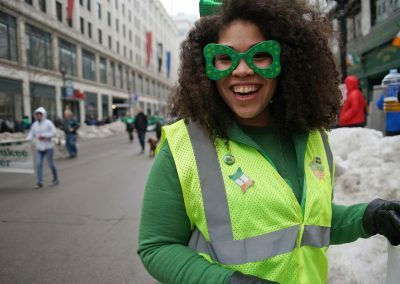 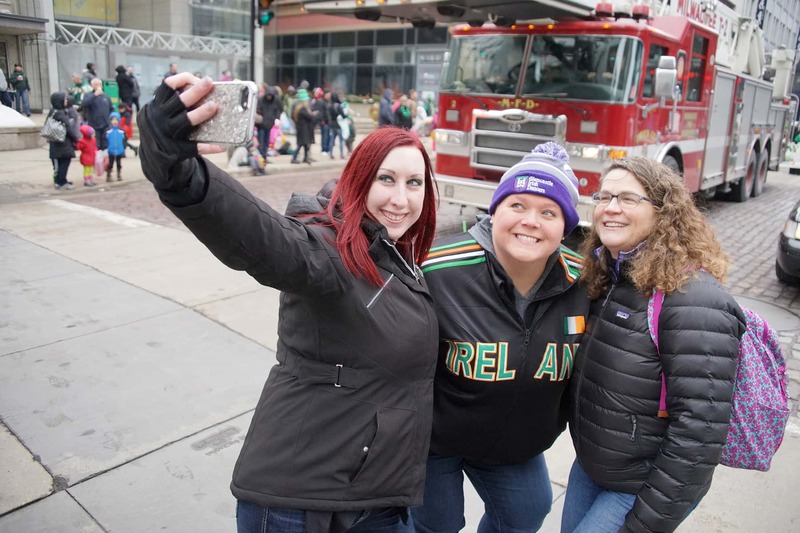 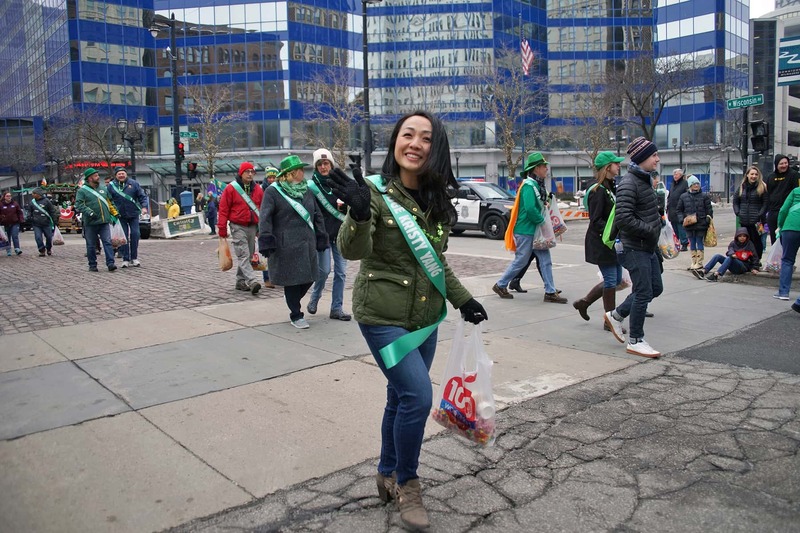 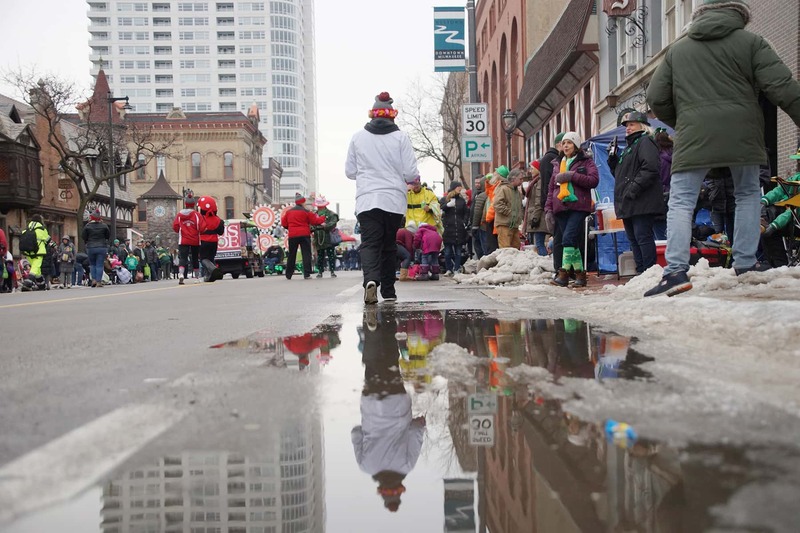 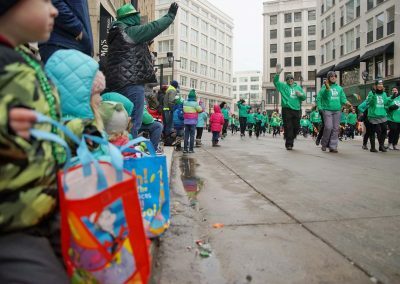 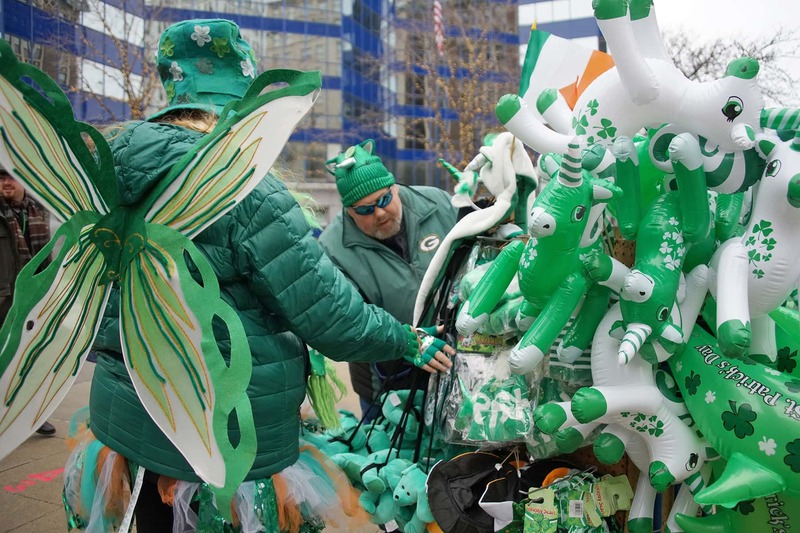 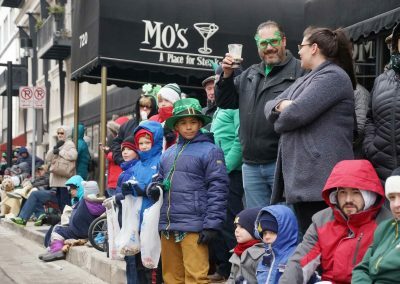 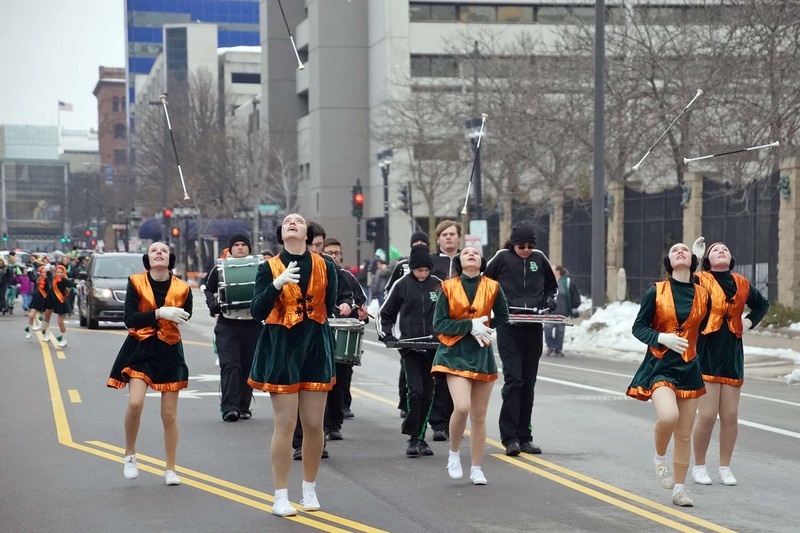 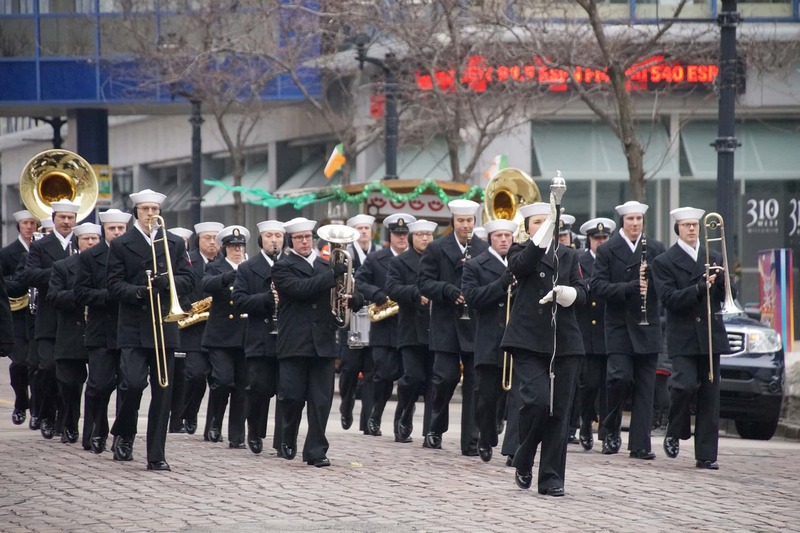 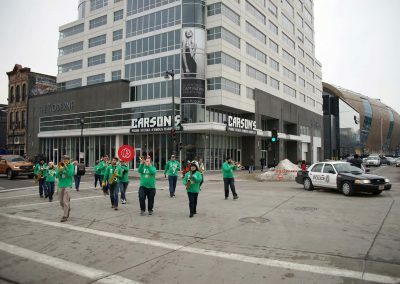 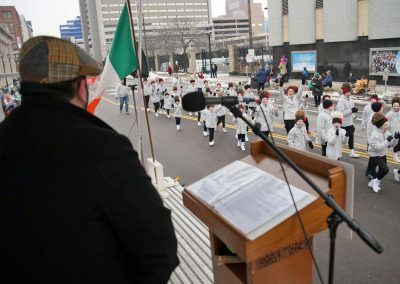 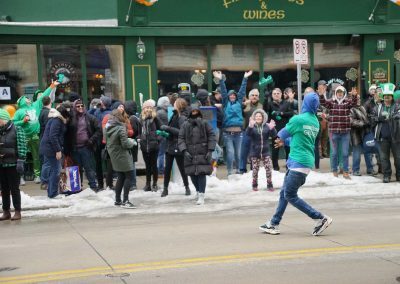 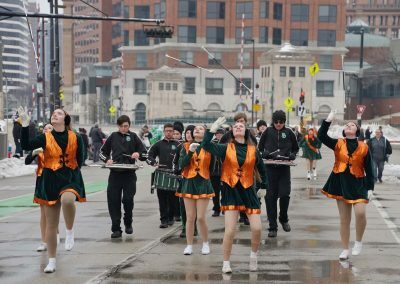 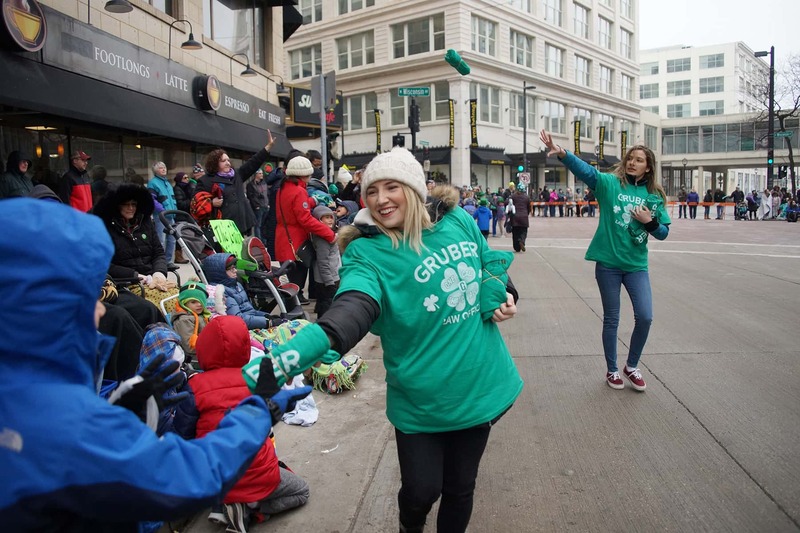 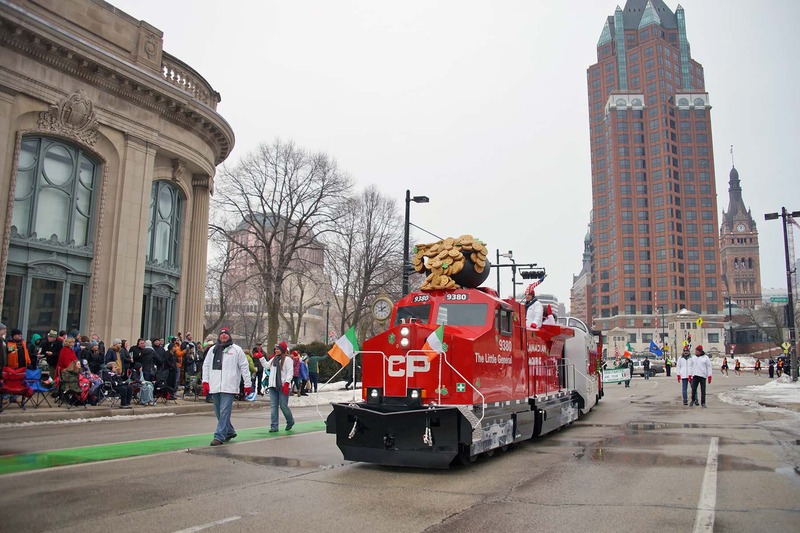 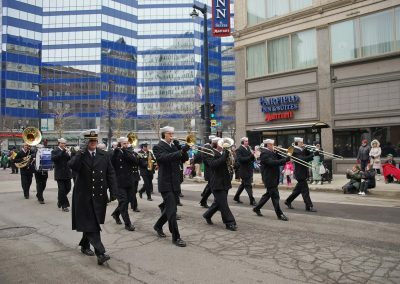 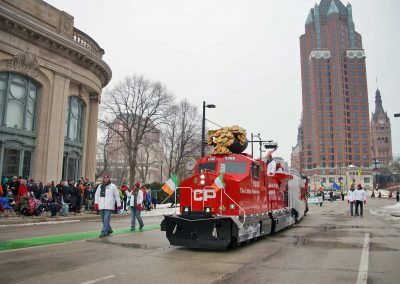 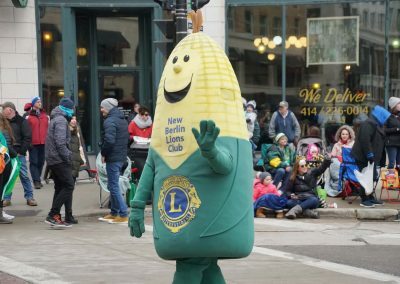 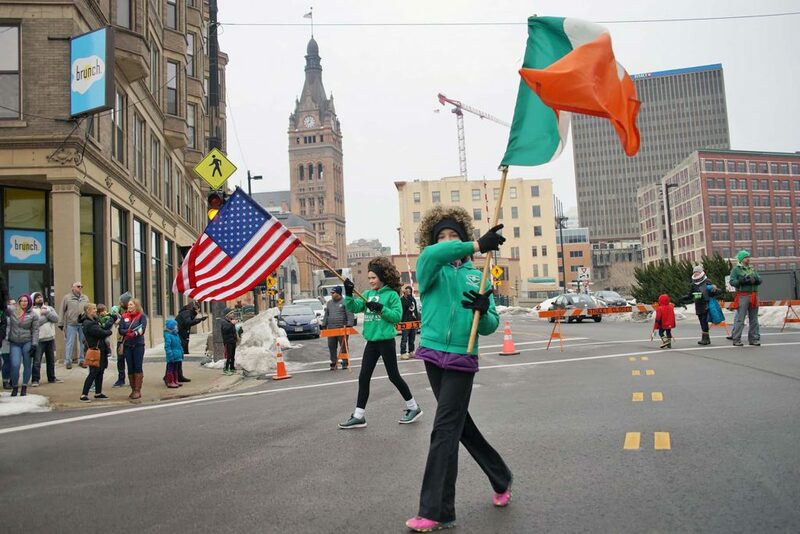 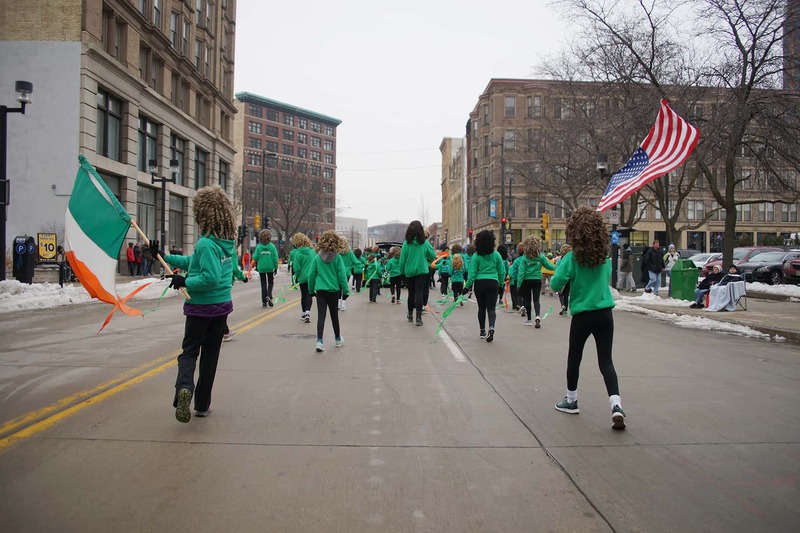 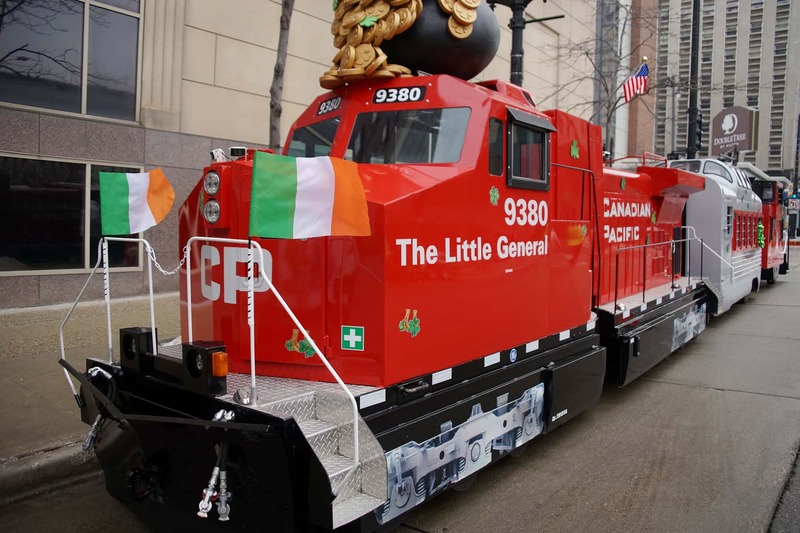 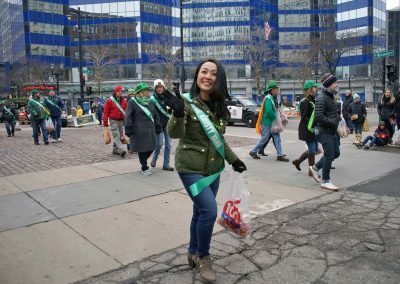 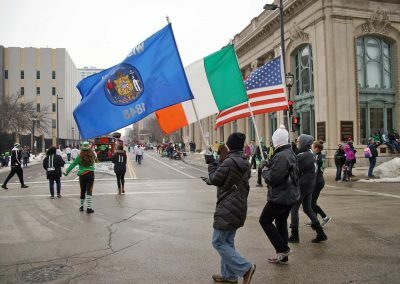 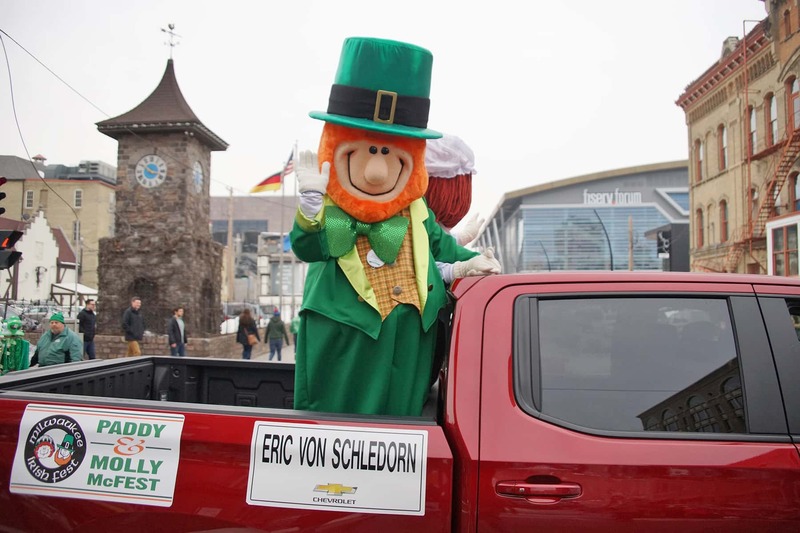 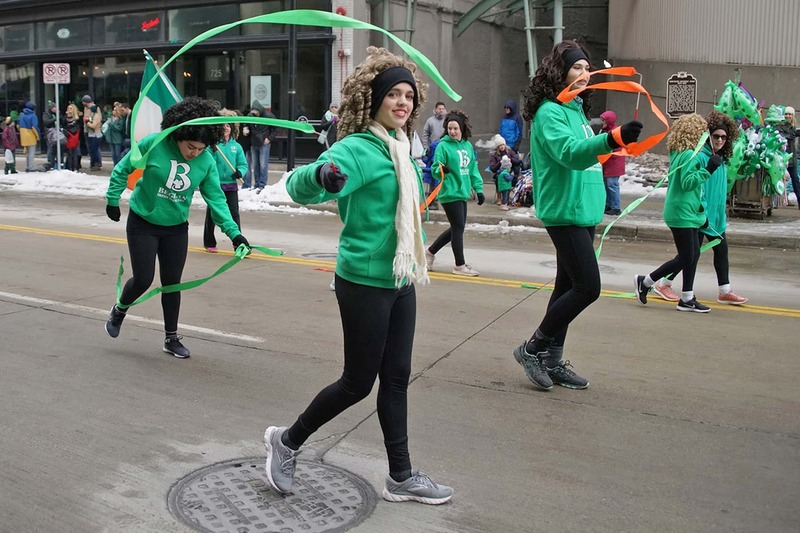 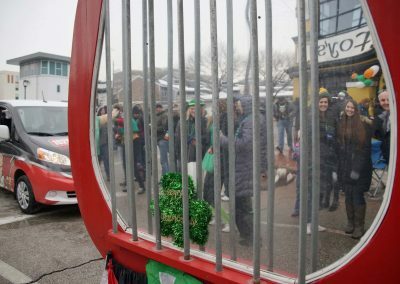 The Shamrock Club of Wisconsin’s 53rd Annual St. Patrick’s Day Parade returned to Downtown Milwaukee on March 9, displaying Irish pride along the length of the 1.25-mile route. 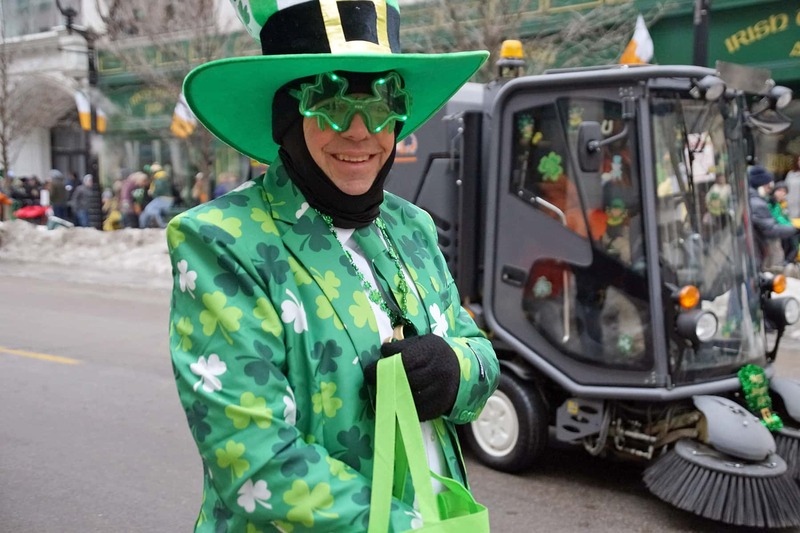 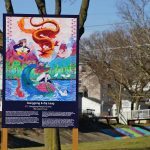 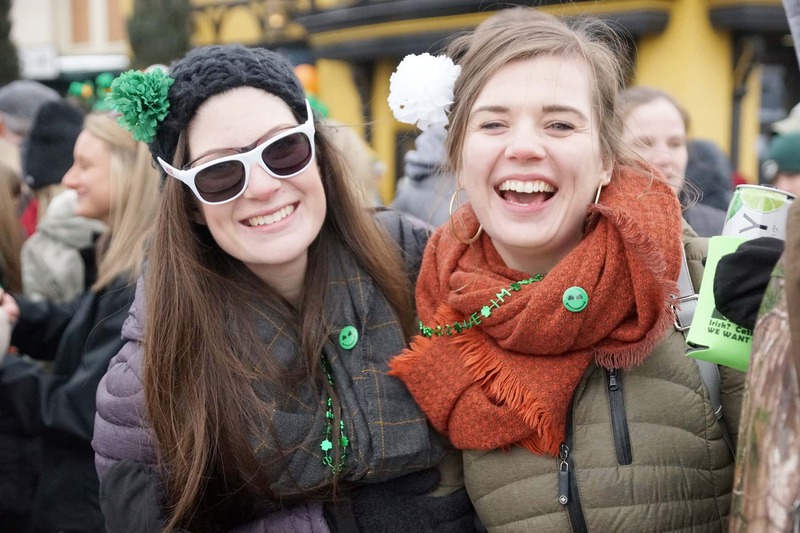 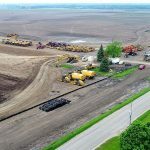 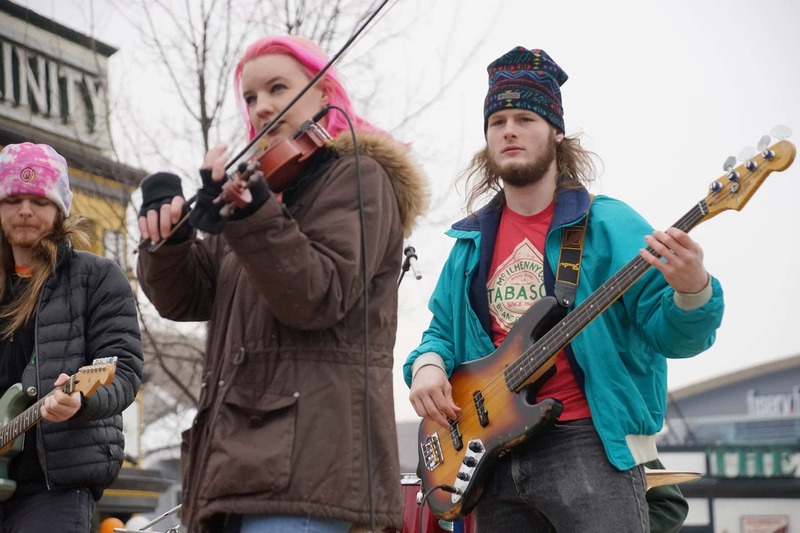 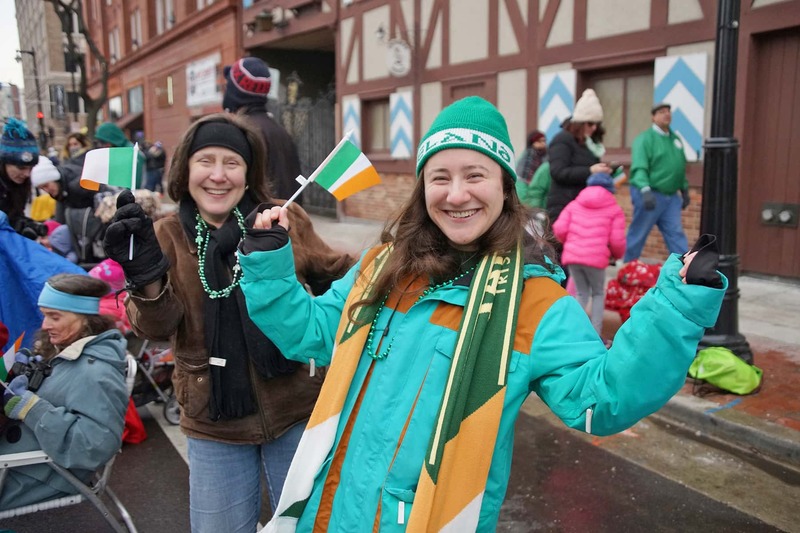 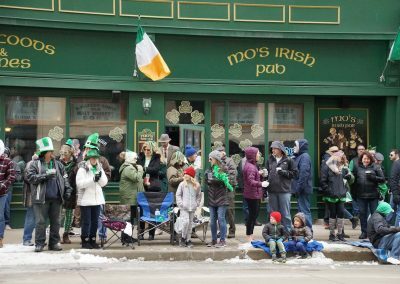 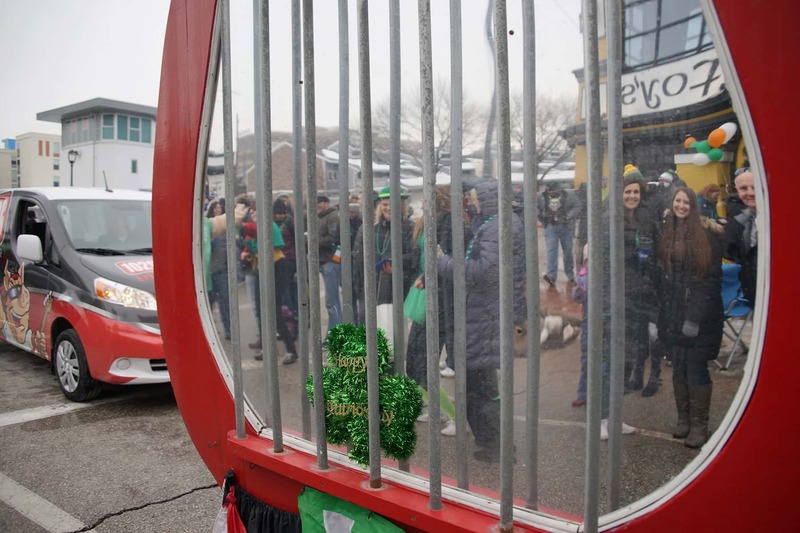 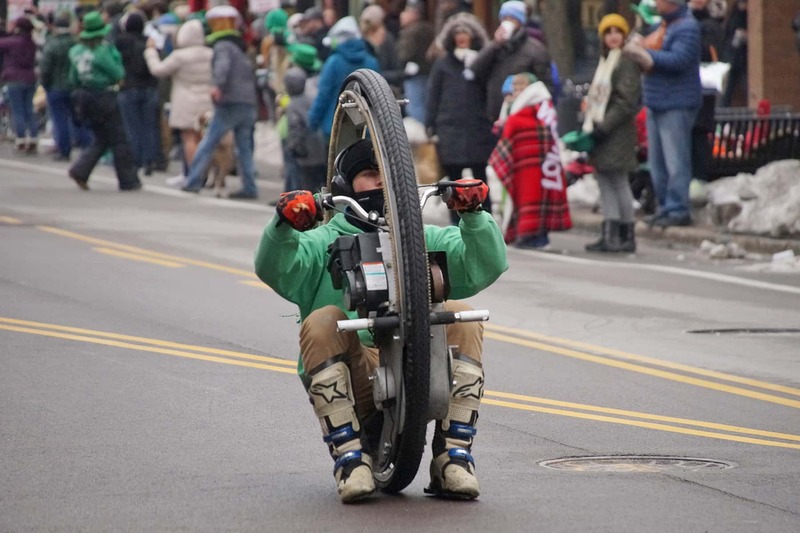 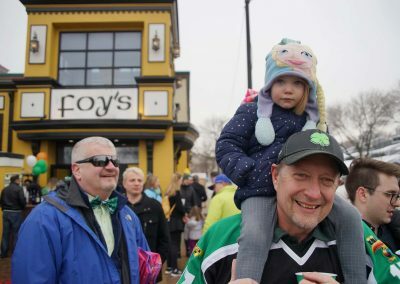 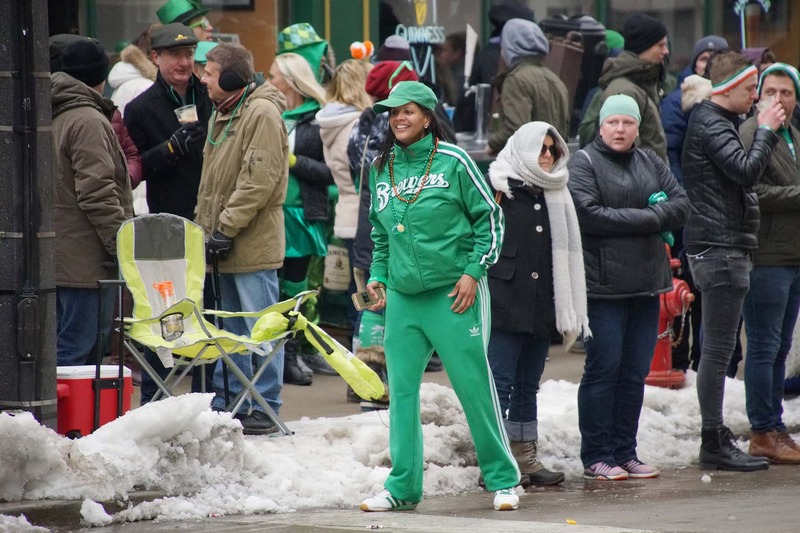 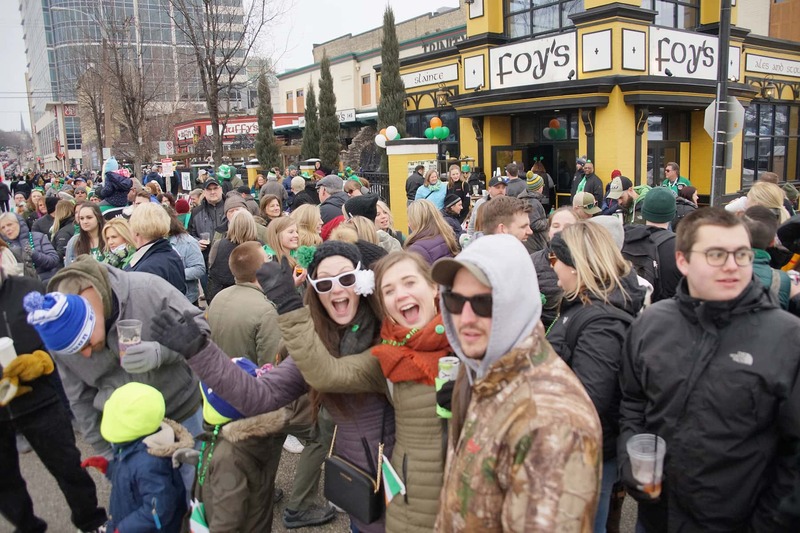 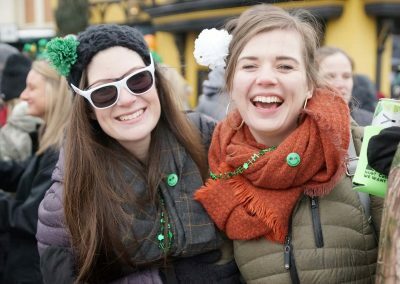 The Shamrock Club of Wisconsin and the Westown Association have collaborated for the past 17 years on Wisconsin’s oldest and largest St. Patrick’s Day celebration. 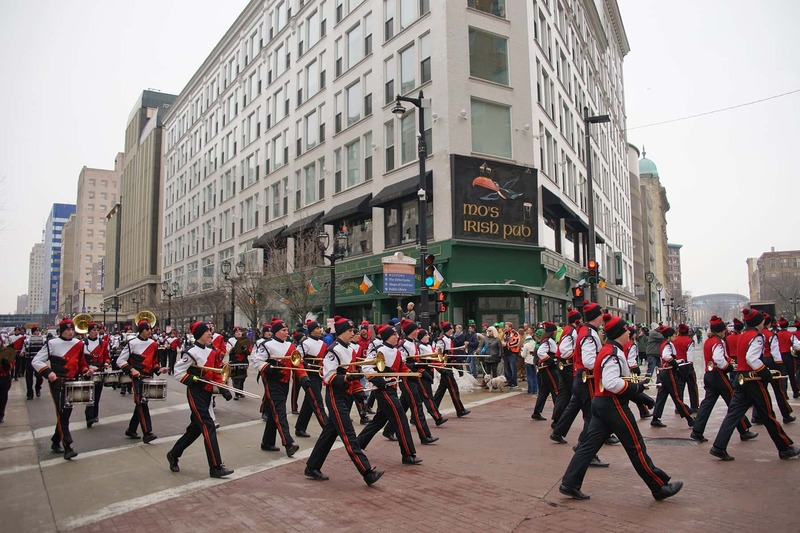 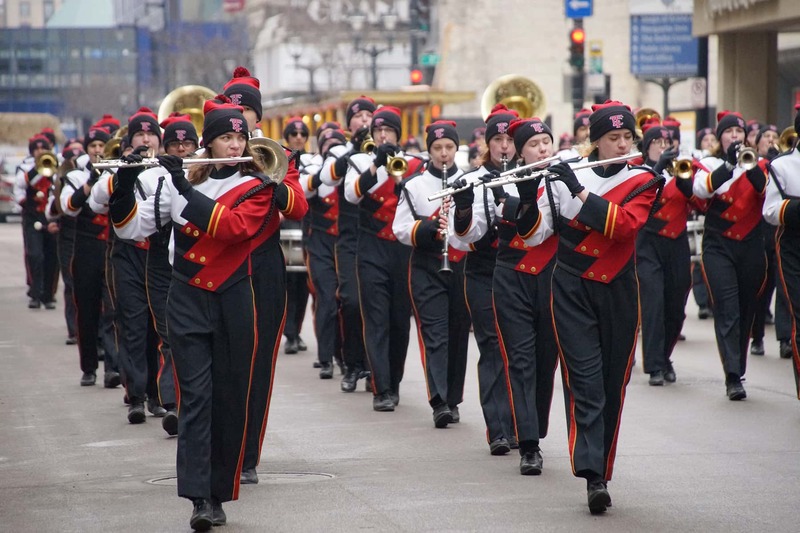 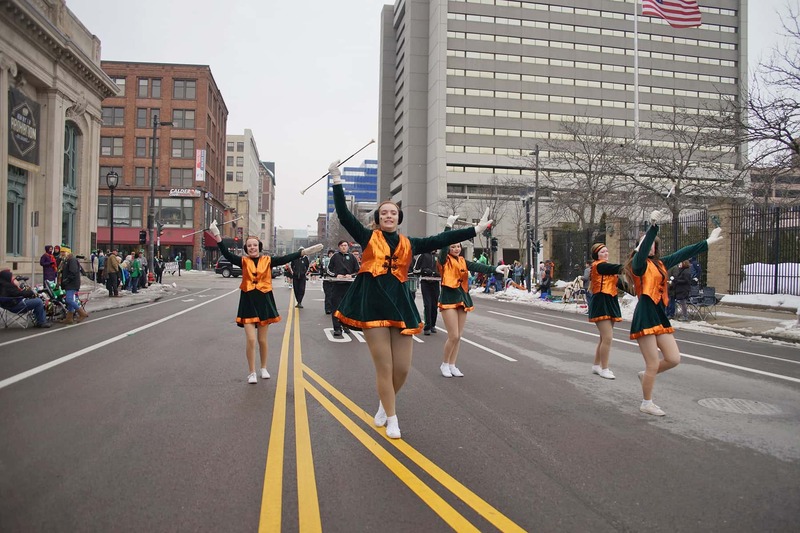 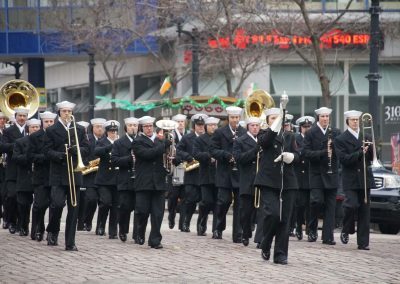 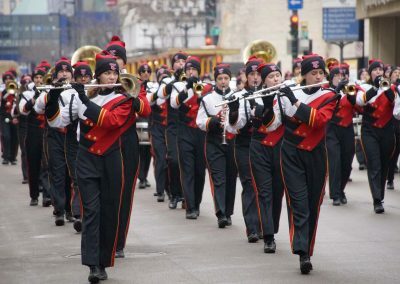 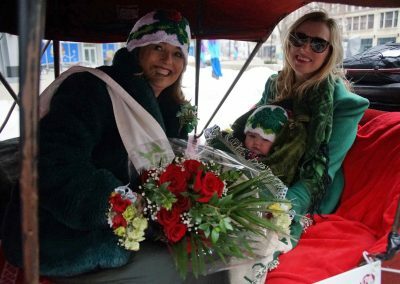 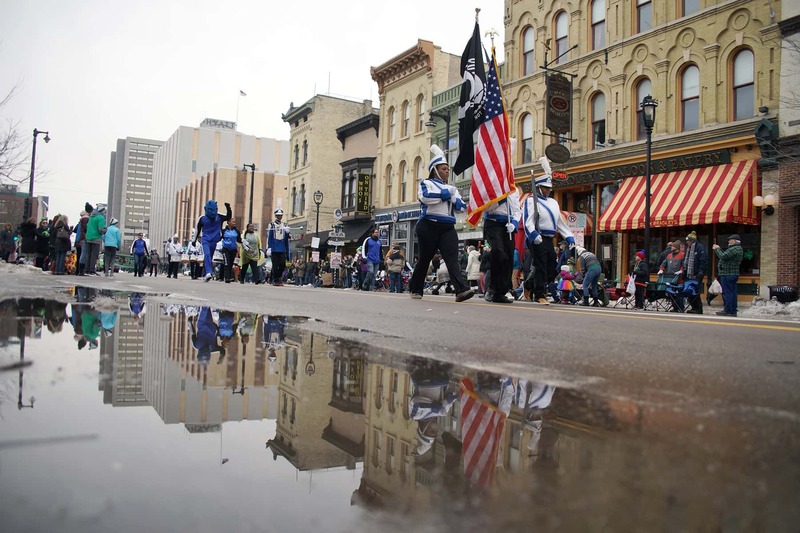 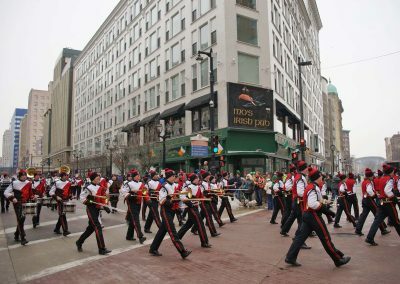 Although the Shamrock Club is celebrating its 53rd anniversary of producing the parade, the event dates back to 1843. 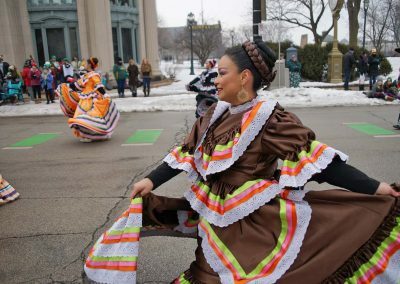 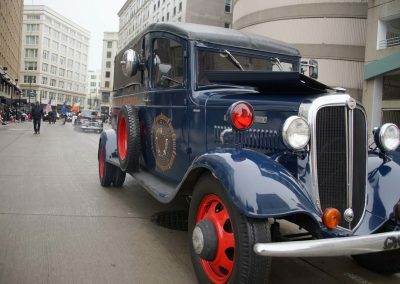 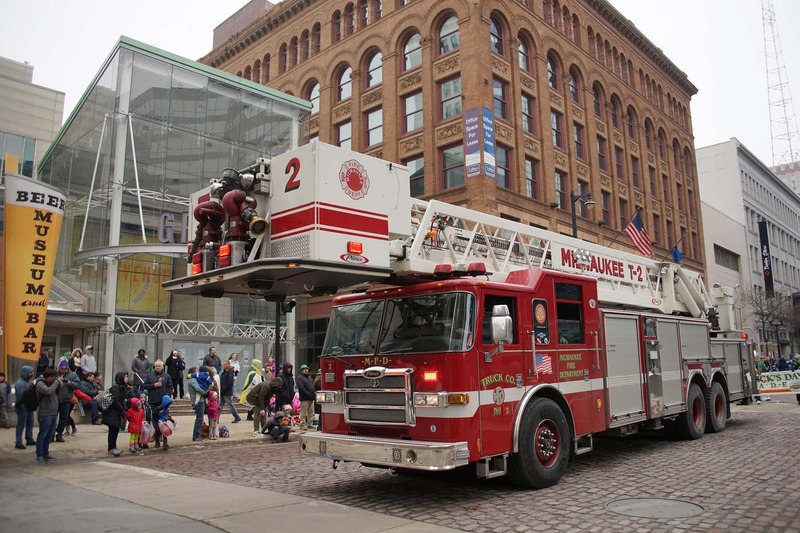 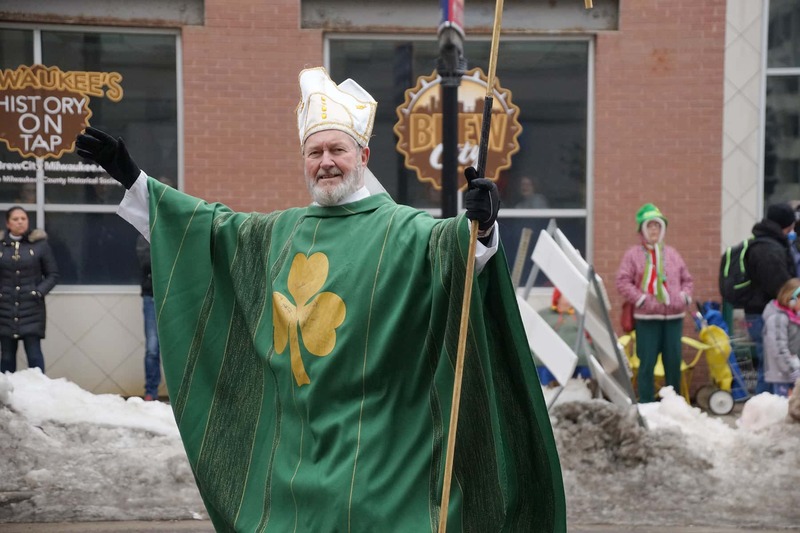 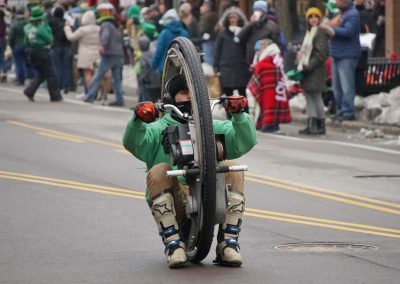 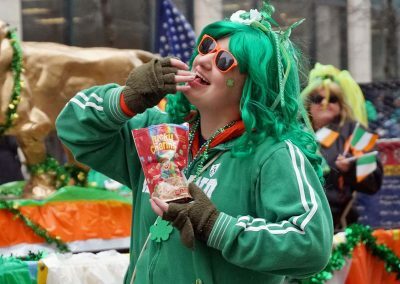 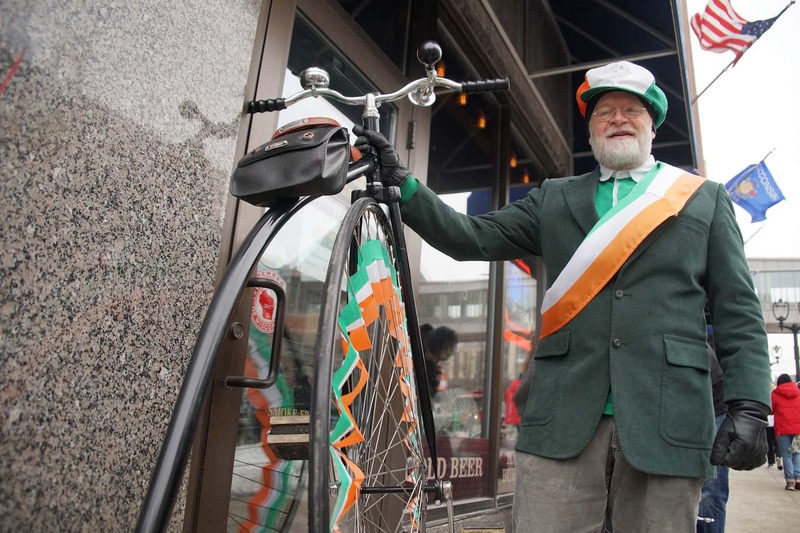 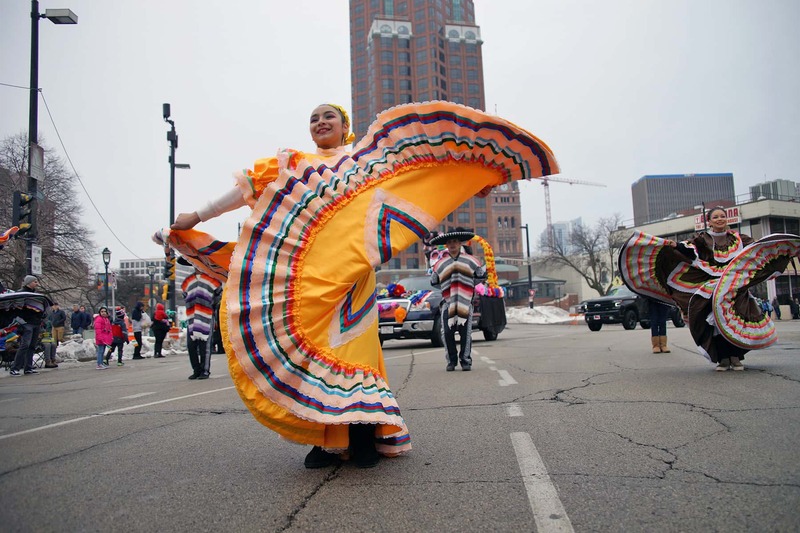 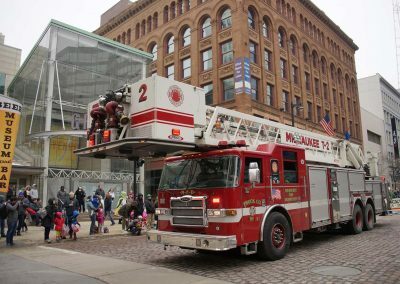 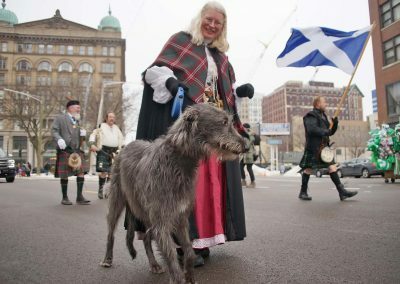 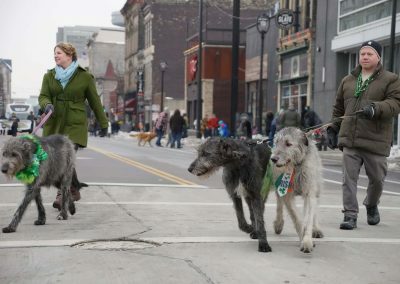 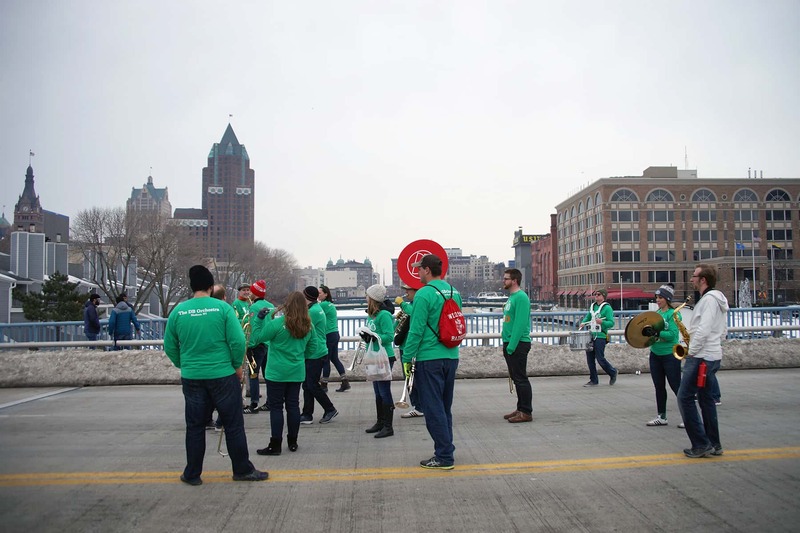 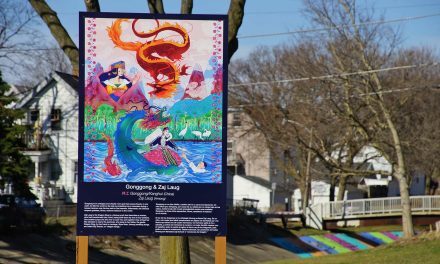 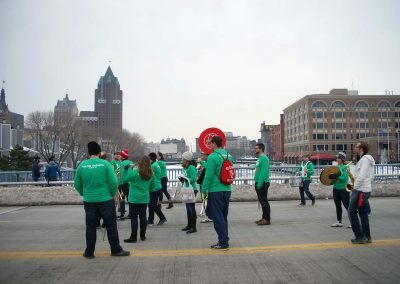 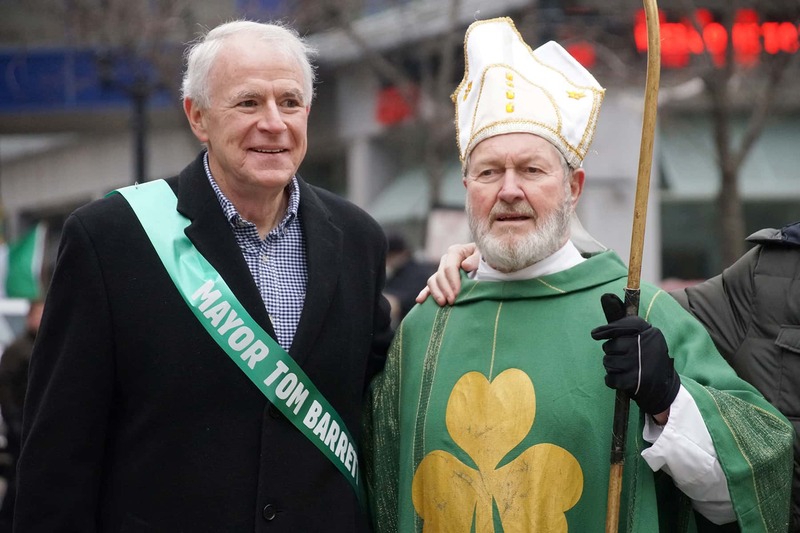 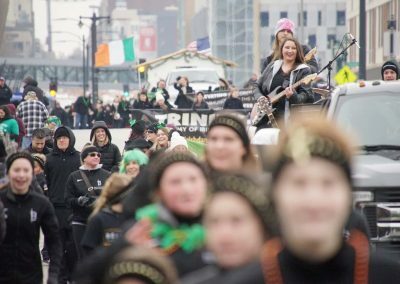 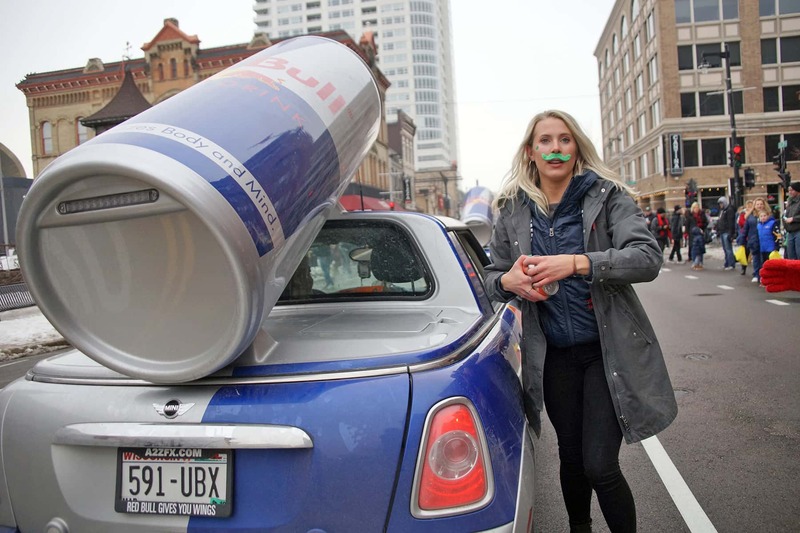 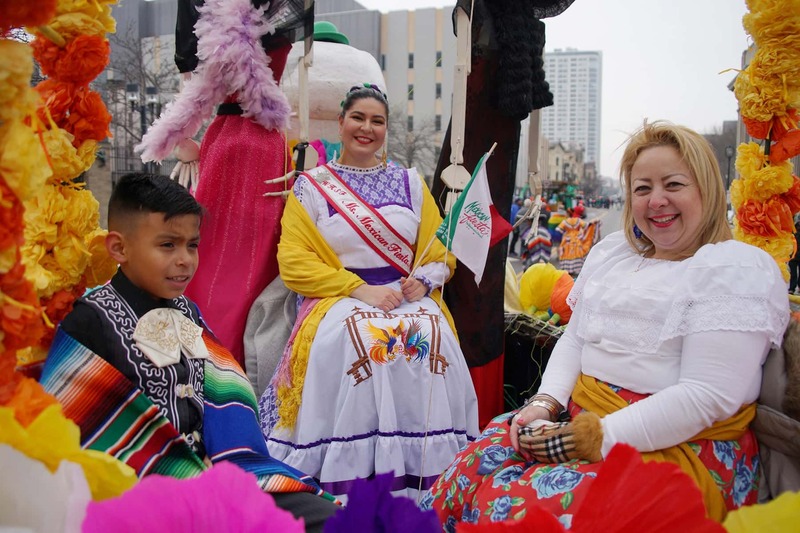 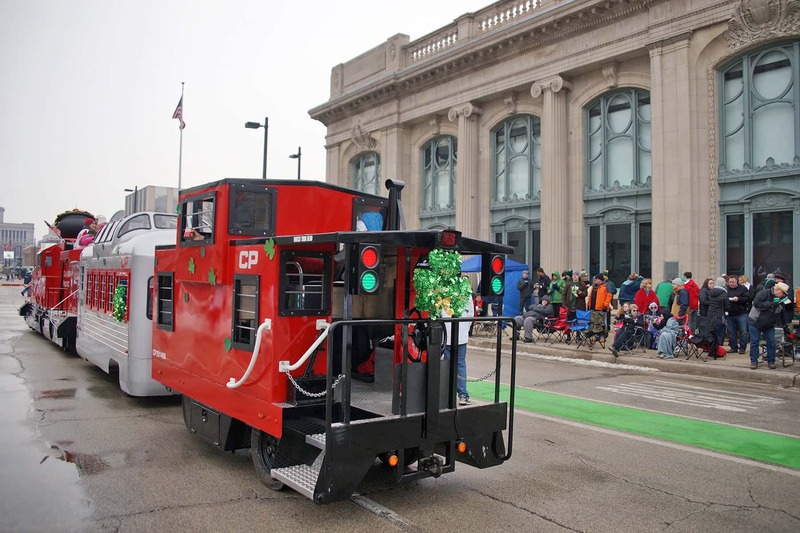 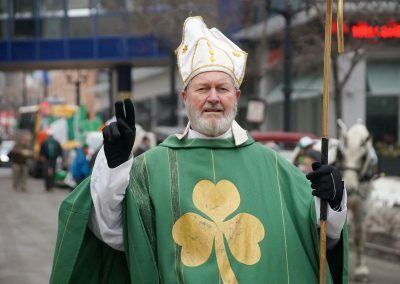 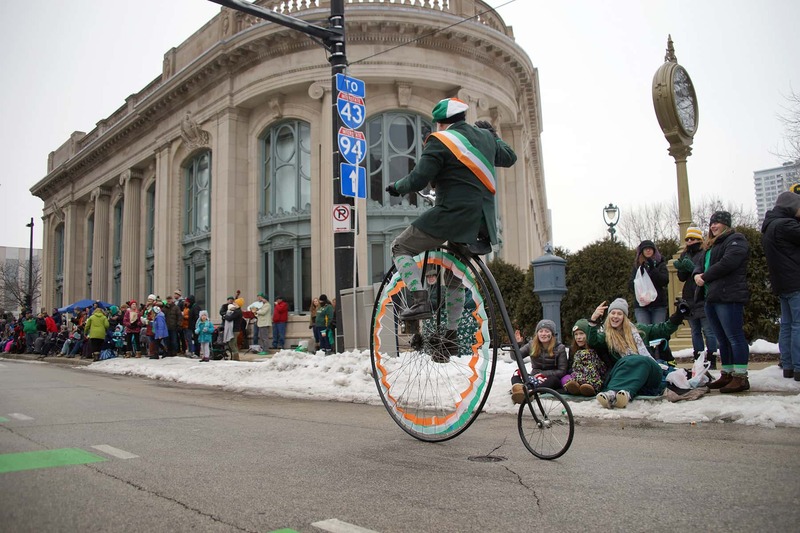 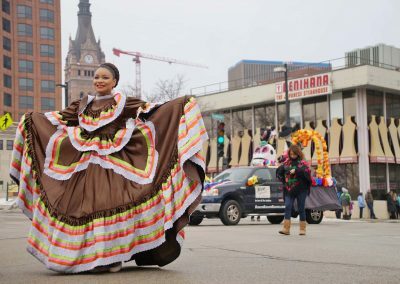 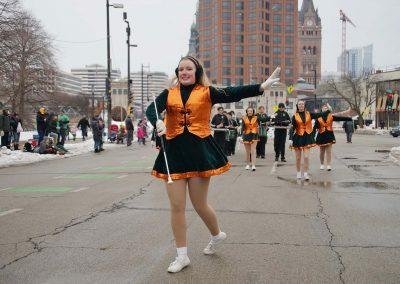 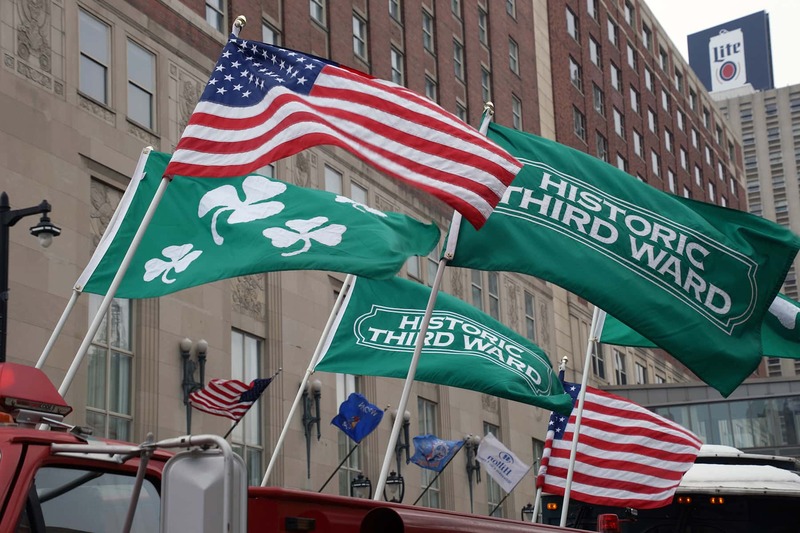 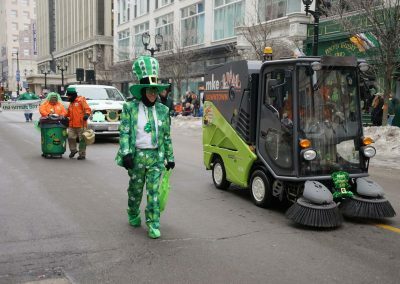 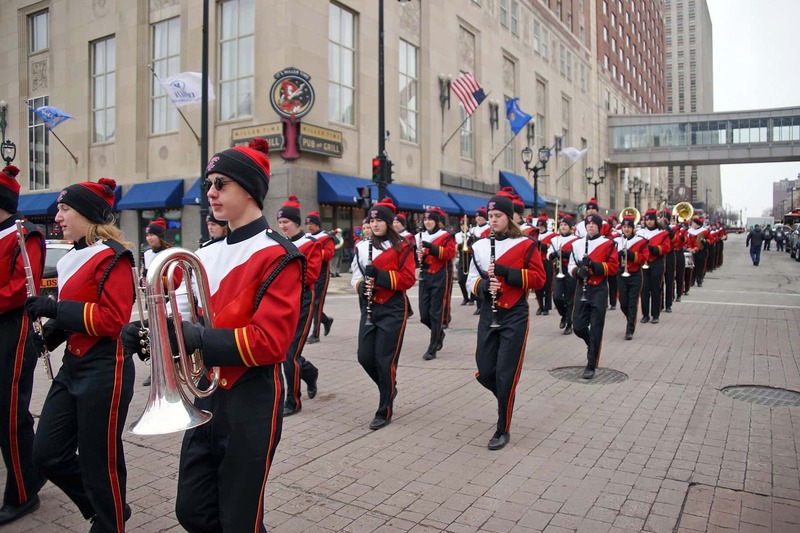 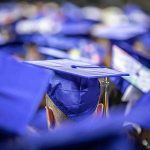 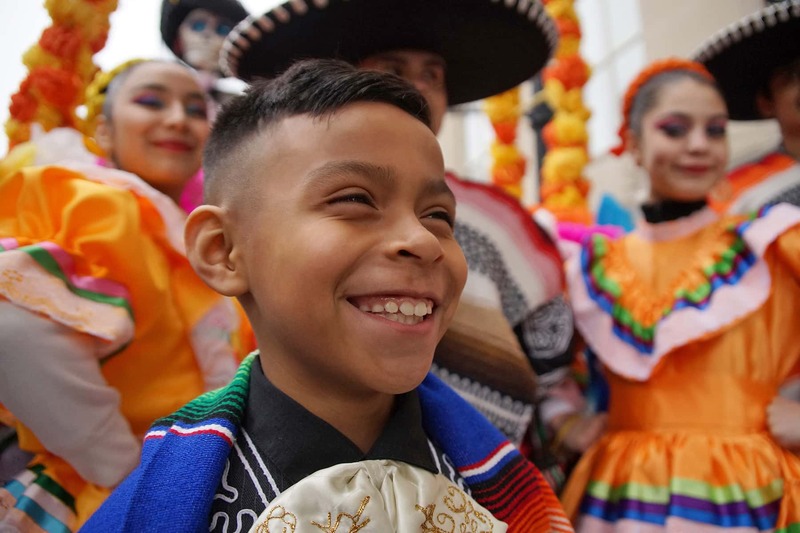 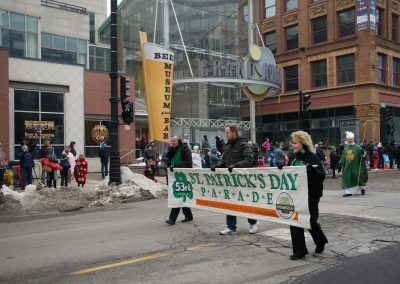 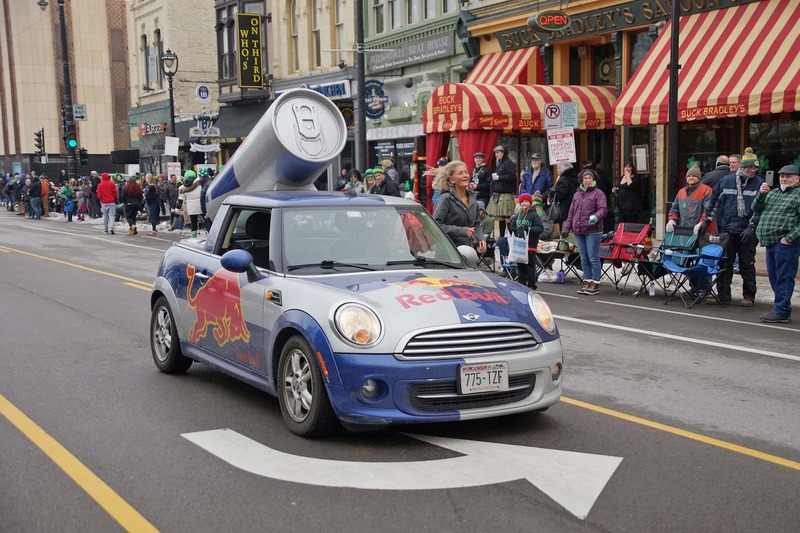 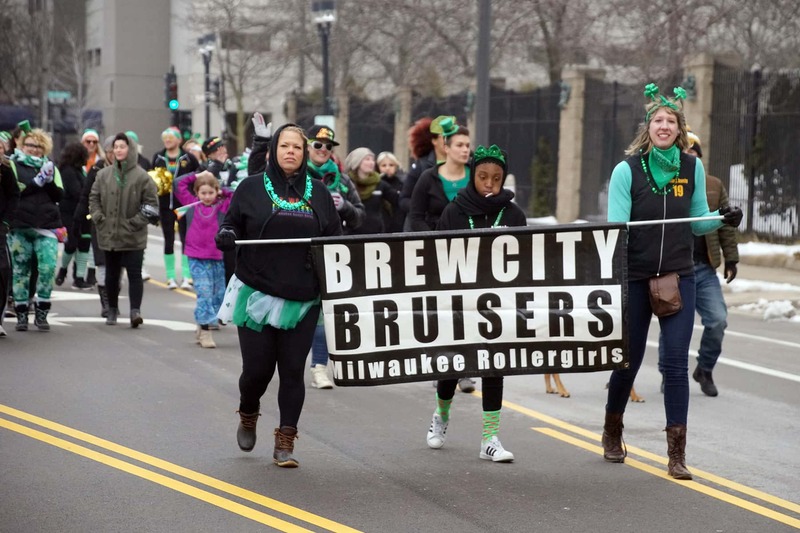 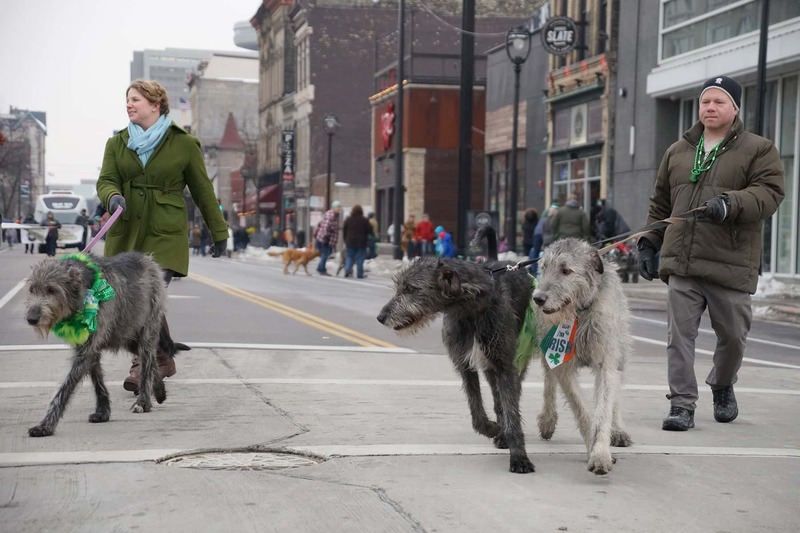 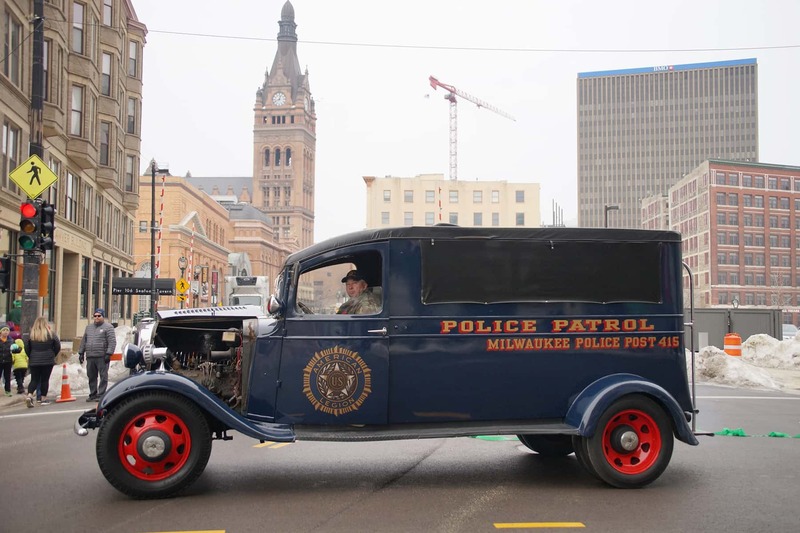 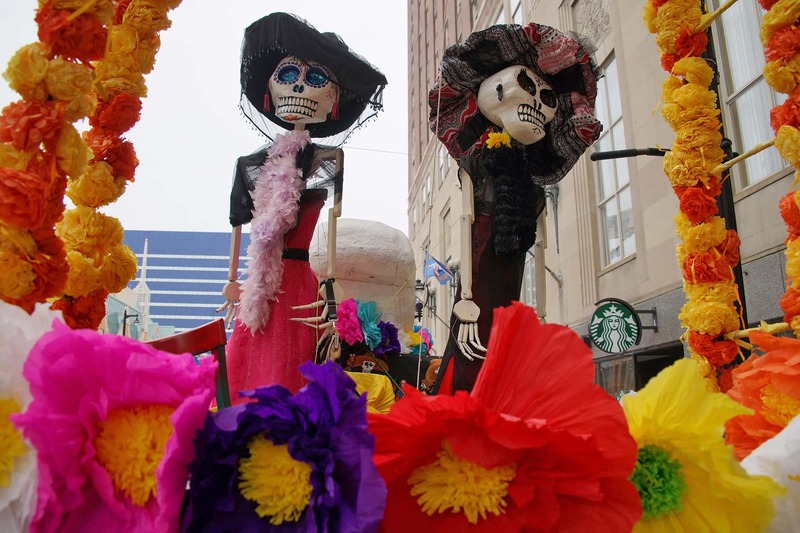 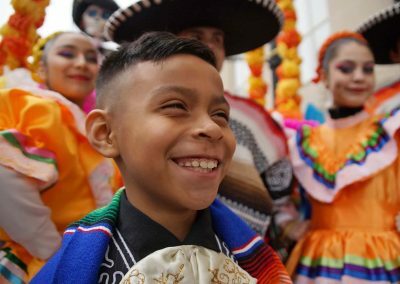 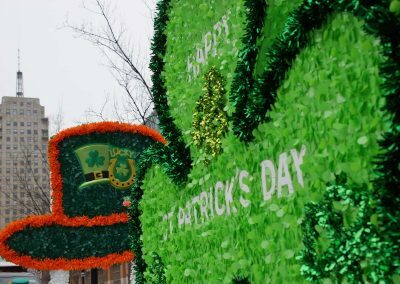 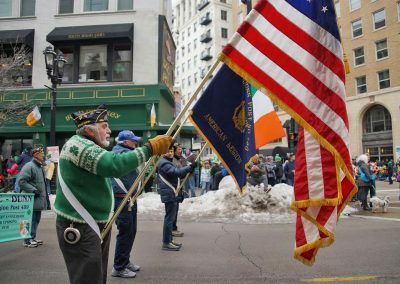 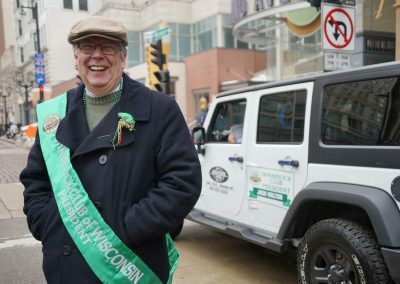 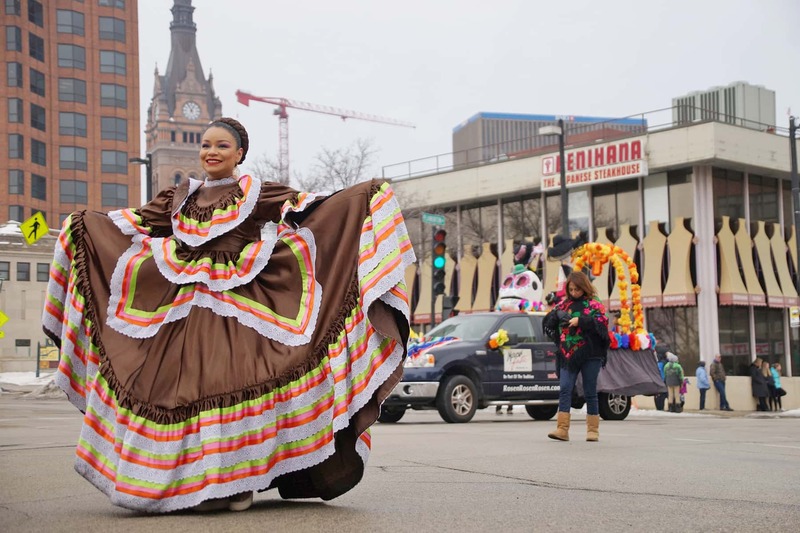 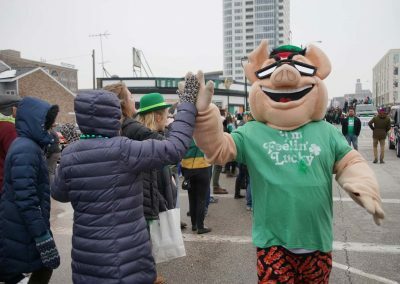 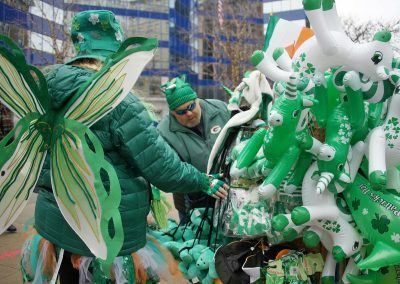 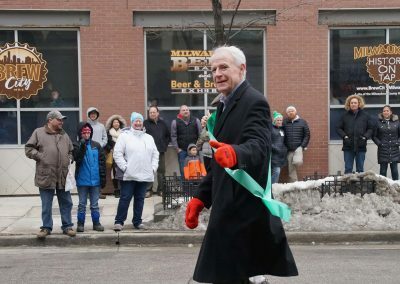 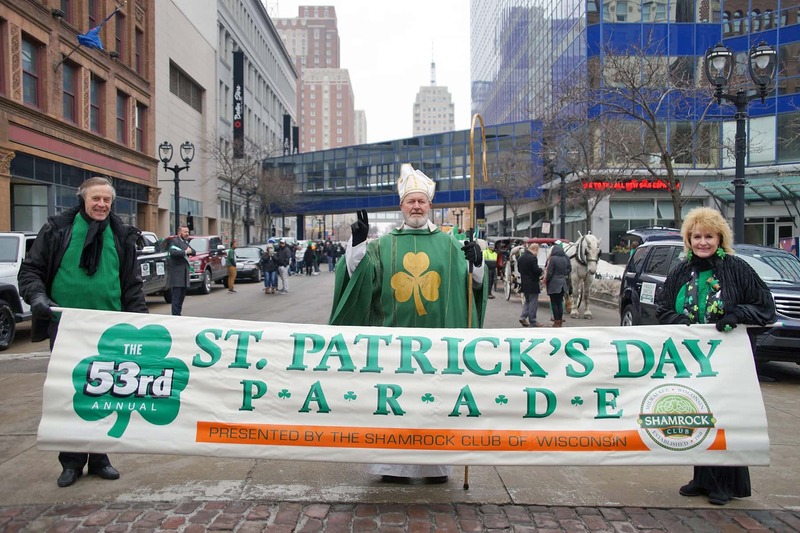 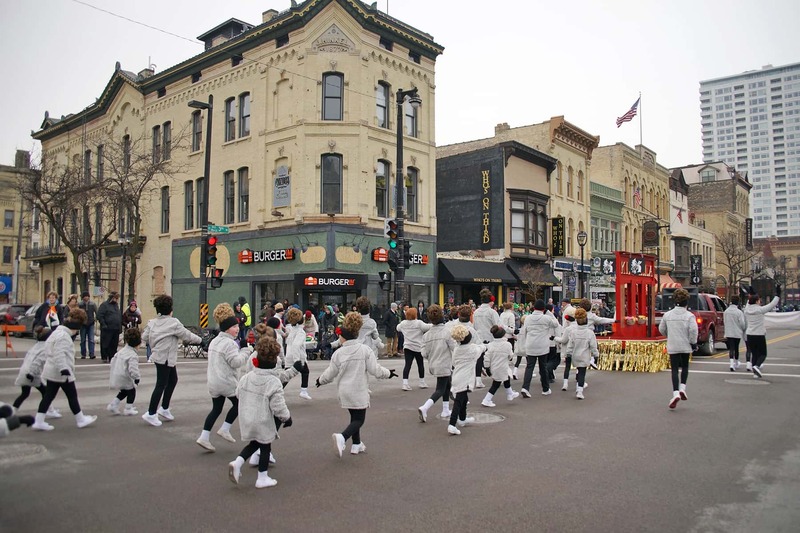 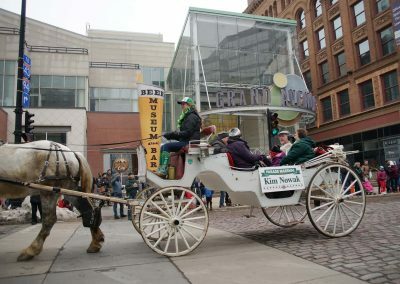 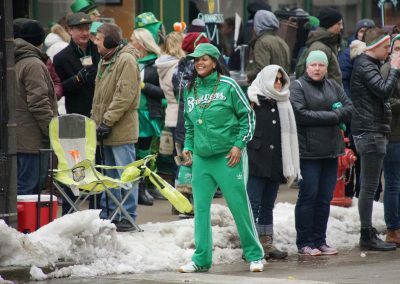 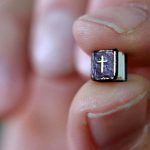 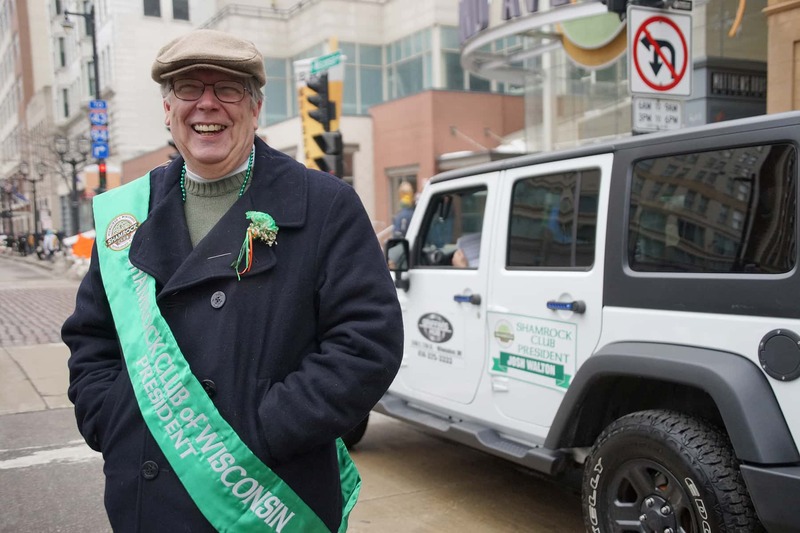 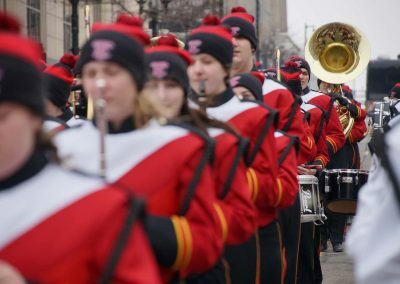 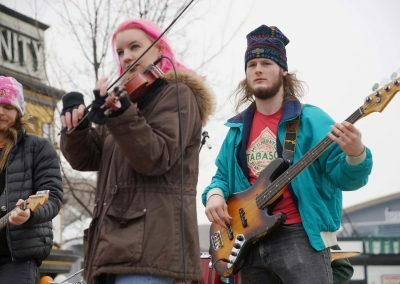 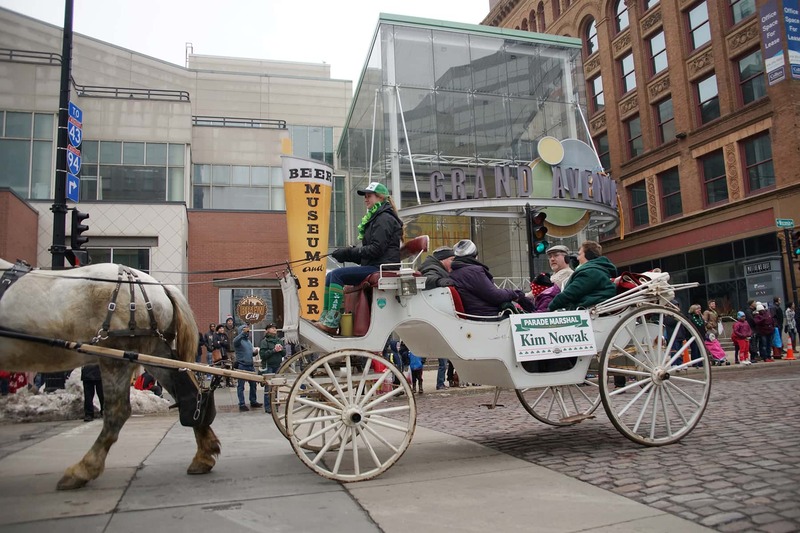 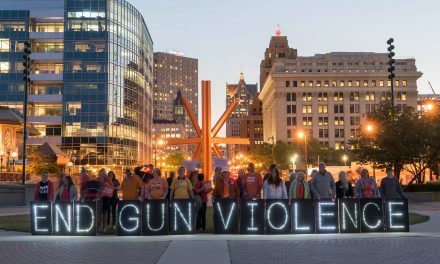 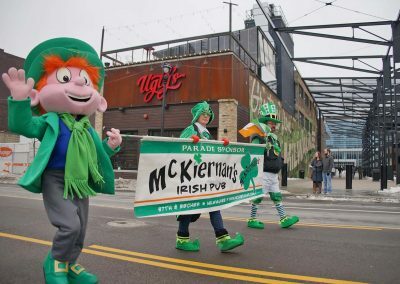 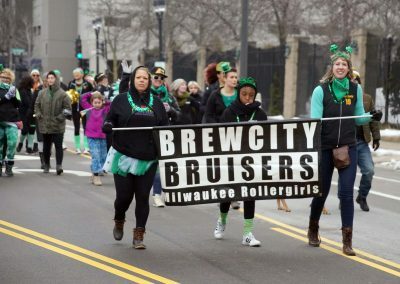 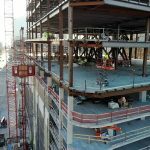 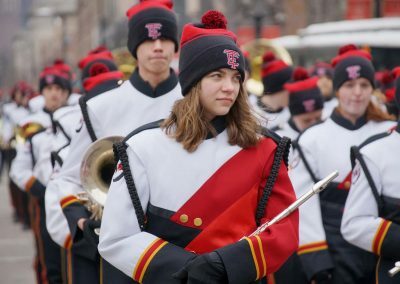 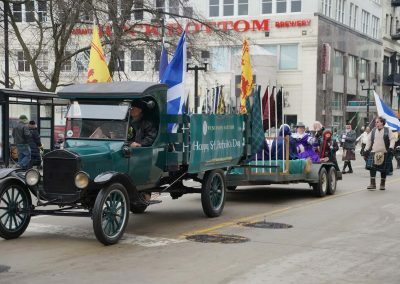 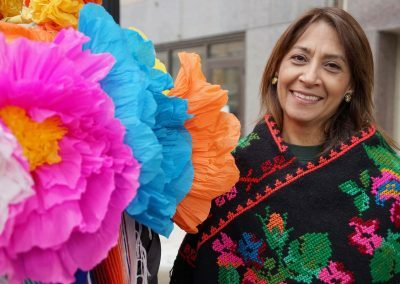 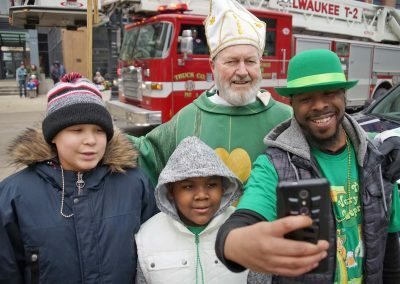 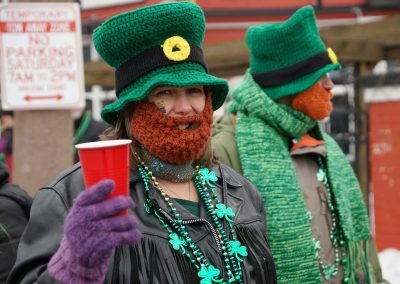 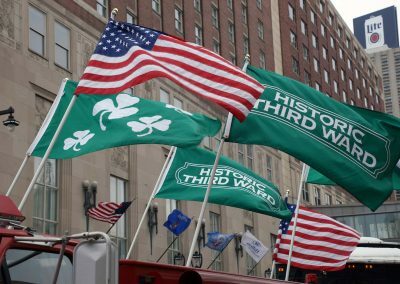 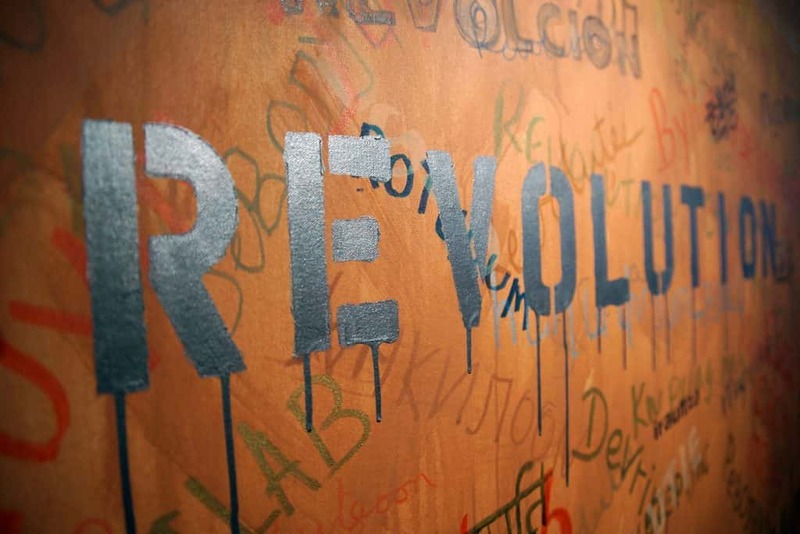 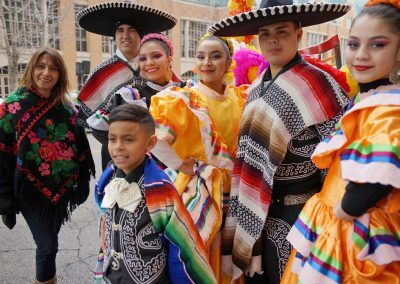 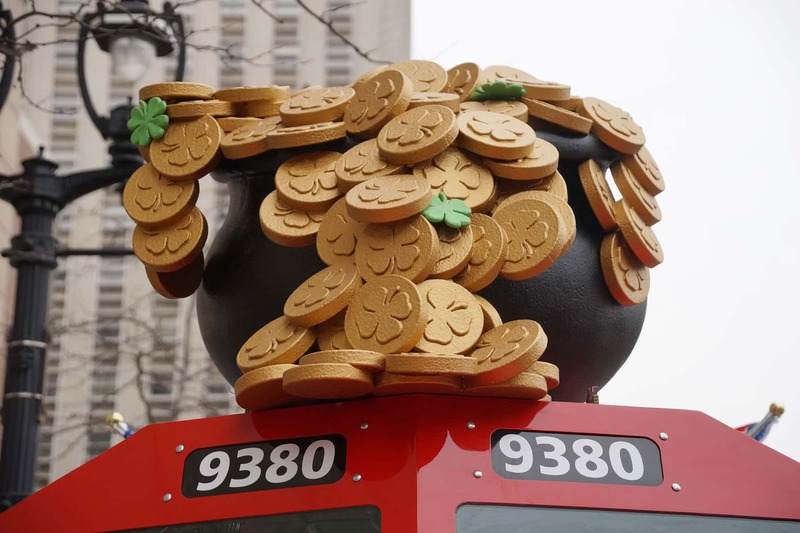 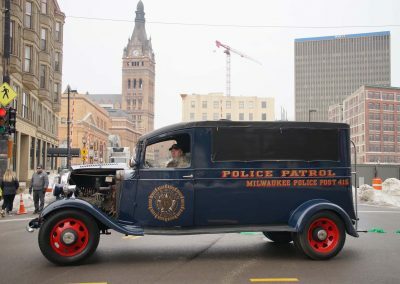 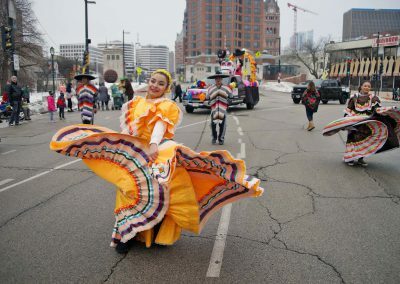 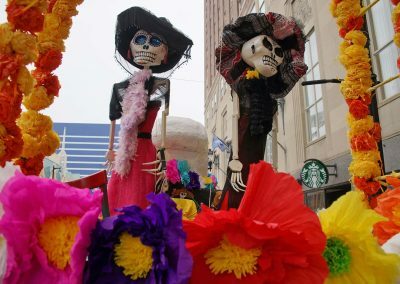 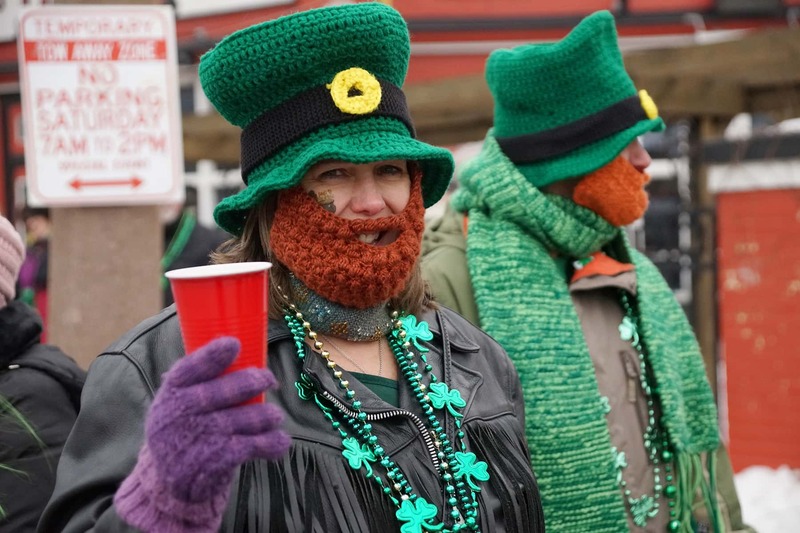 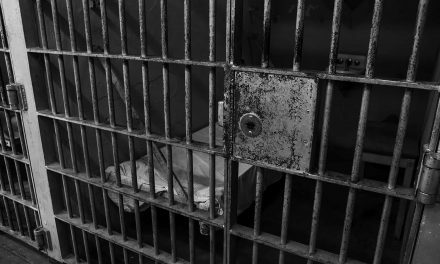 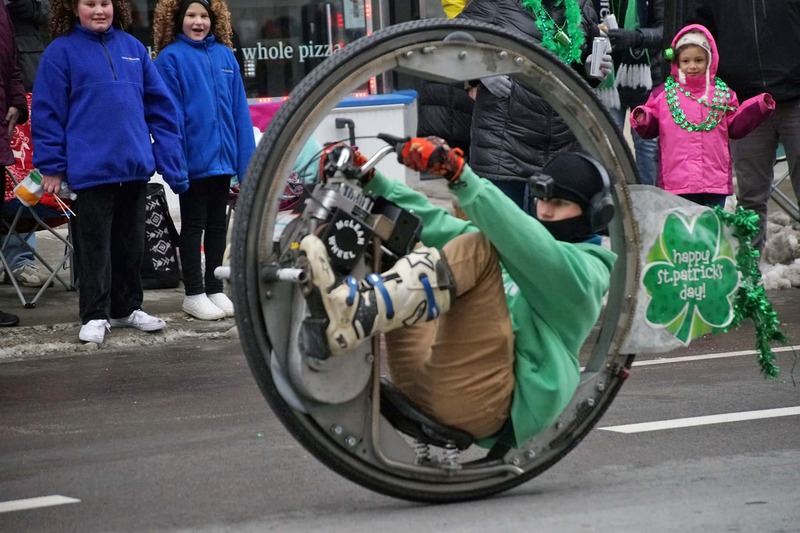 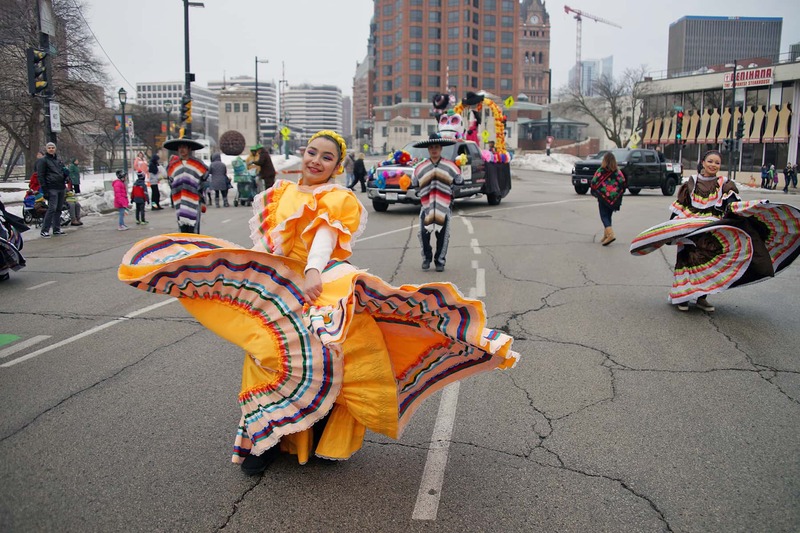 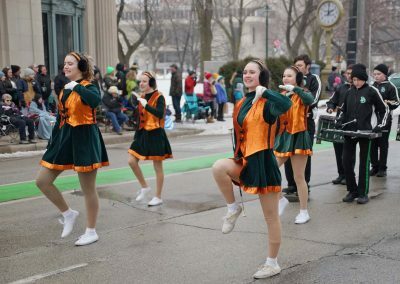 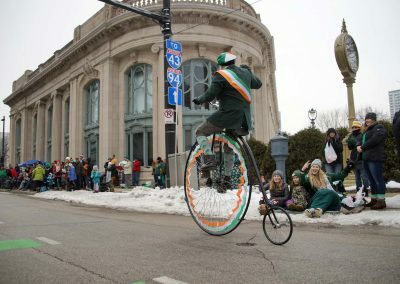 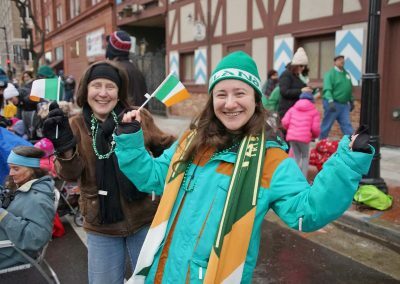 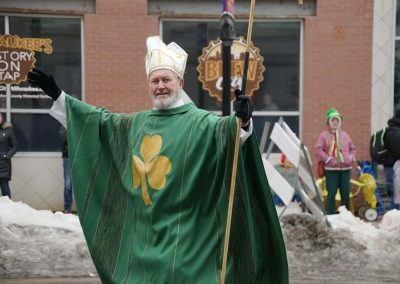 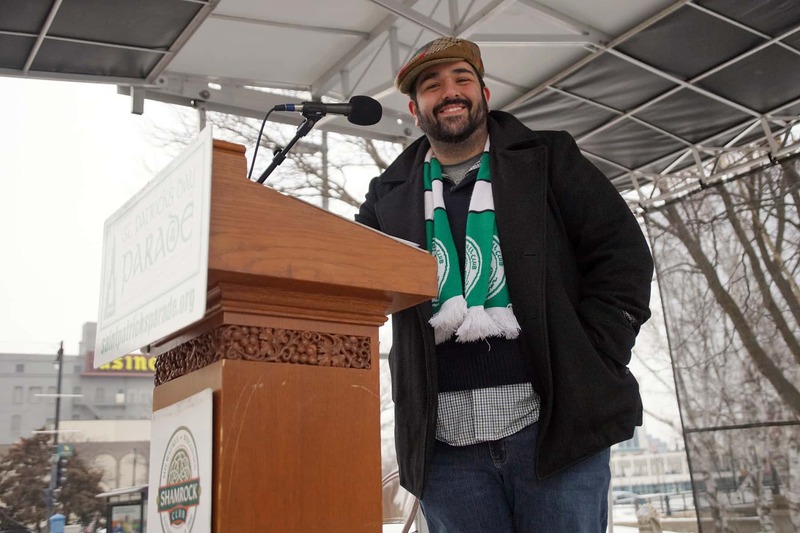 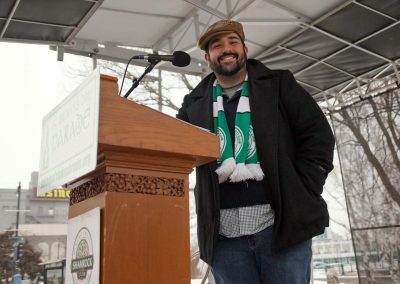 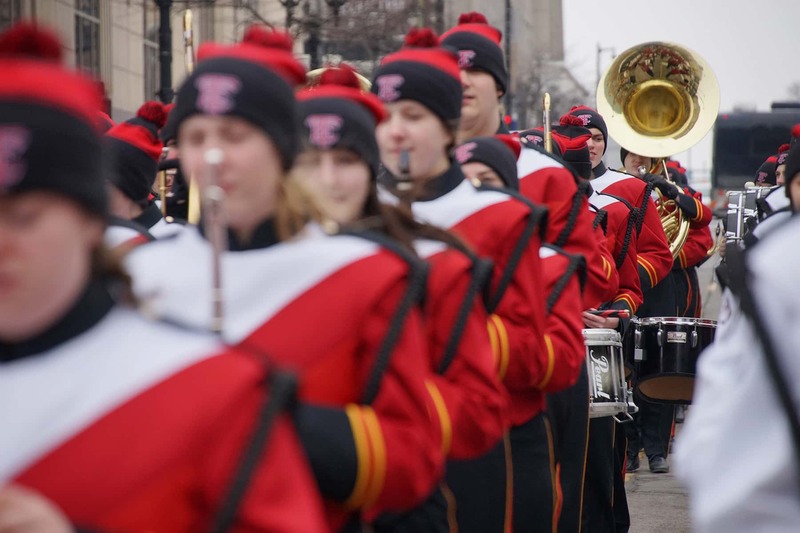 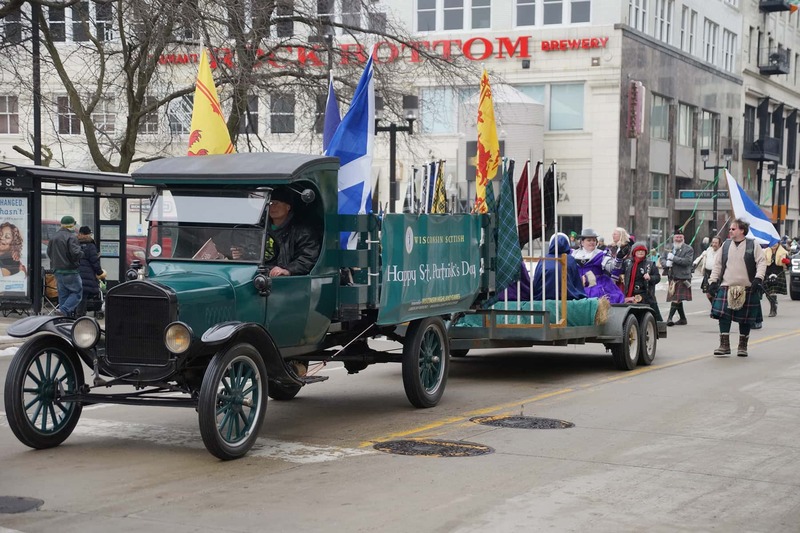 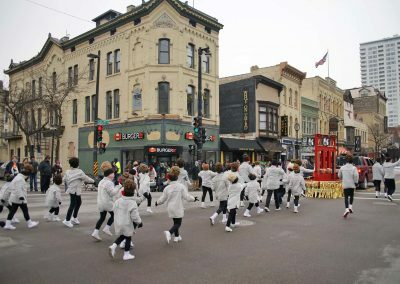 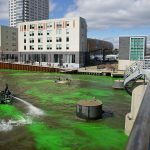 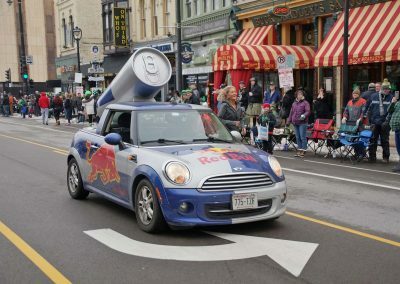 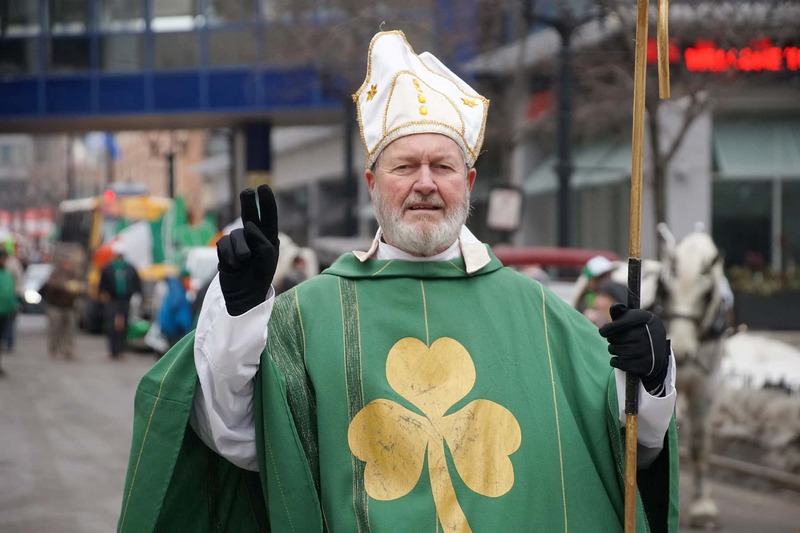 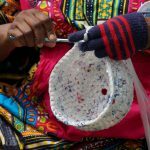 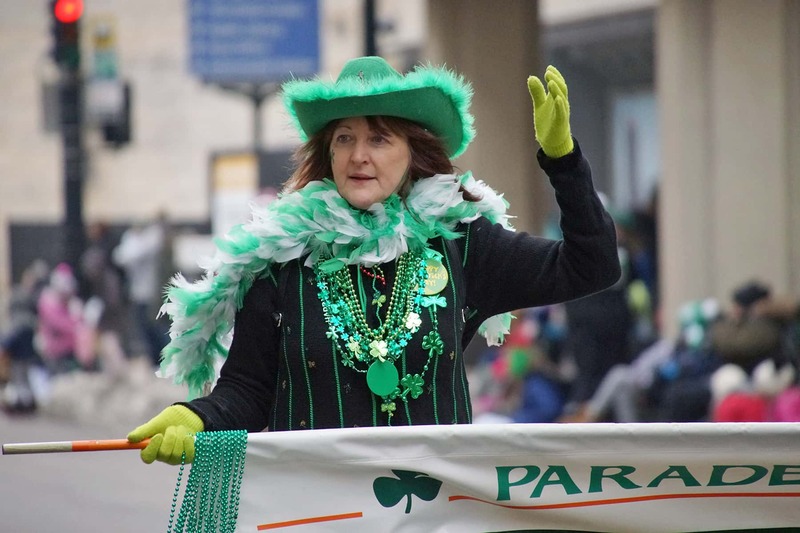 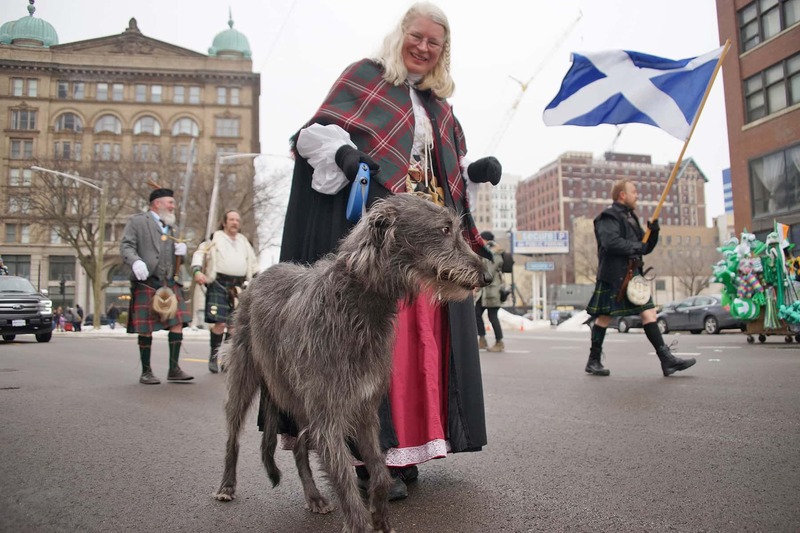 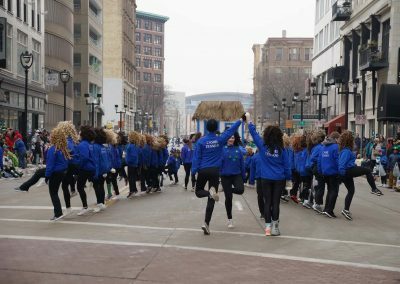 It predates the incorporation of the State of Wisconsin and the City of Milwaukee, making it the sixth oldest St. Patrick’s Day Parade in the nation. 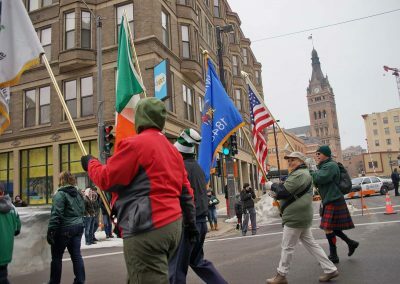 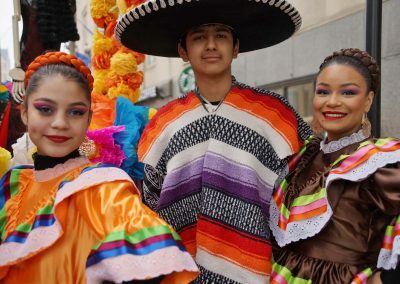 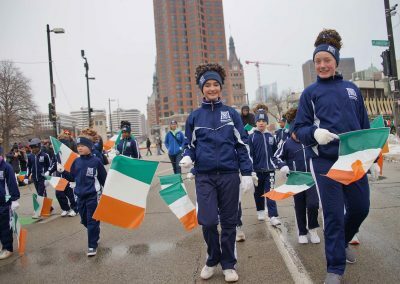 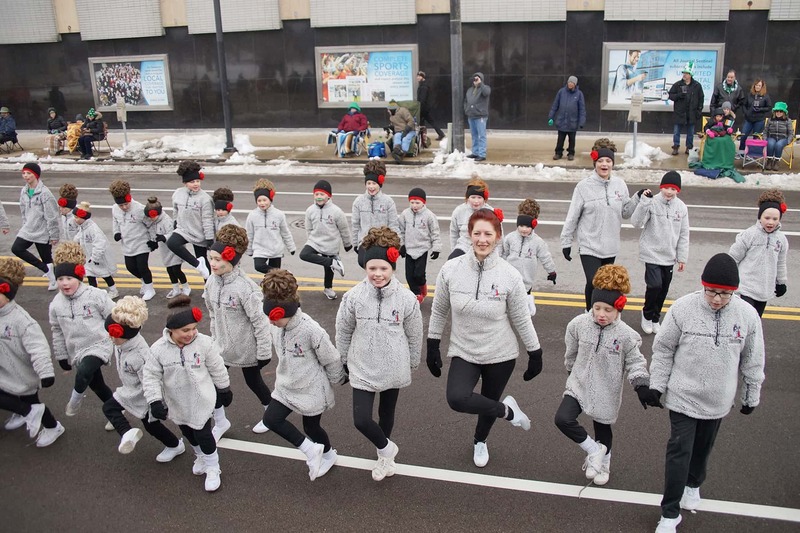 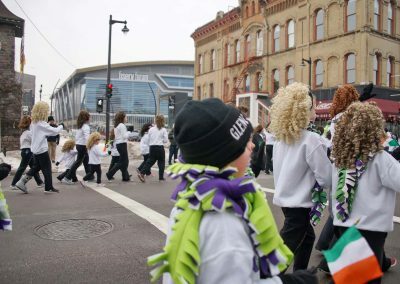 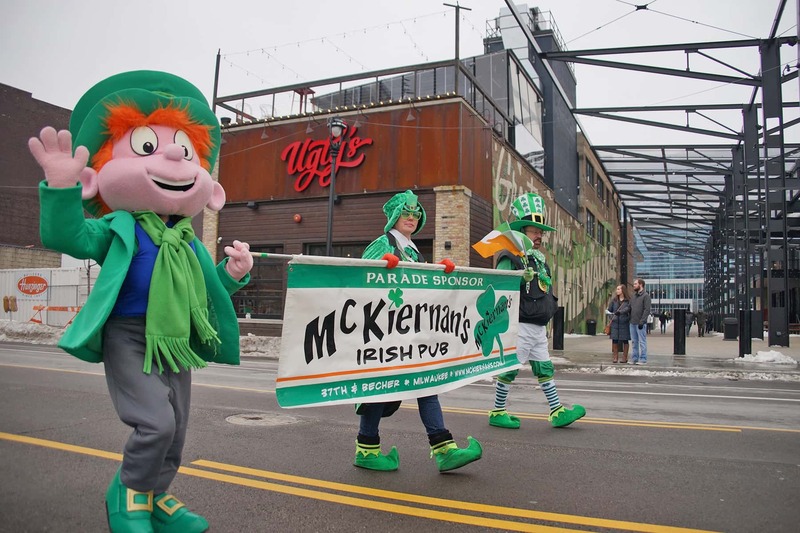 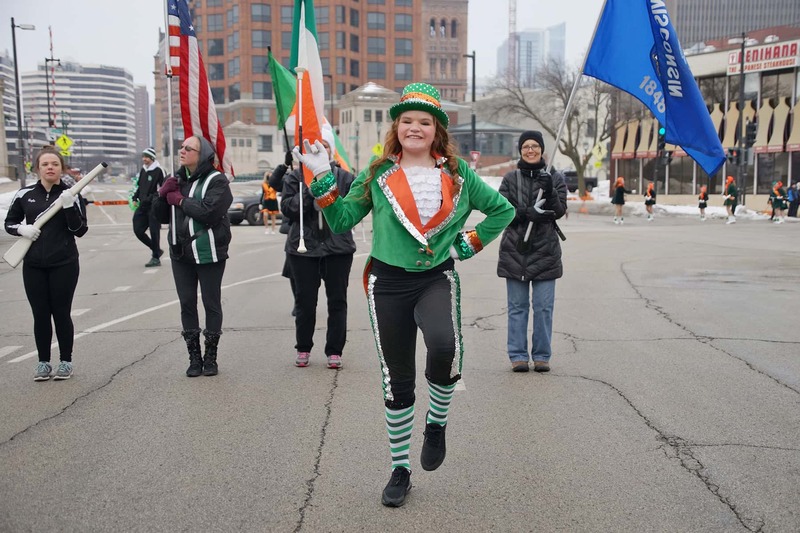 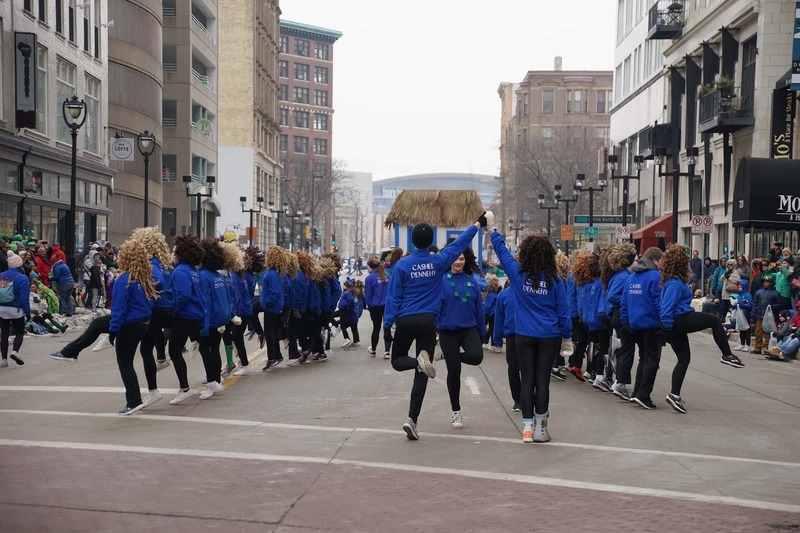 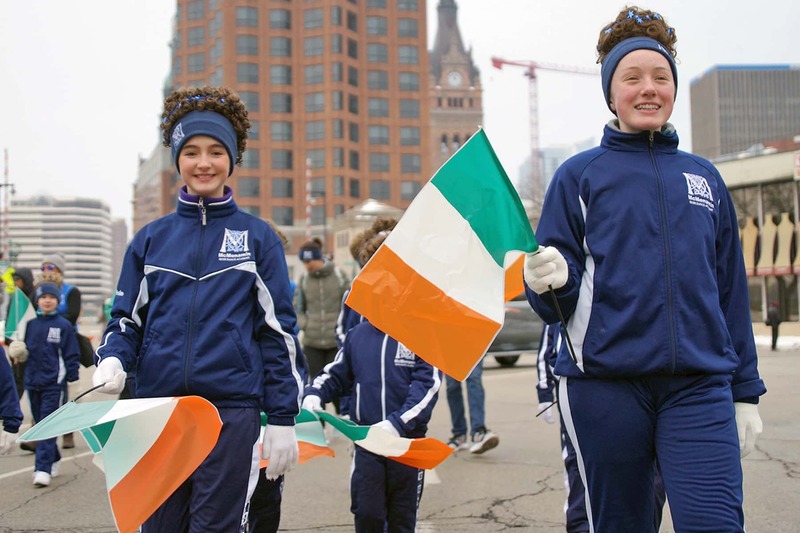 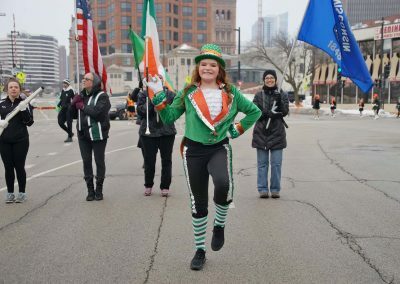 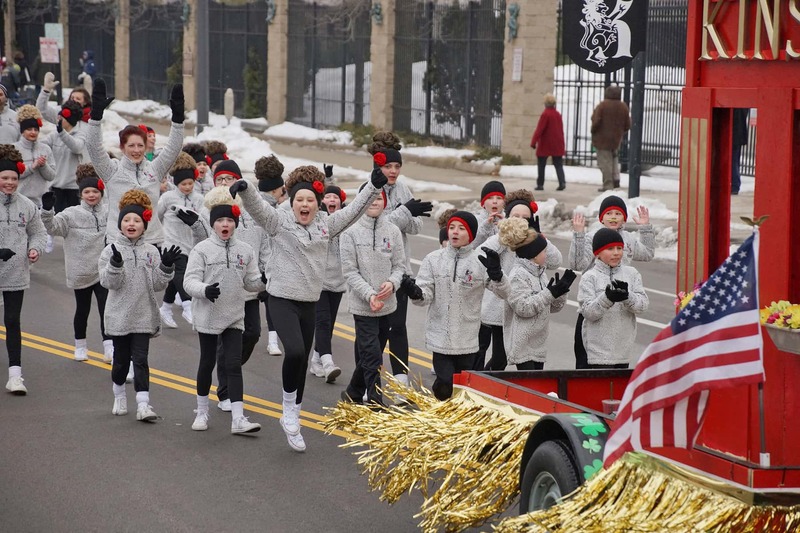 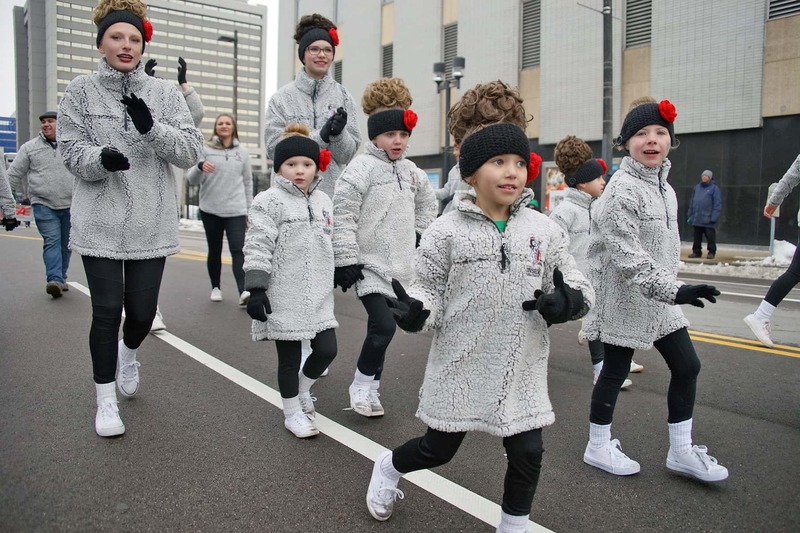 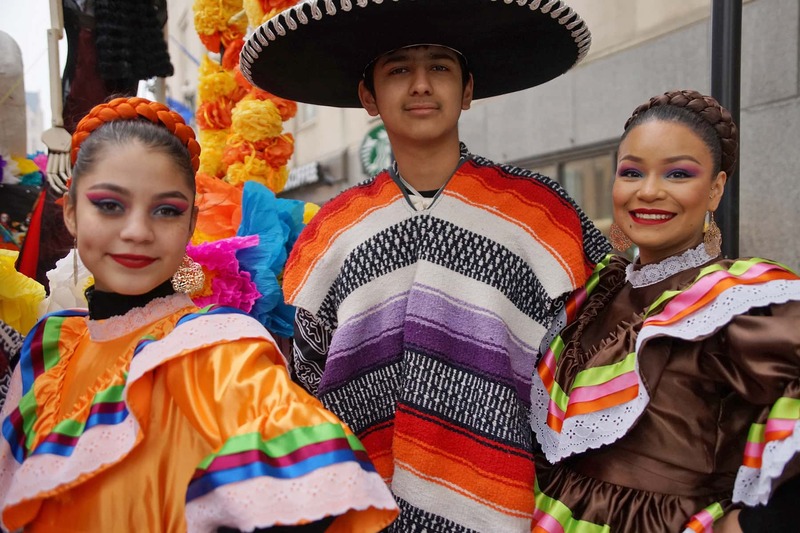 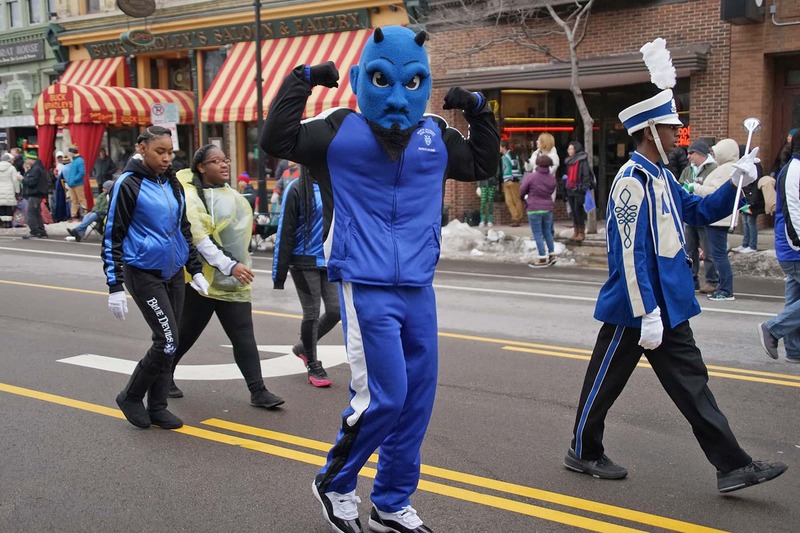 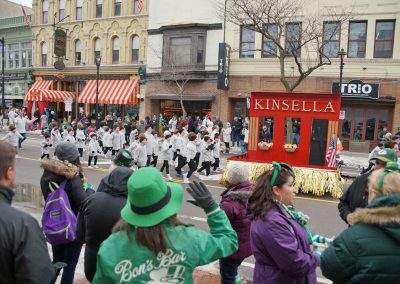 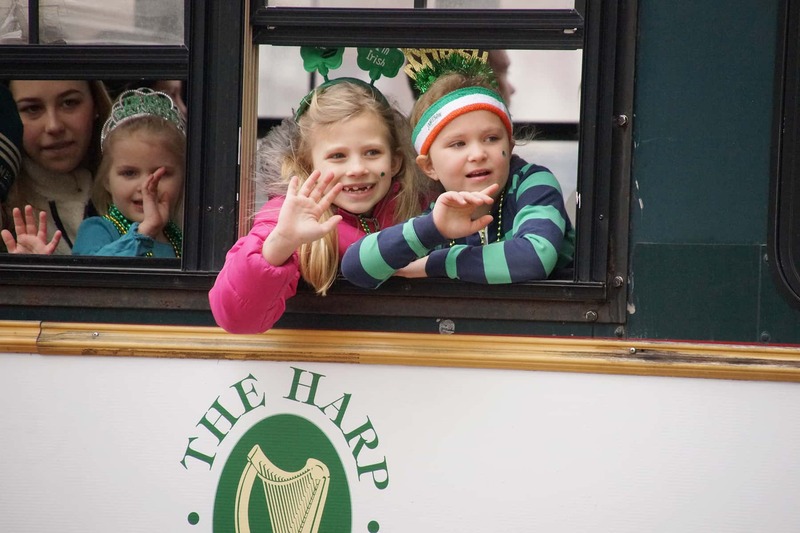 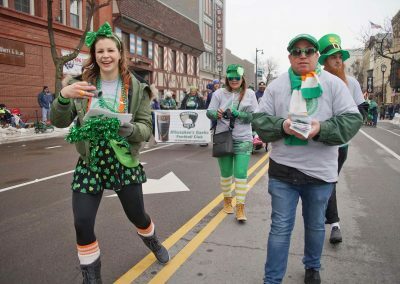 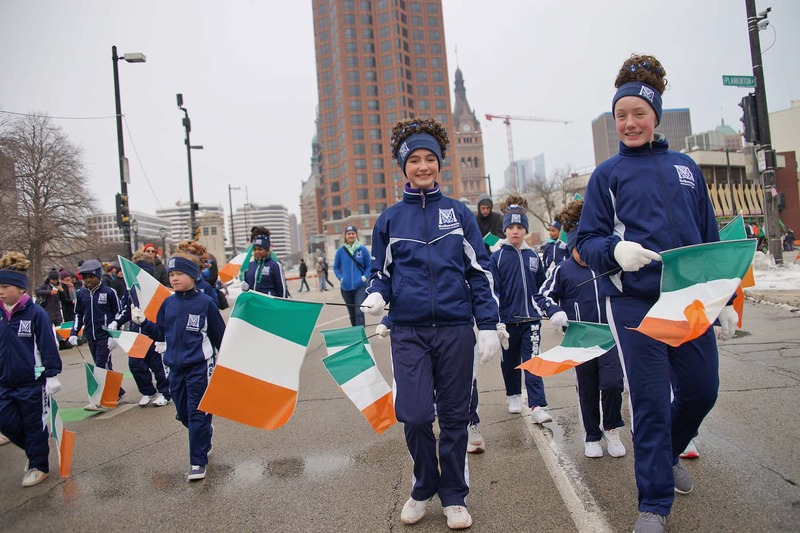 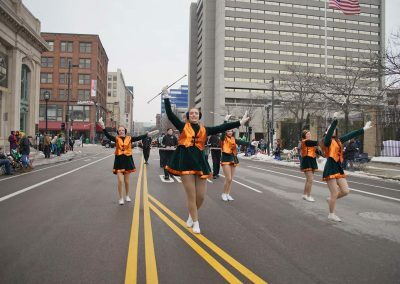 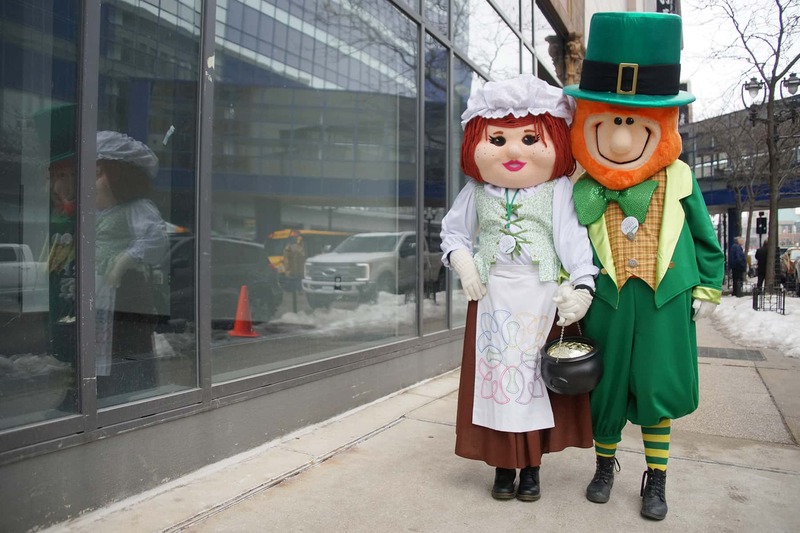 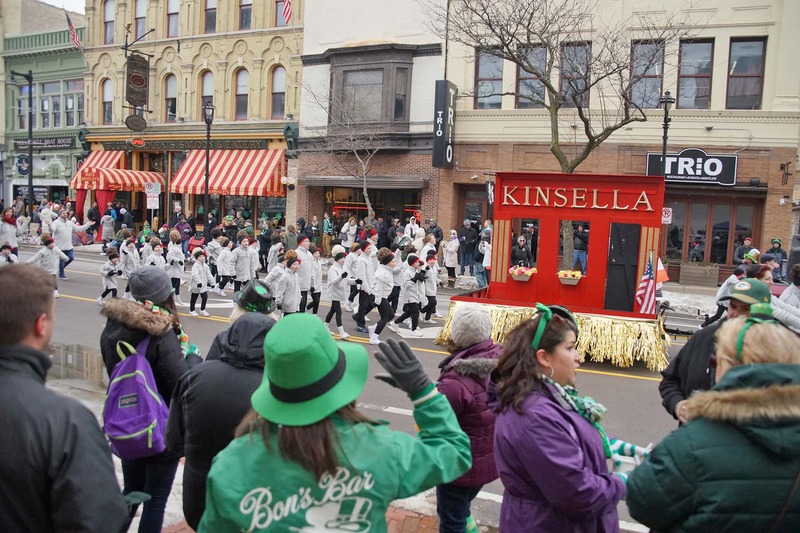 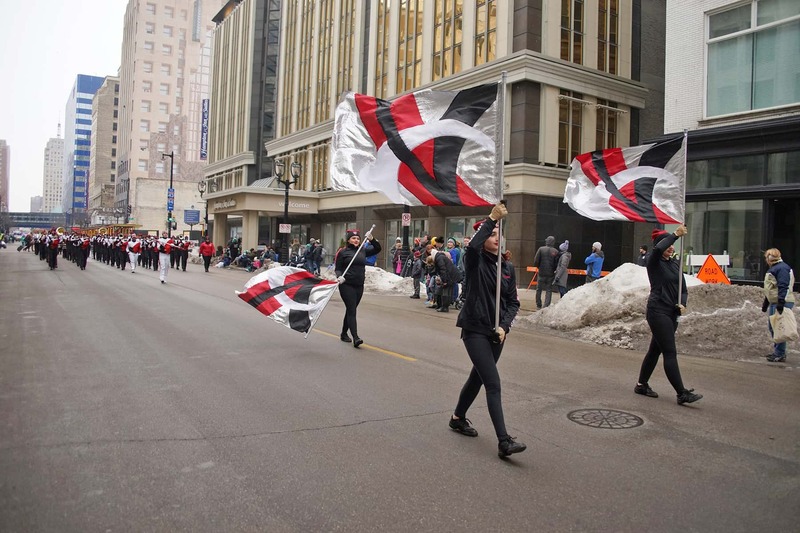 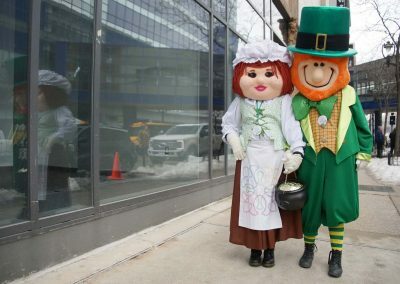 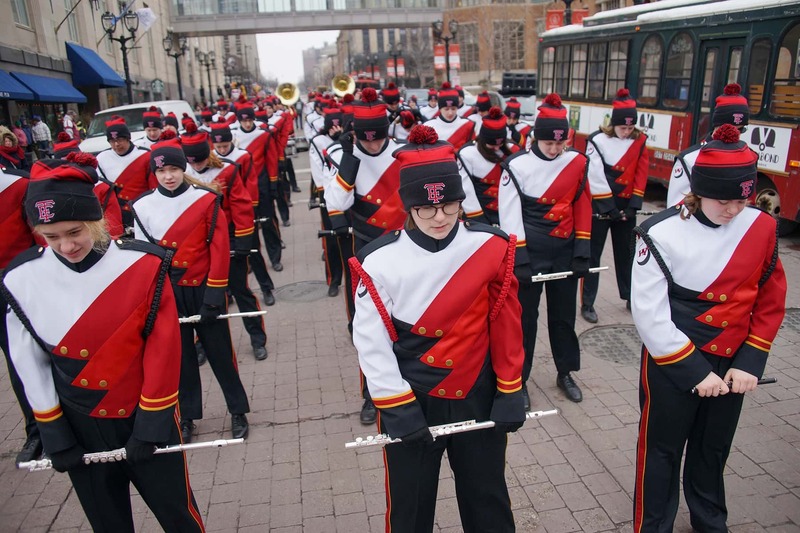 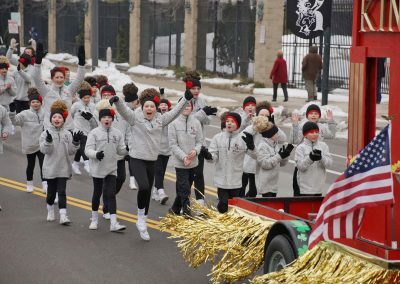 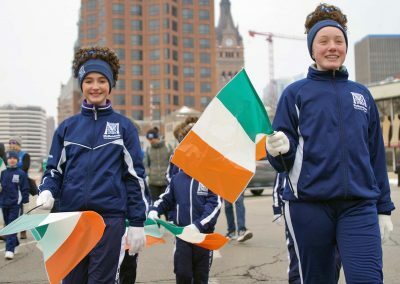 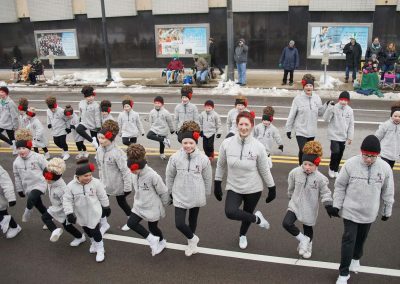 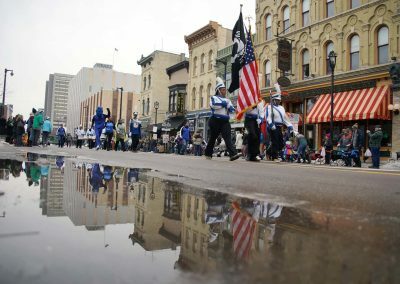 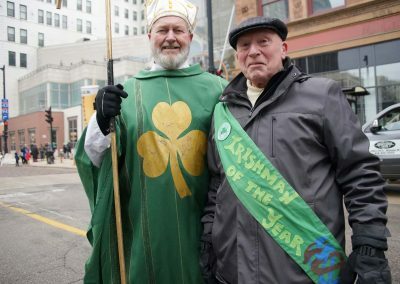 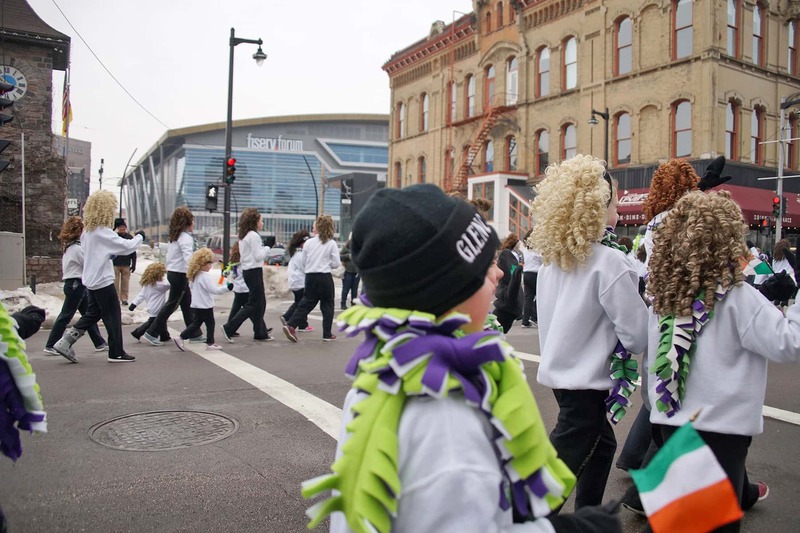 The 2019 parade featured over 100 units including dozens of Irish community groups, all seven schools of Irish dance from southeastern Wisconsin – Cashel Dennehy, Glencastle, Kinsella, McMenamin, Beglan Academy, Trinity, and Bellator Academy, the Milwaukee Hurling Club, the Irish Cultural and Heritage Center, Irish Fest, local Irish Wolfhound and Irish Setter clubs, The Emerald Society, and the Ancient Order of Hibernians. 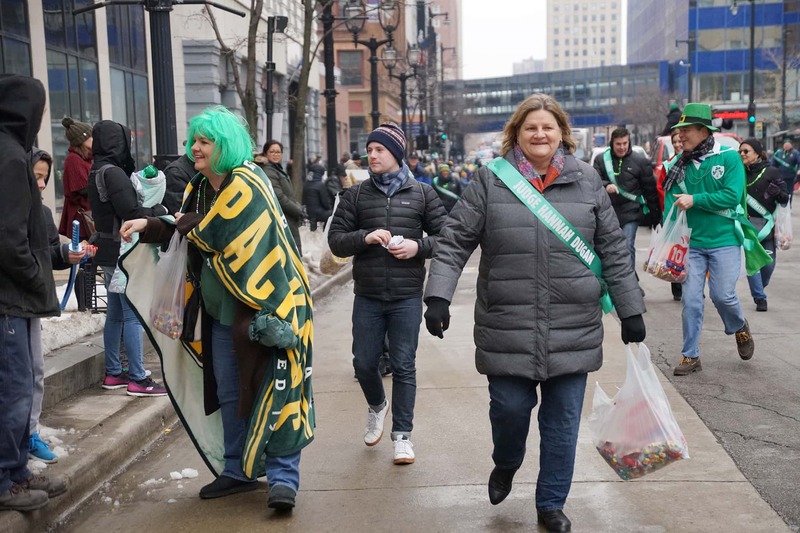 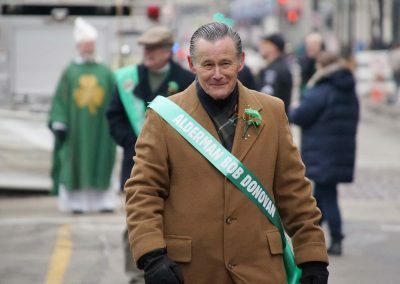 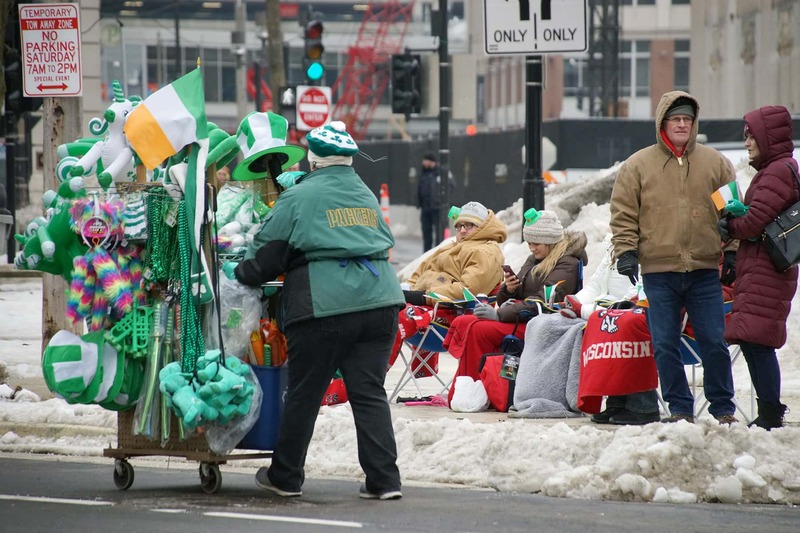 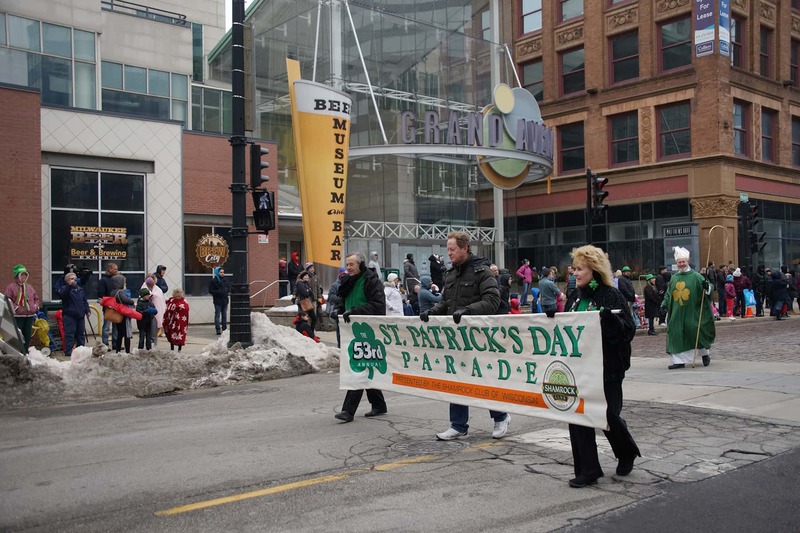 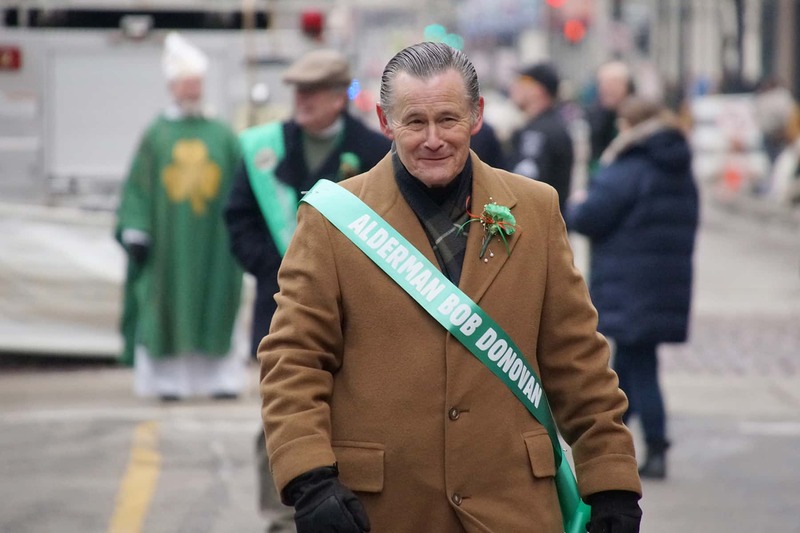 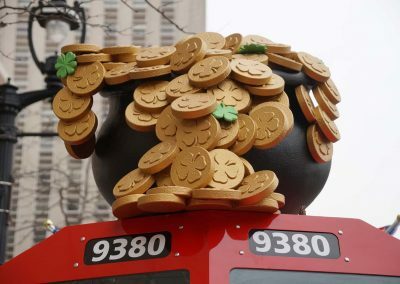 Milwaukee’s St. Patrick’s Day Parade has been held in various locations over the past fifty years since the Shamrock Club has been producing the event, Wisconsin Avenue 1967-74; Mitchell Street 1975-86; North Avenue 1987-2000; Bluemound Road 2001; and in 2002 it returned to the streets of Downtown Milwaukee and joined forces with the Westown Association. 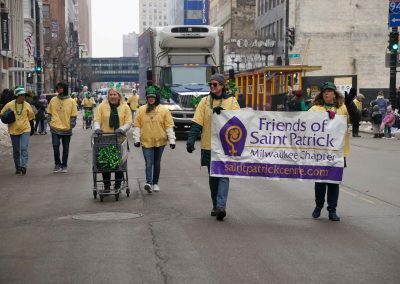 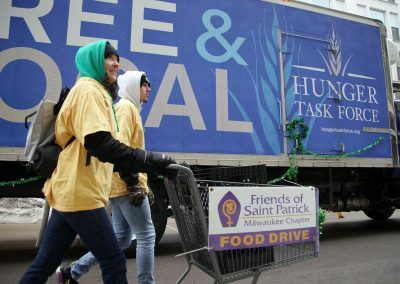 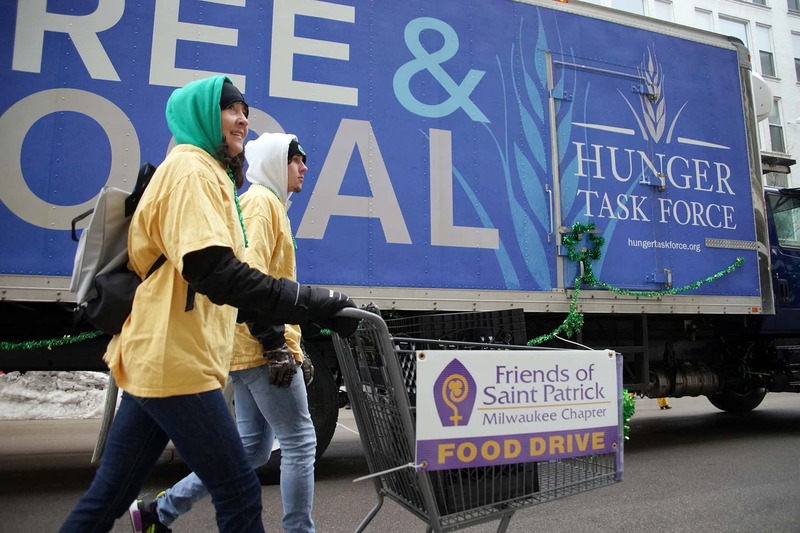 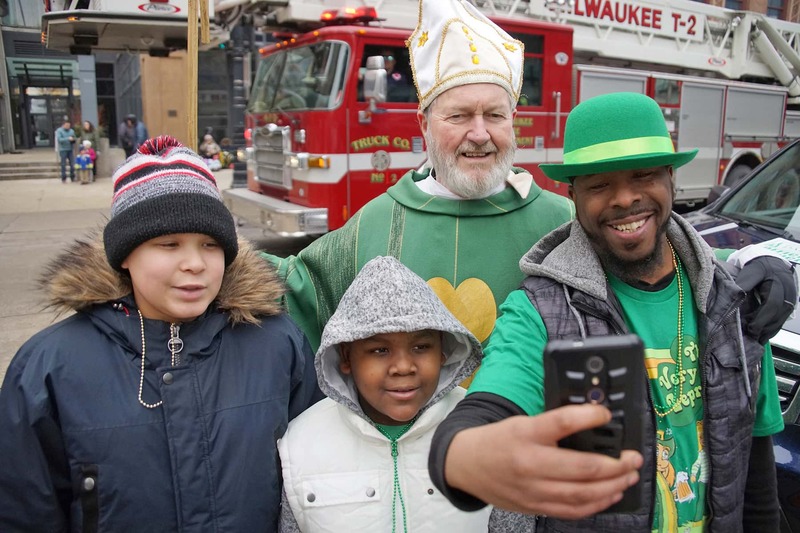 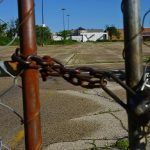 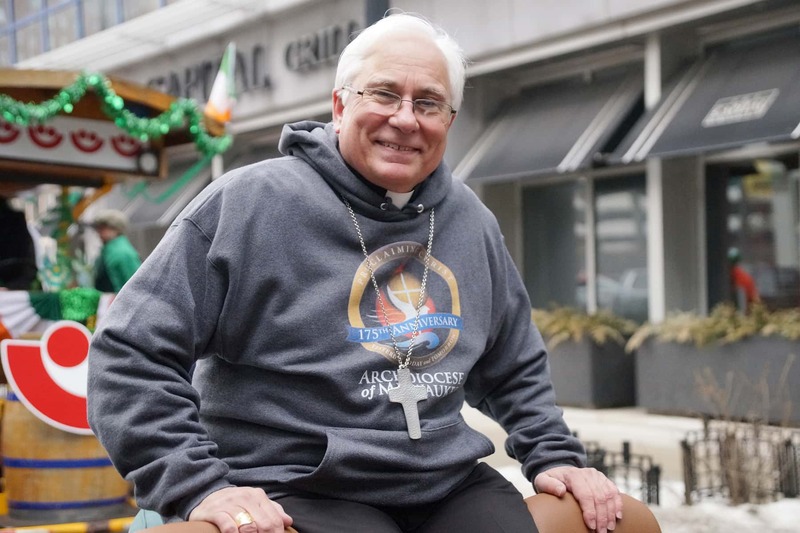 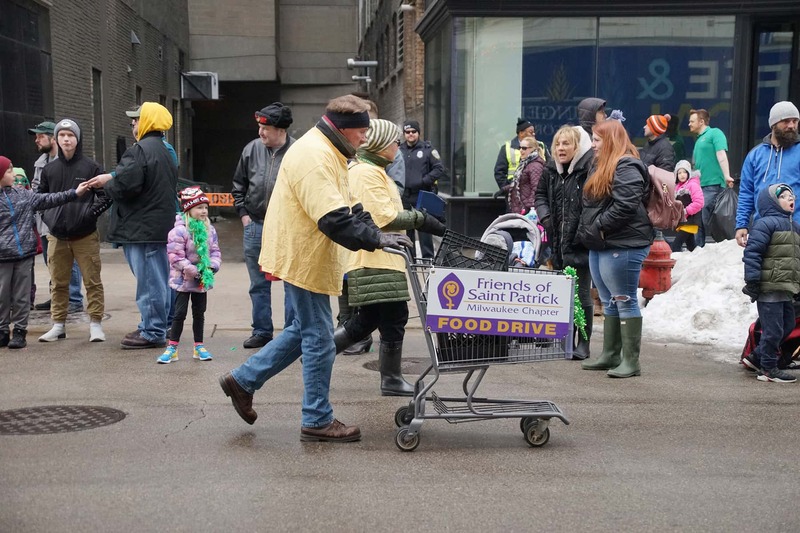 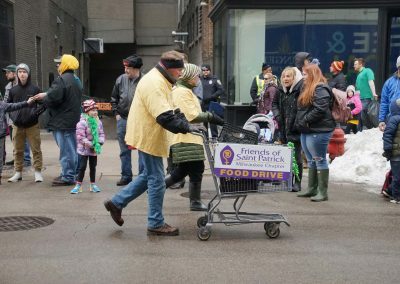 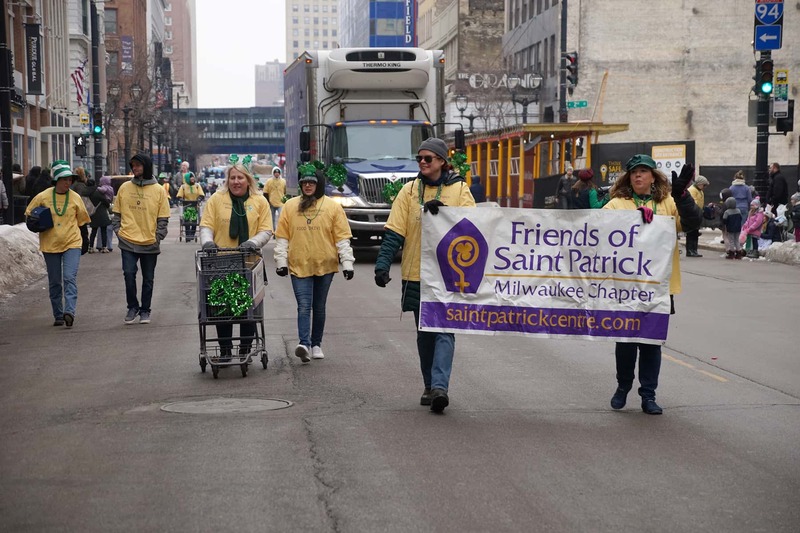 The Milwaukee Chapter of the Friends of St. Patrick Centre partnered again this year with Hunger Task Force to collect non-perishable food items. 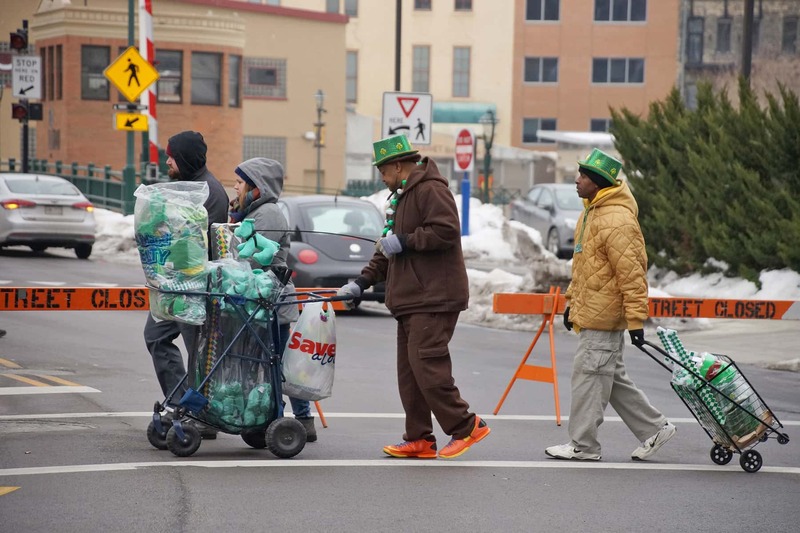 Parade spectators were encouraged to bring items, which were collected by volunteers in grocery carts throughout the route. 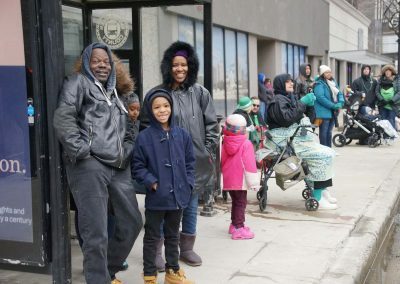 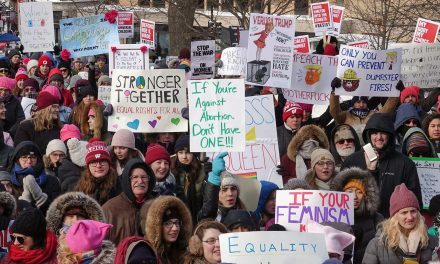 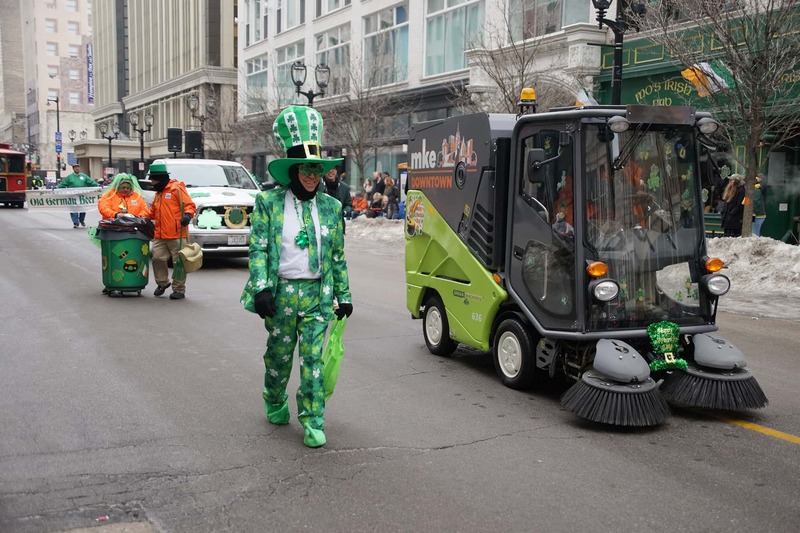 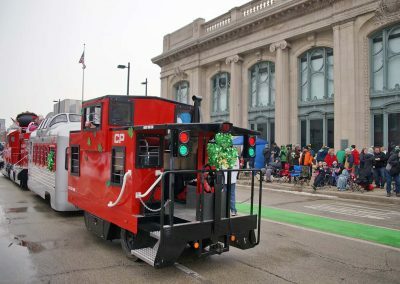 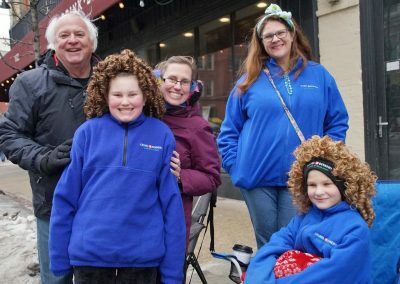 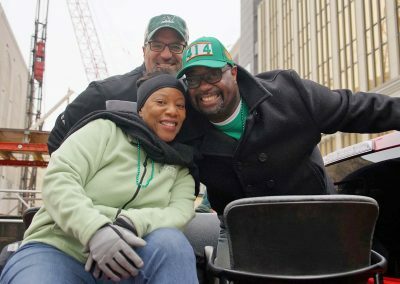 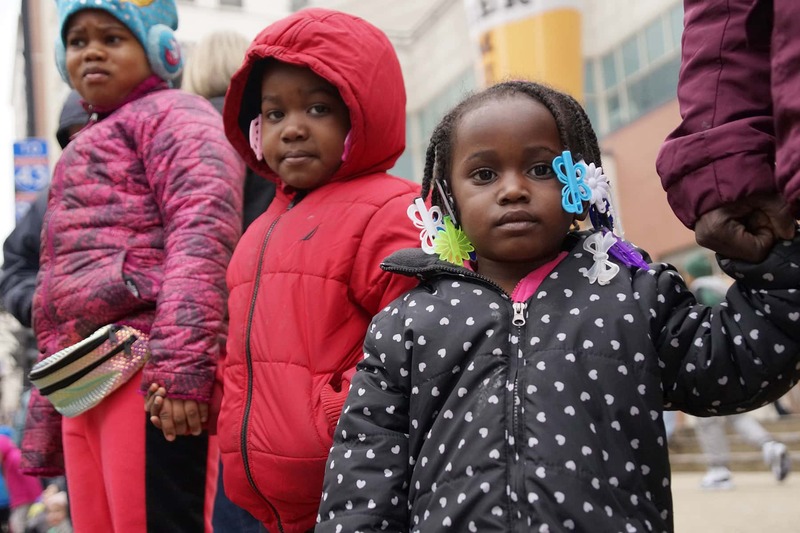 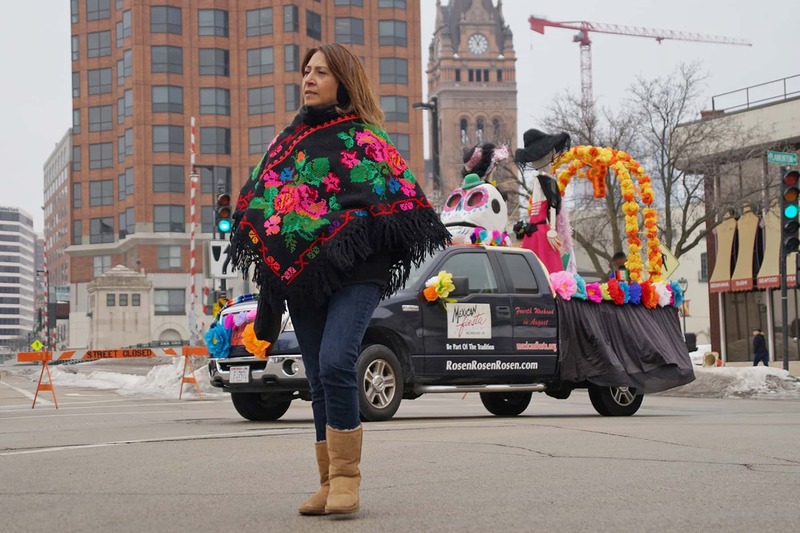 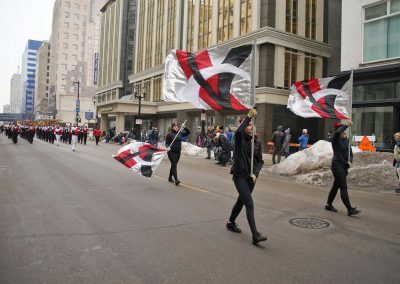 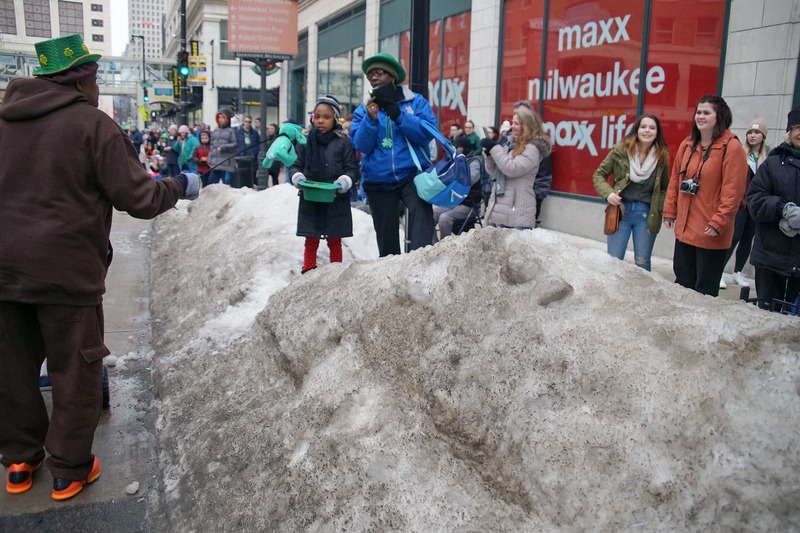 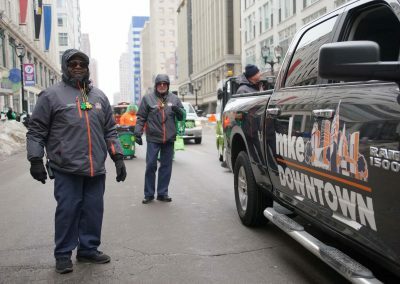 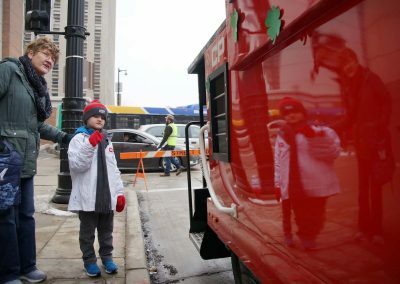 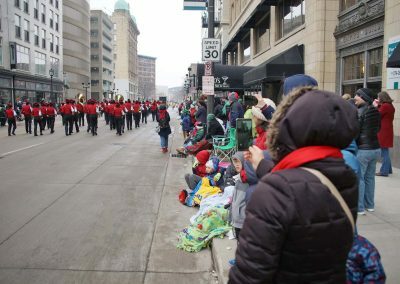 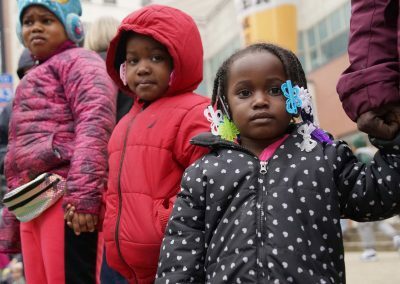 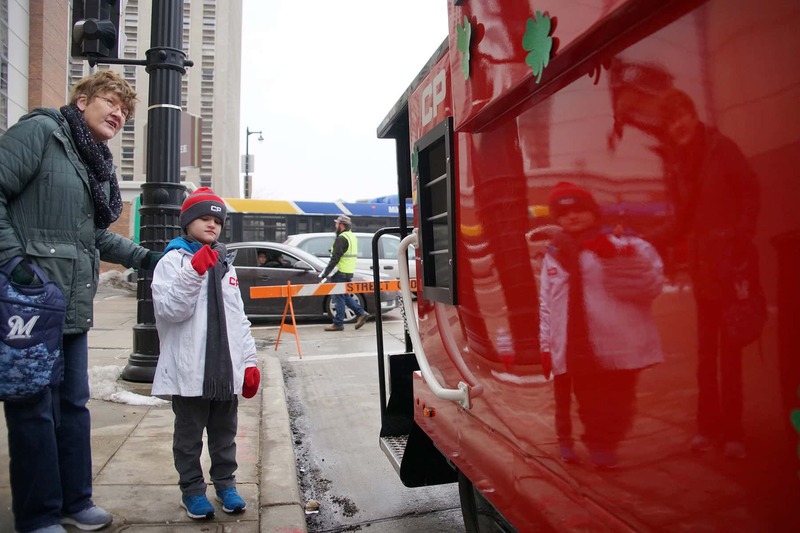 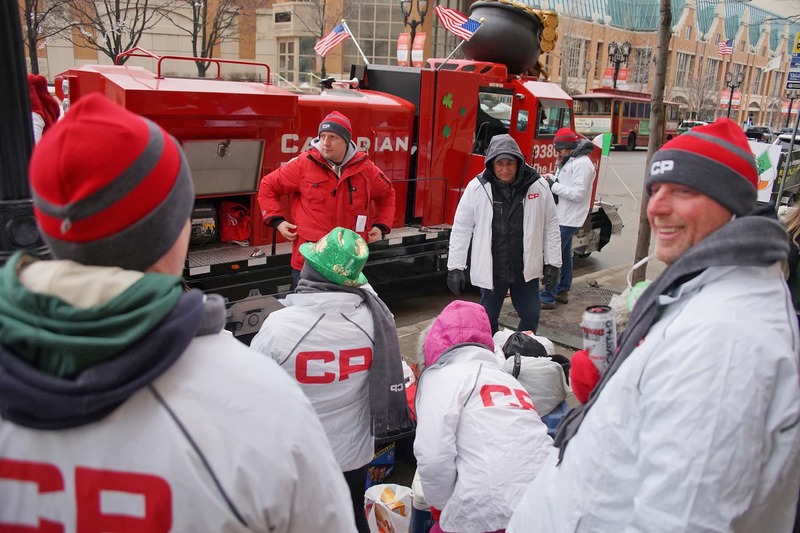 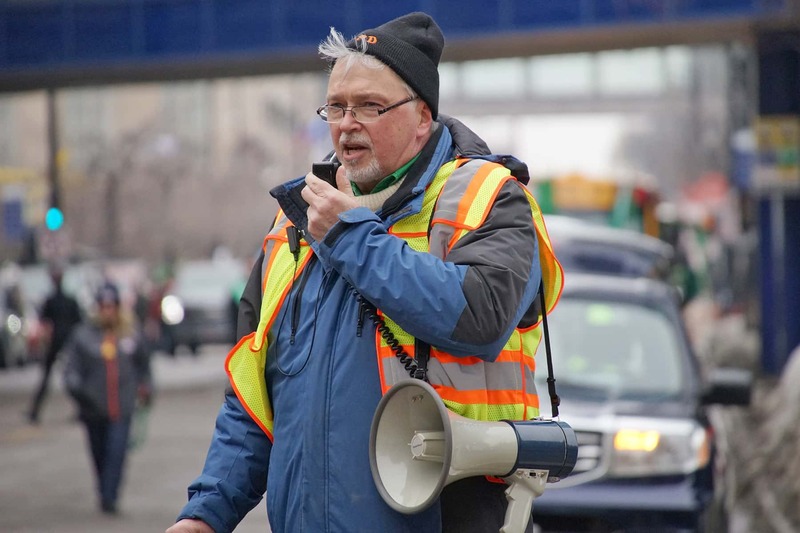 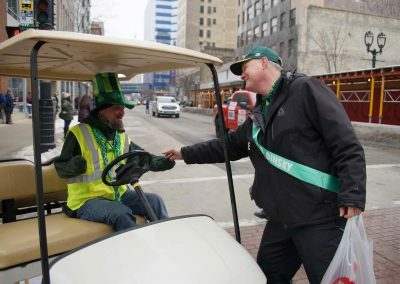 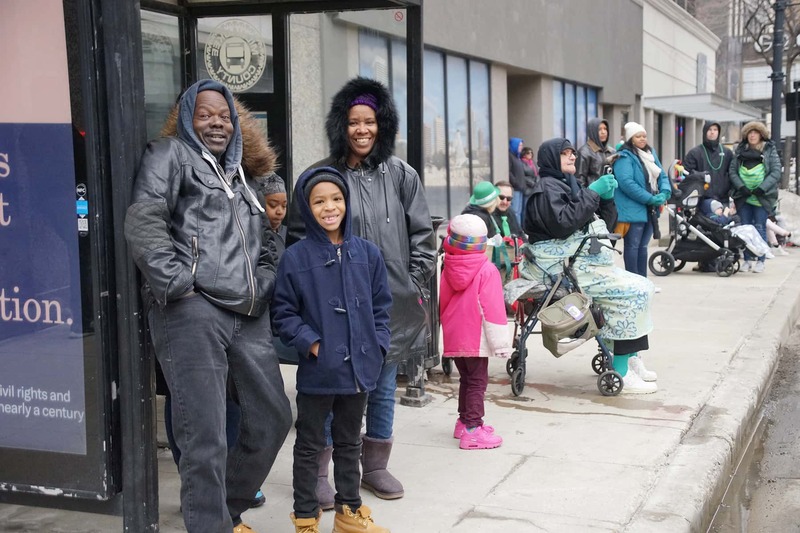 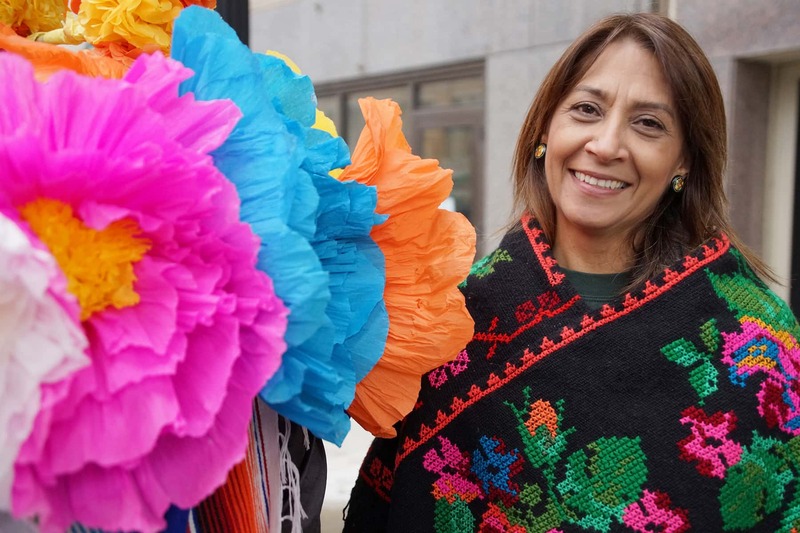 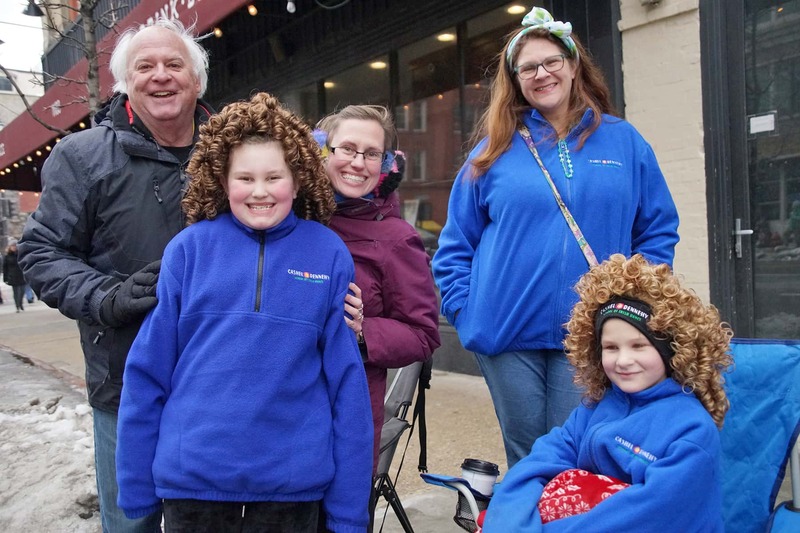 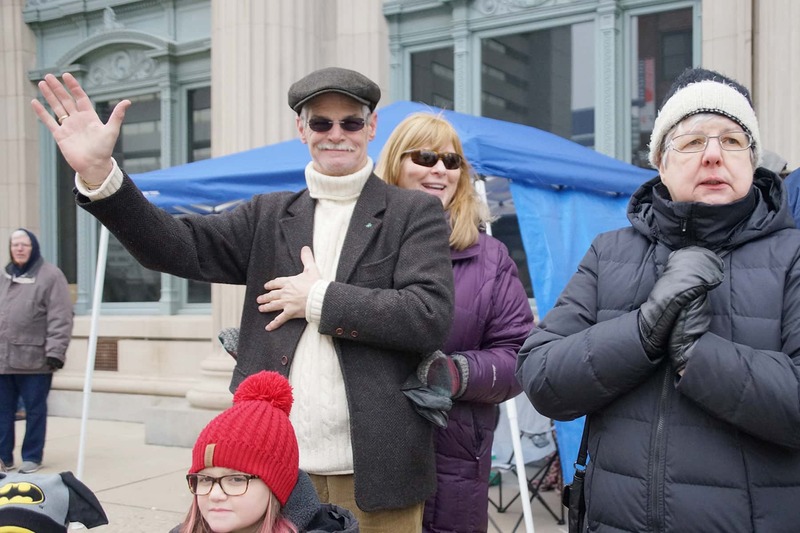 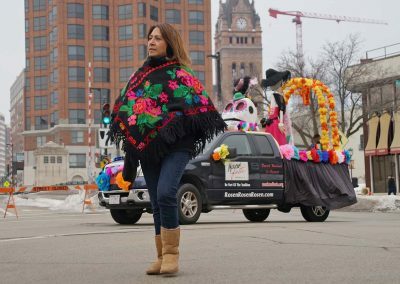 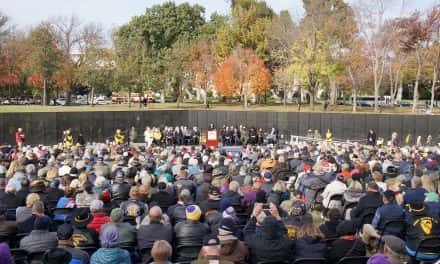 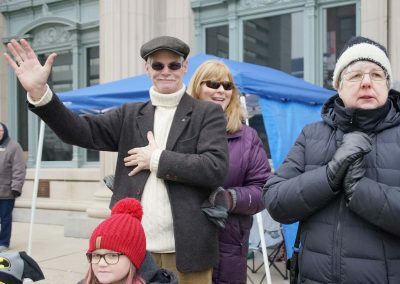 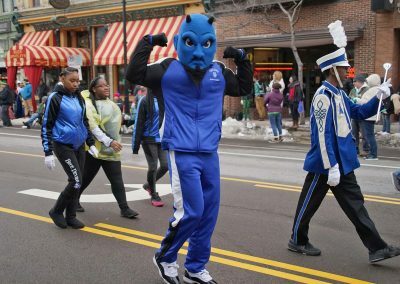 Two Milwaukee County Transit System (MCTS) bus drivers, who recently gained international attention for their good deeds, also participated in the parade. 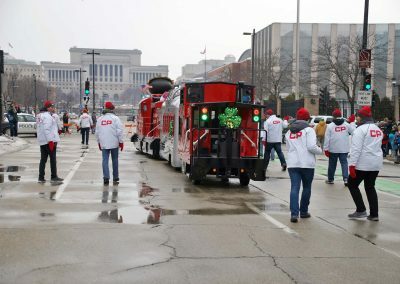 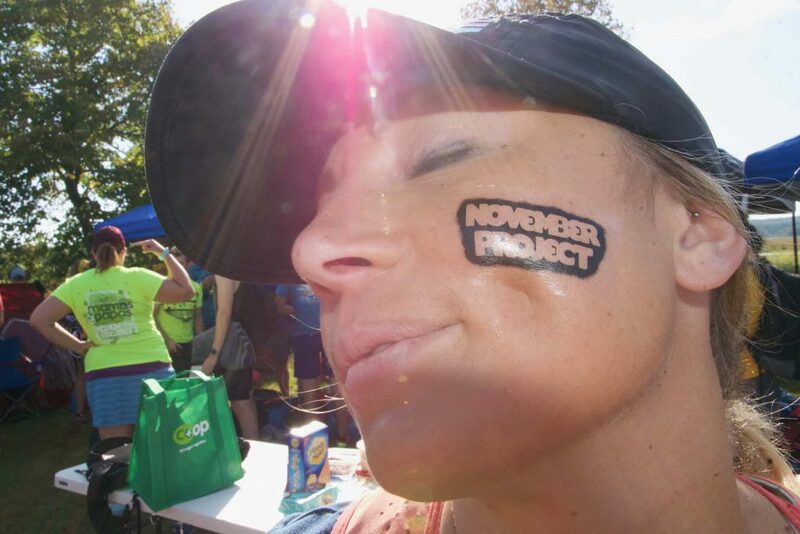 Irena Ivic and Natalie Barnes walked alongside a special MCTS “Miller Lite Free Rides” bus. 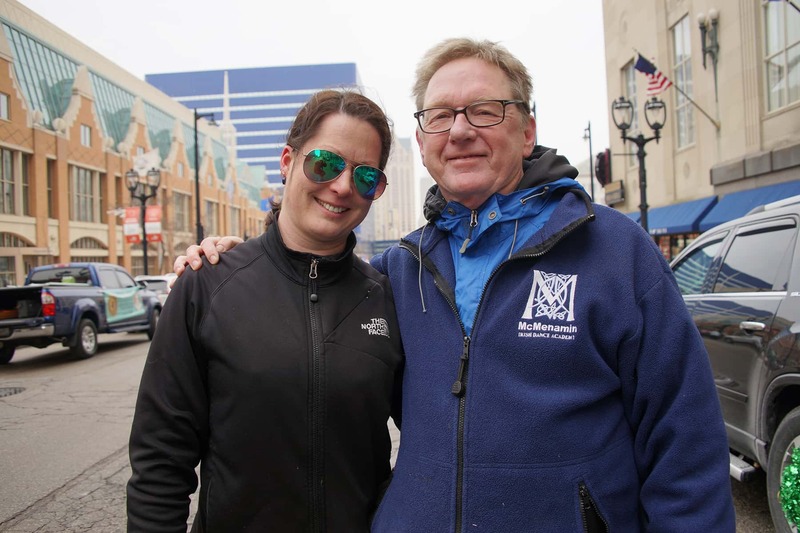 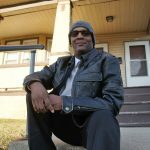 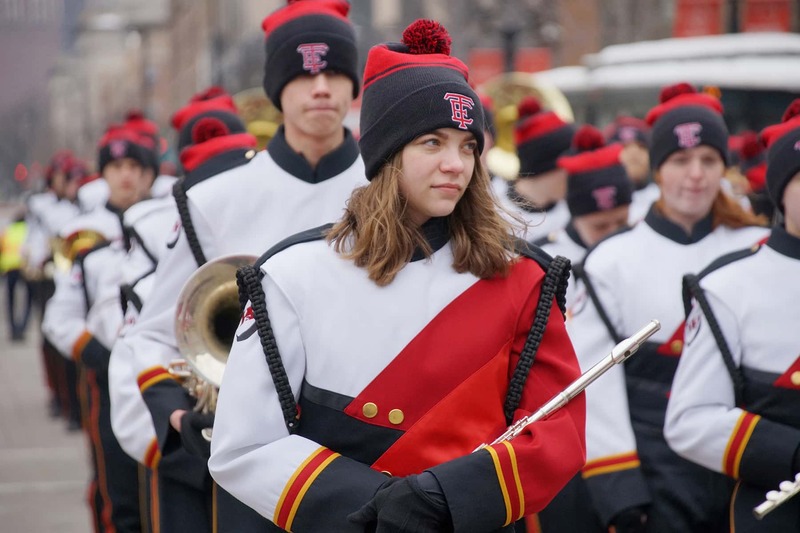 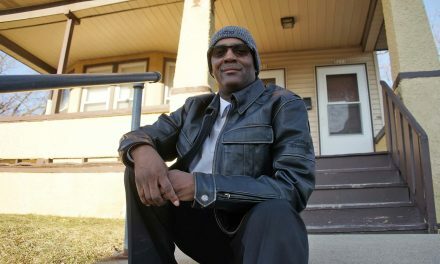 Ivic made headlines after rescuing a baby girl that she spotted wandering alone on a freeway overpass, and Barnes took extraordinary steps to help a homeless man and ultimately connected him with a safe place to live. 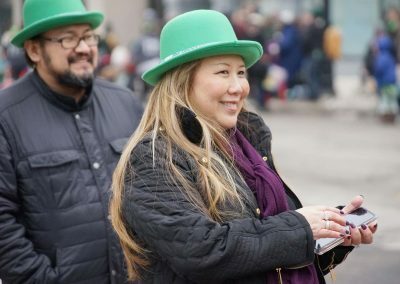 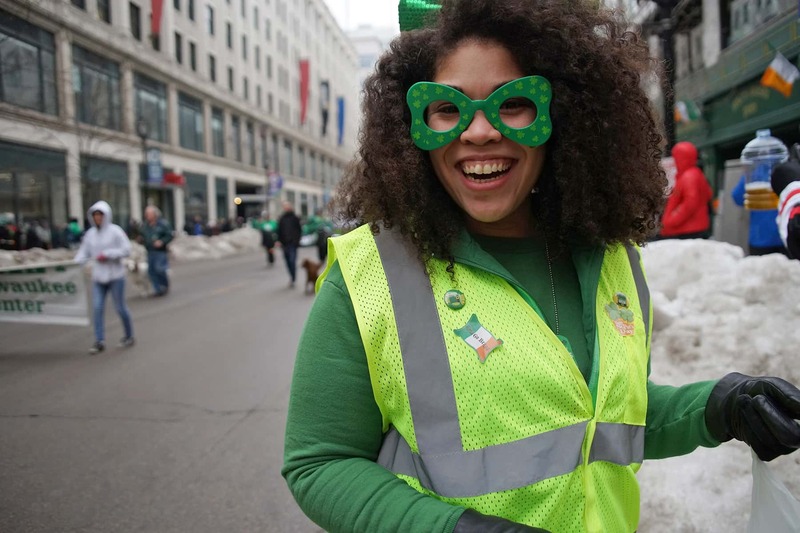 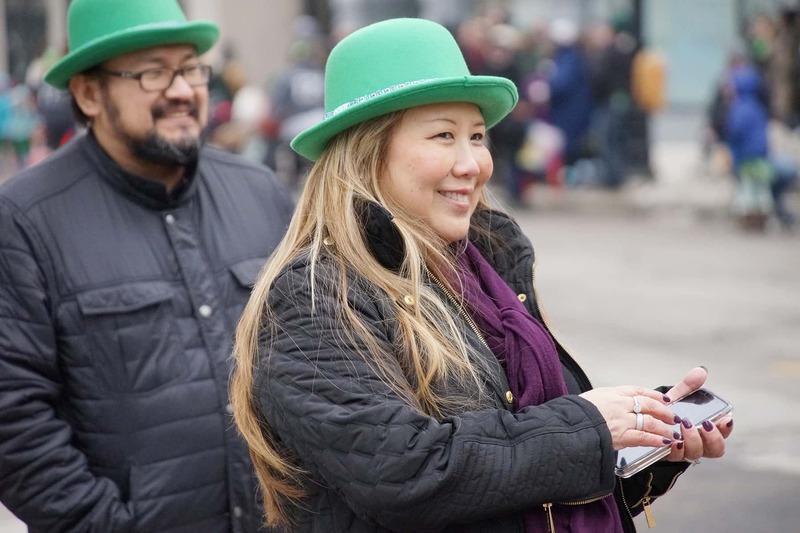 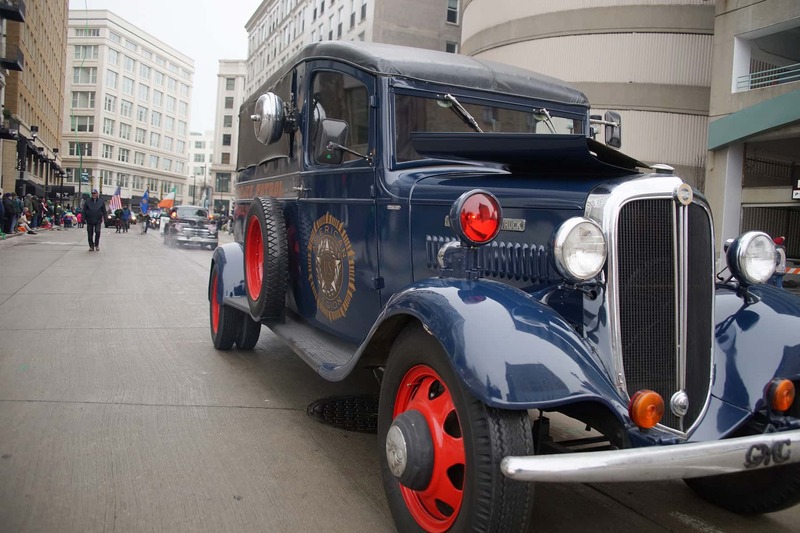 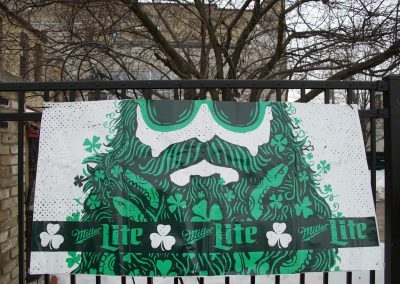 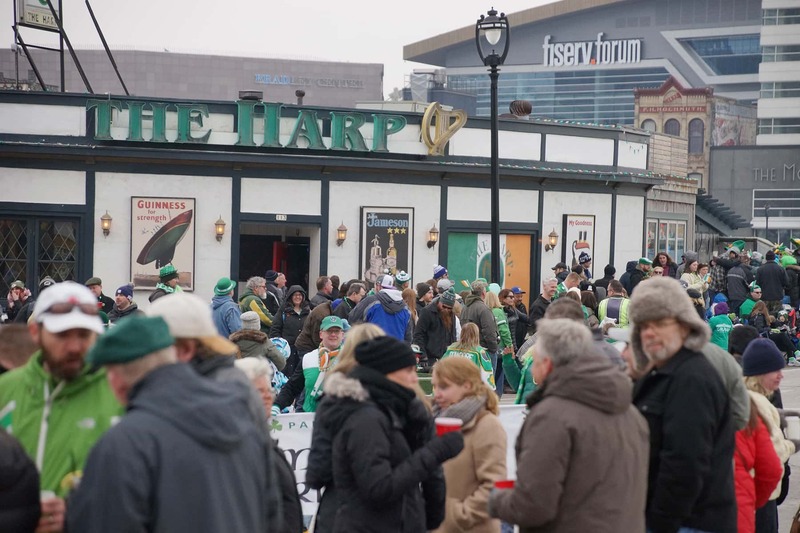 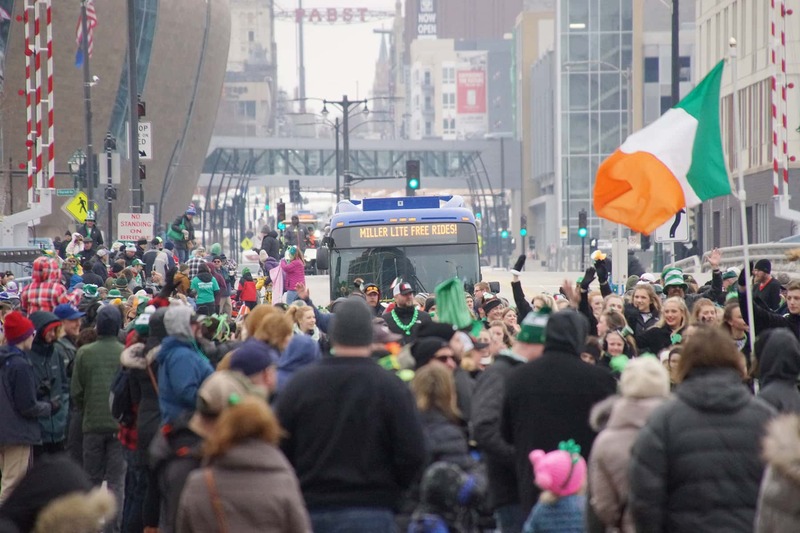 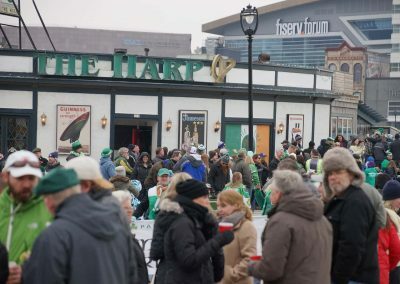 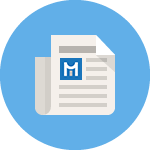 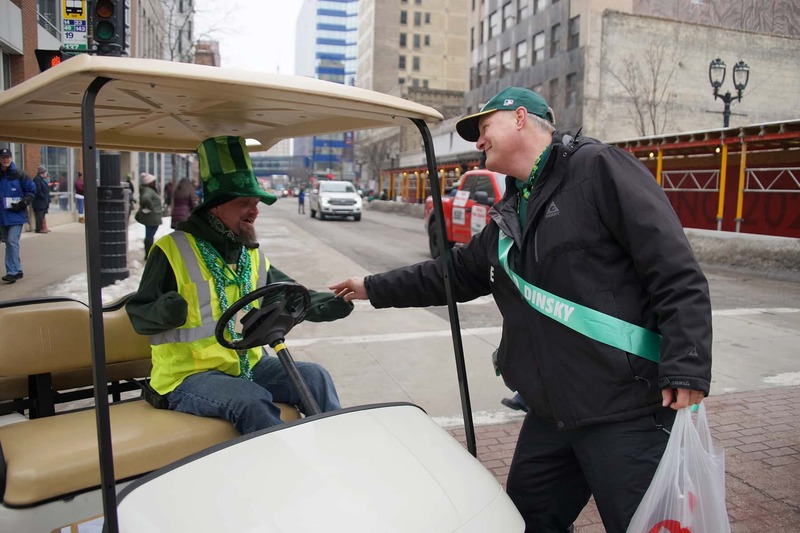 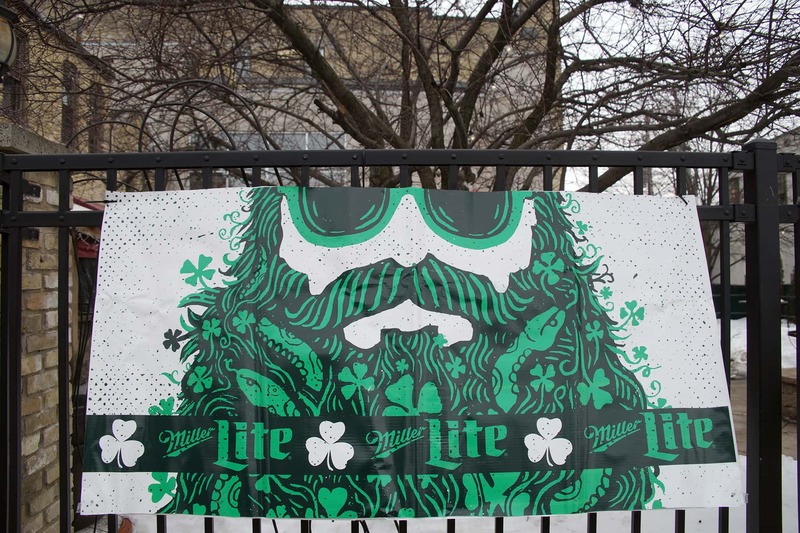 Miller Lite and MCTS teamed up again to provide a safe, alternative transportation as part of Milwaukee’s St. Patrick’s Day celebrations on March 16. 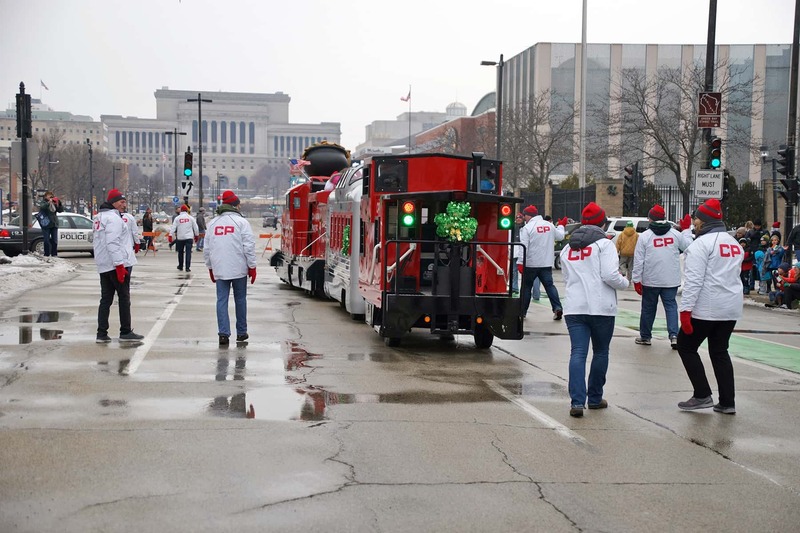 Over the past 26 years, the program has helped nearly one million people travel safely. 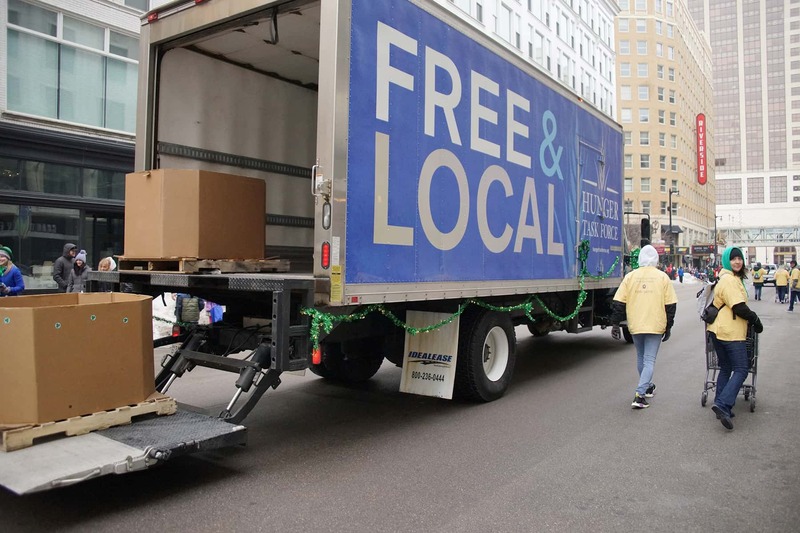 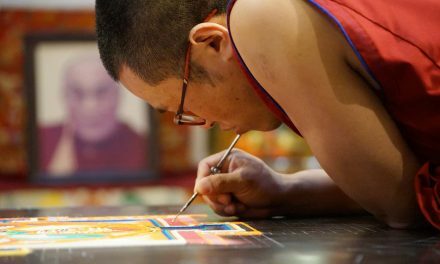 The convenient and free service will begin at 6:00 p.m. and last until the end of regular service.